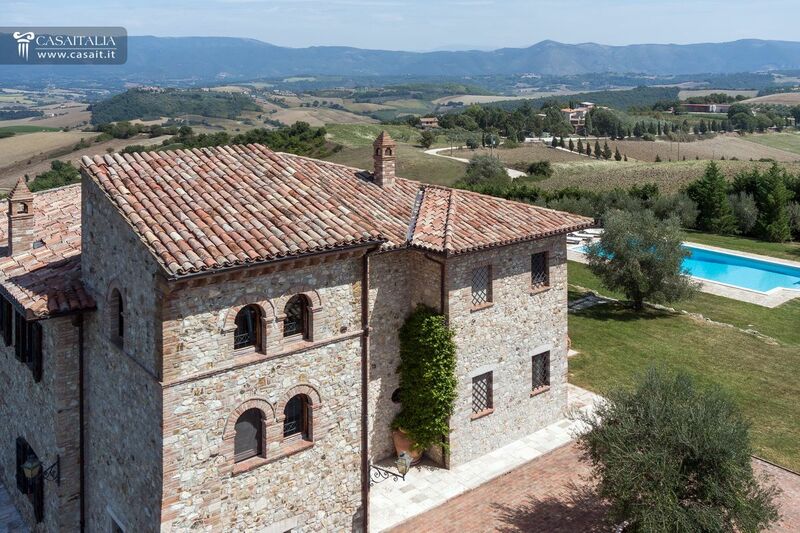 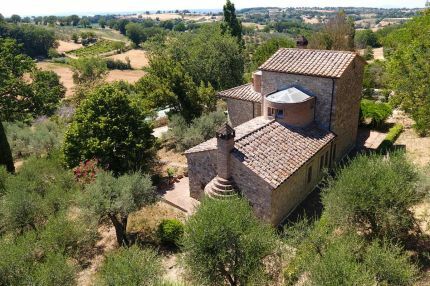 A selection of prestigious villas and characteristic luxury country homes in Tuscany, Umbria, the Marches and in the best locations of Italy. 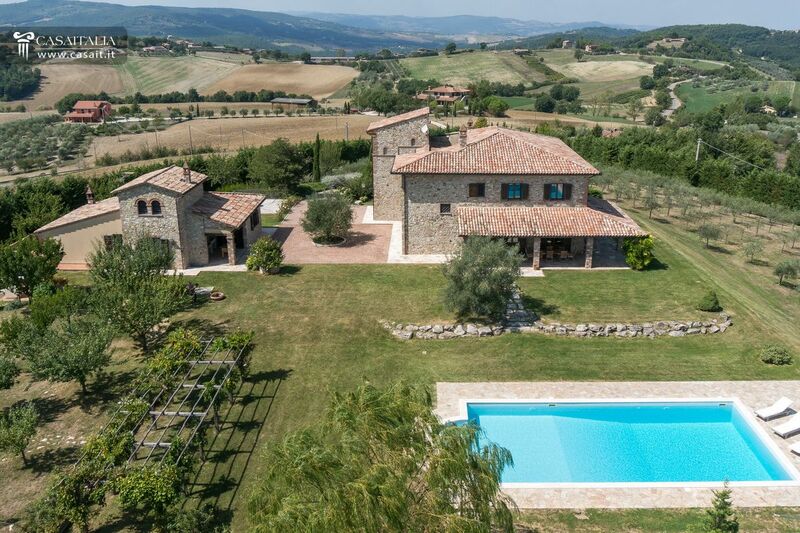 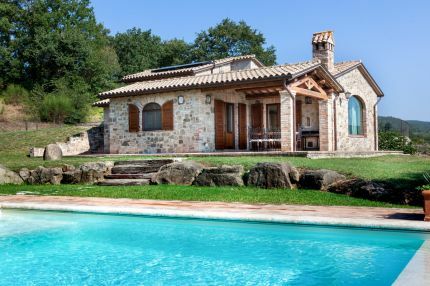 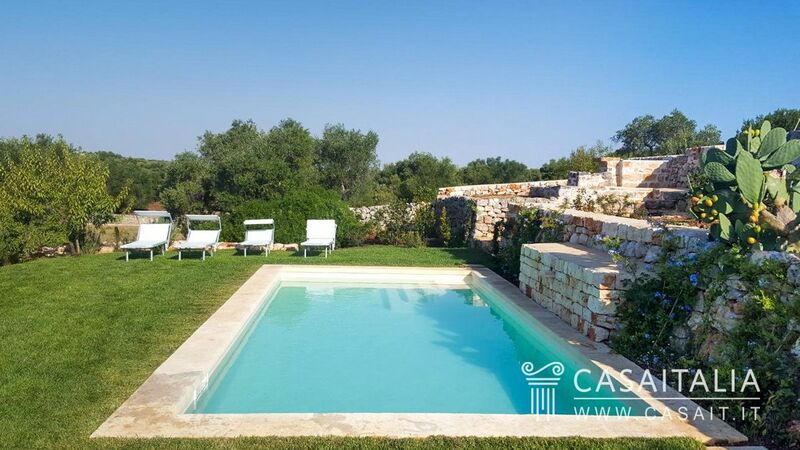 Country homes with swimming pool, with vineyards, olive groves, villas with land in a panoramic hilly position, in the countryside as well as near the sea or lakes. 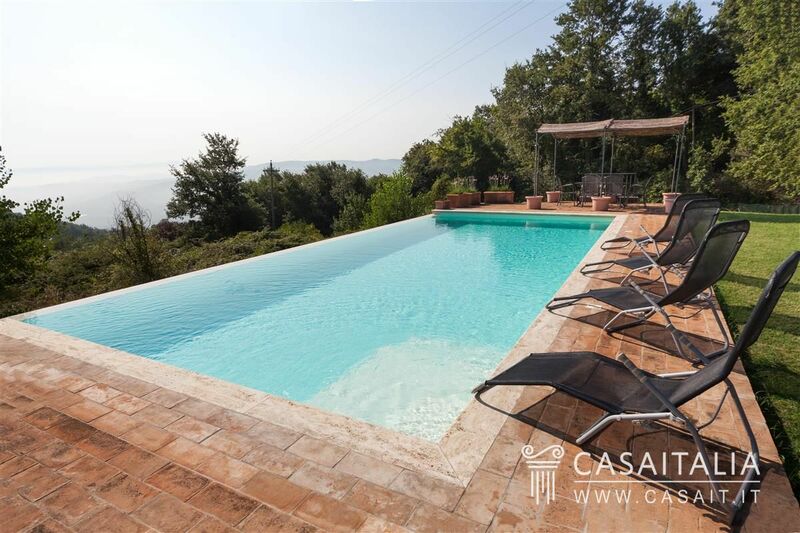 Ideal as holiday home, to host friends or to invest by renting out on the weekly holiday rental circuit. 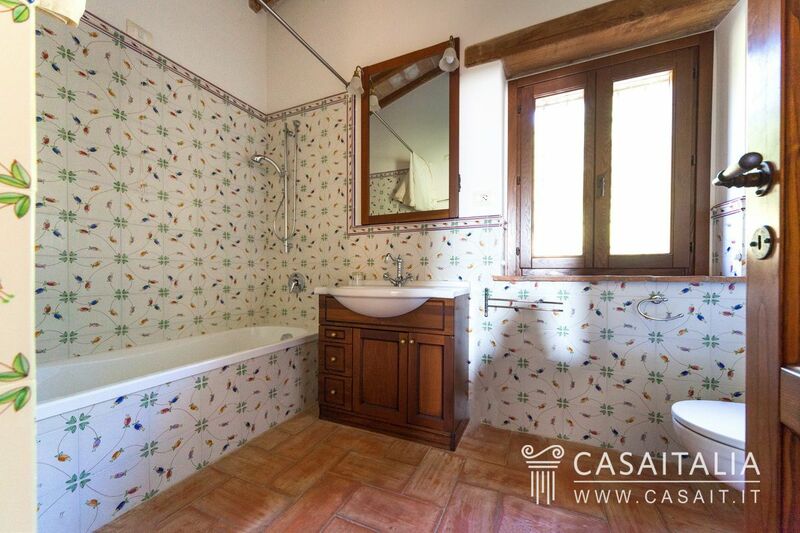 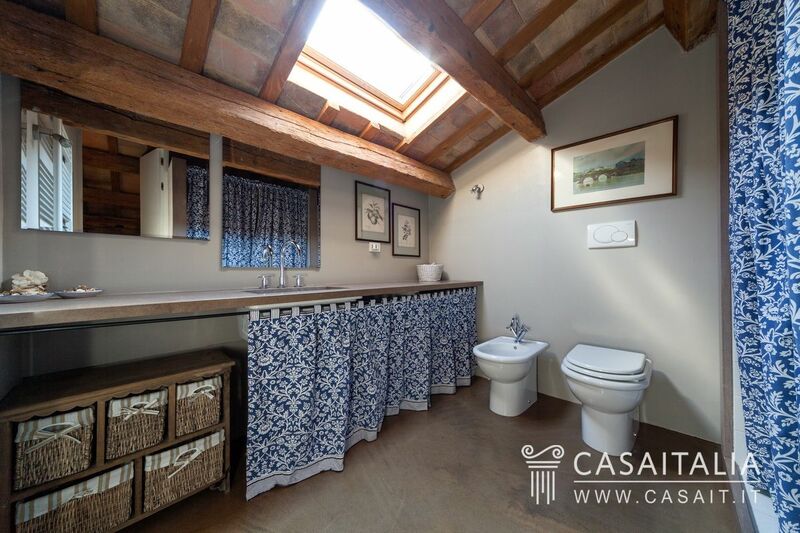 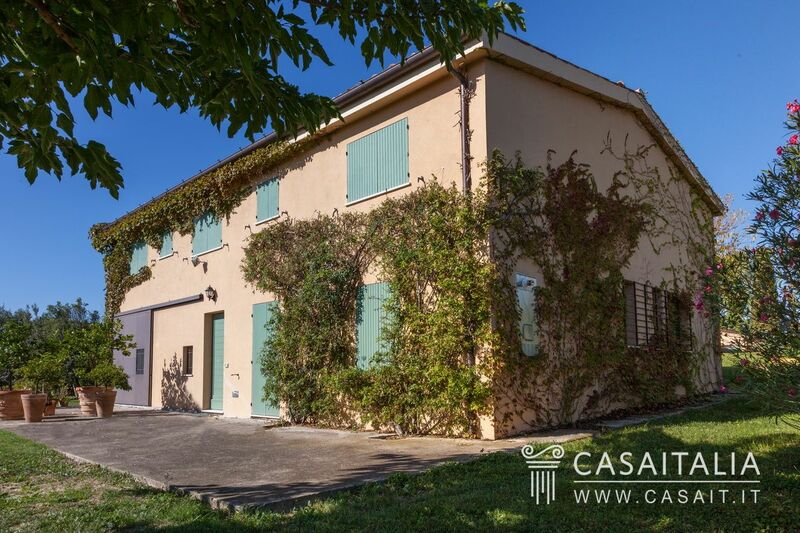 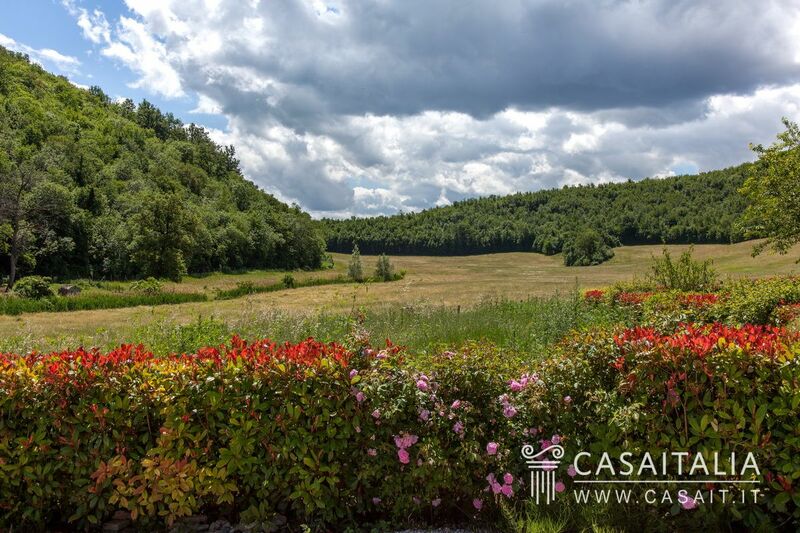 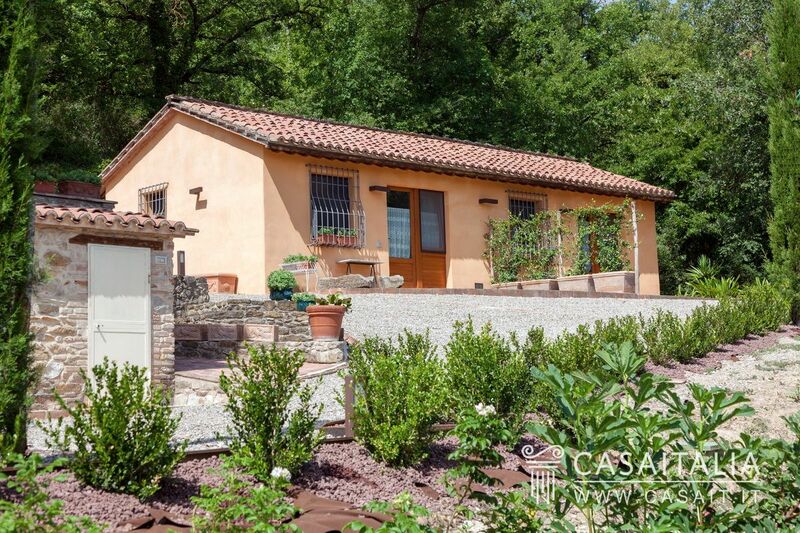 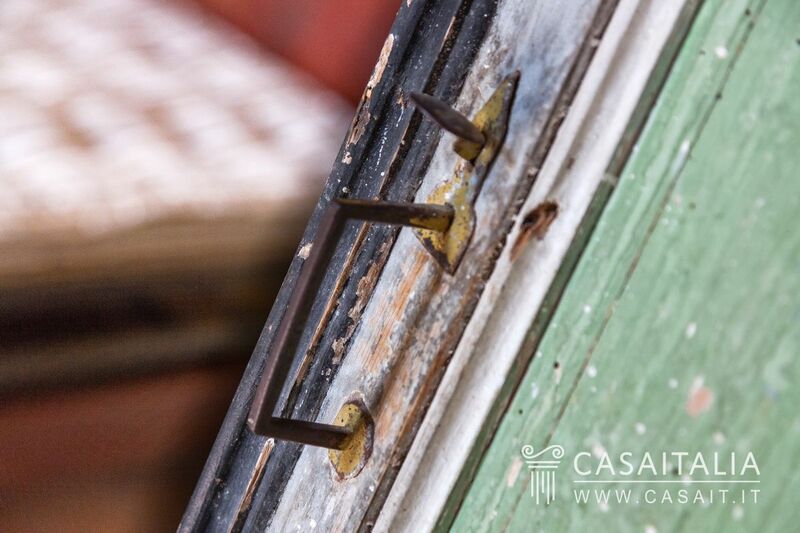 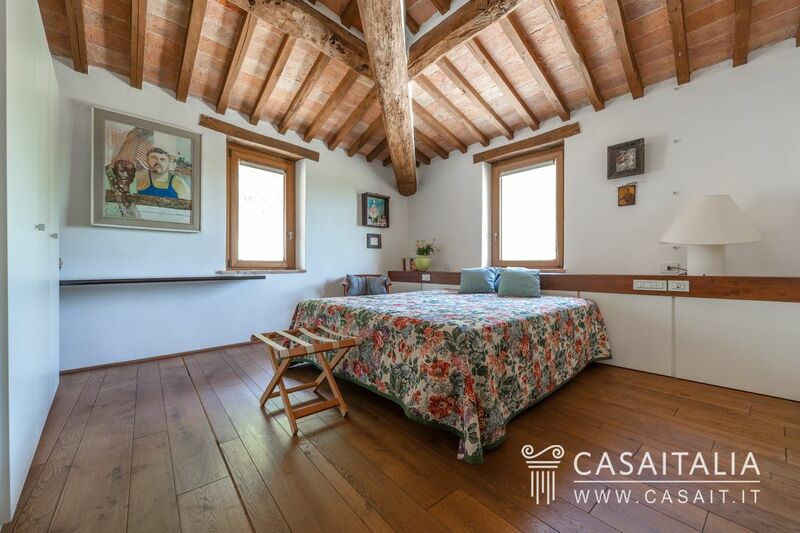 Farmhouse with annex and over 4 hectares of private land, in a convenient and secluded location, just 10 km from Sarnano. 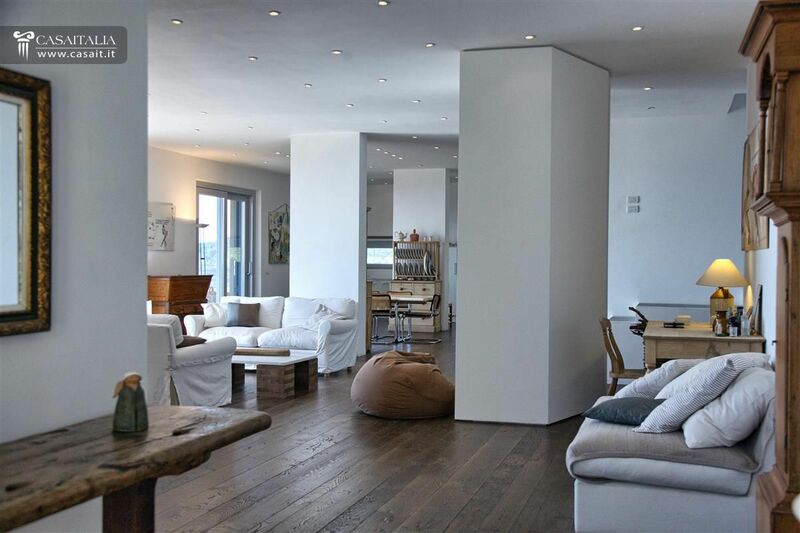 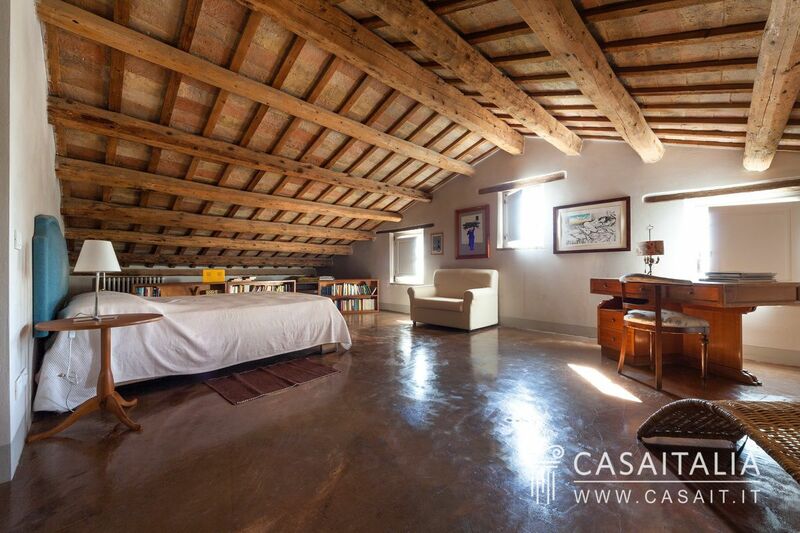 The farmhouse, of 317 sq.m over two floors, comprises living room, sitting room, kitchen, 4 bedrooms and 4 bathrooms. 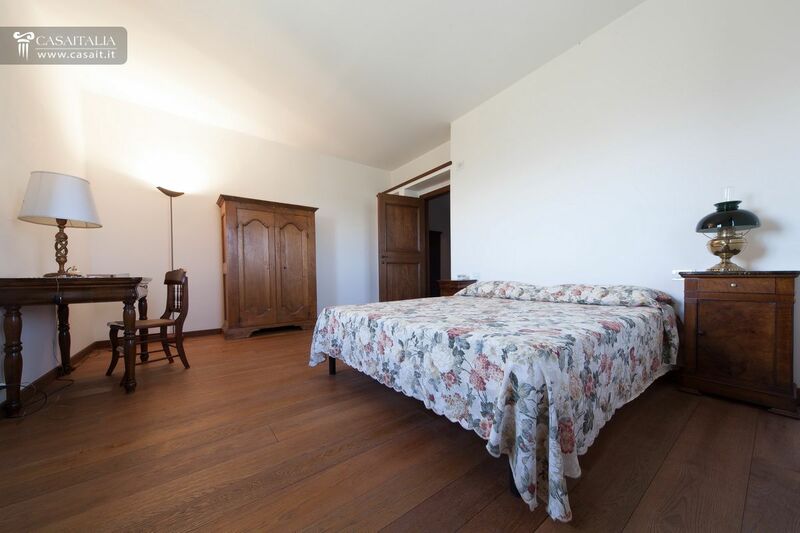 The annex has a kitchen/living room, two bedrooms and two bathrooms. 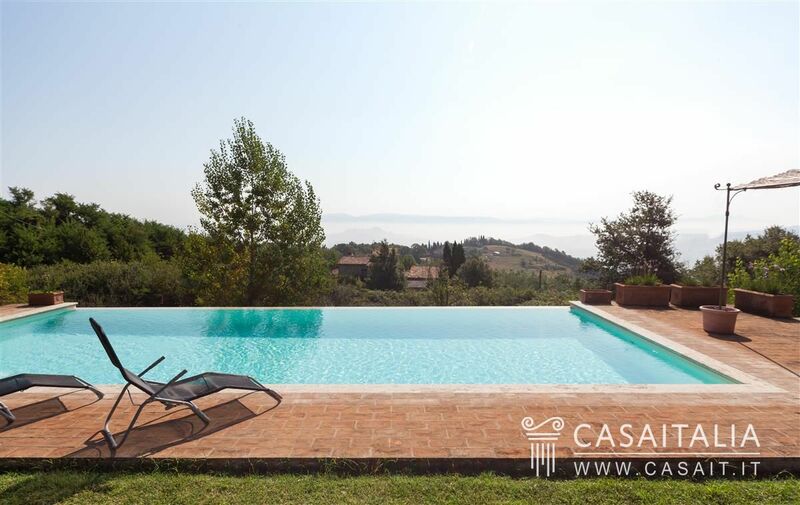 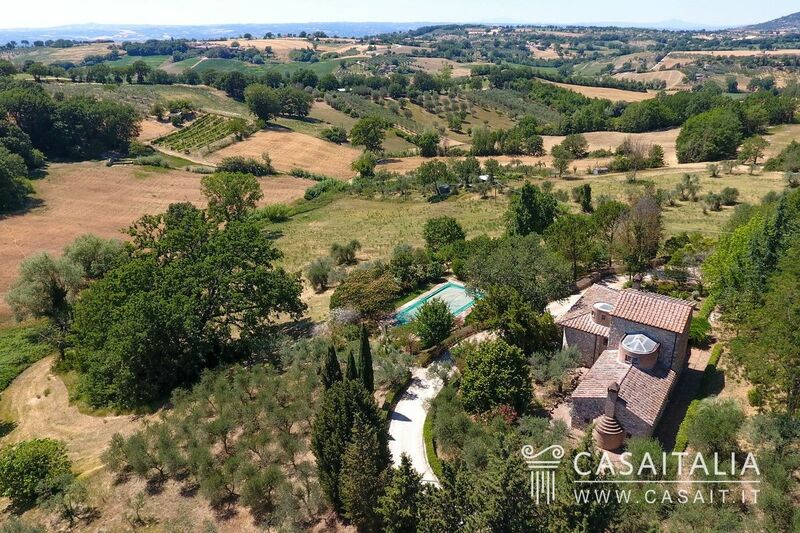 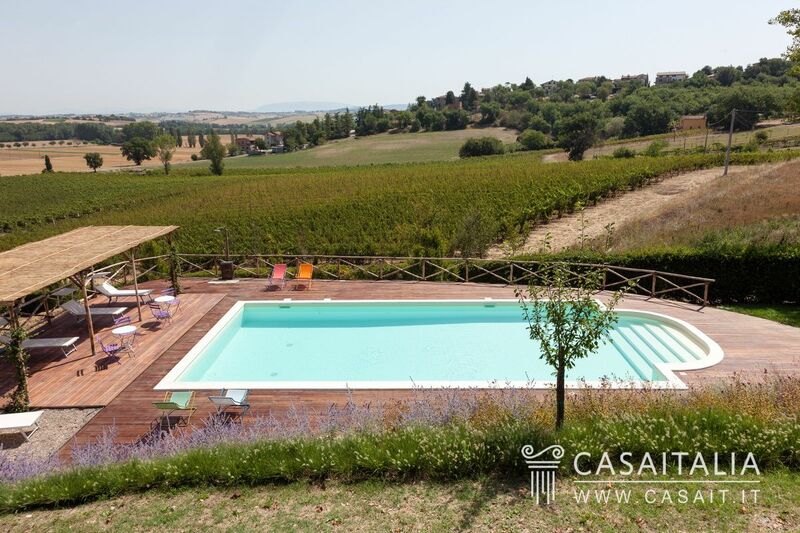 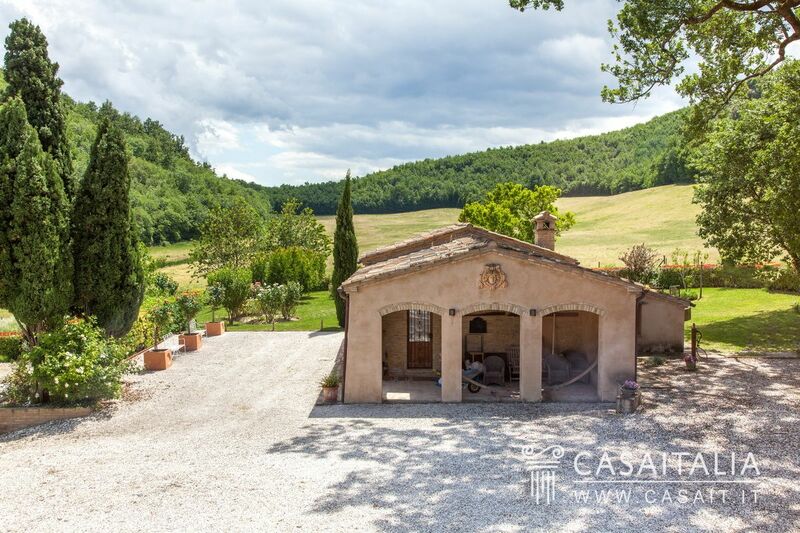 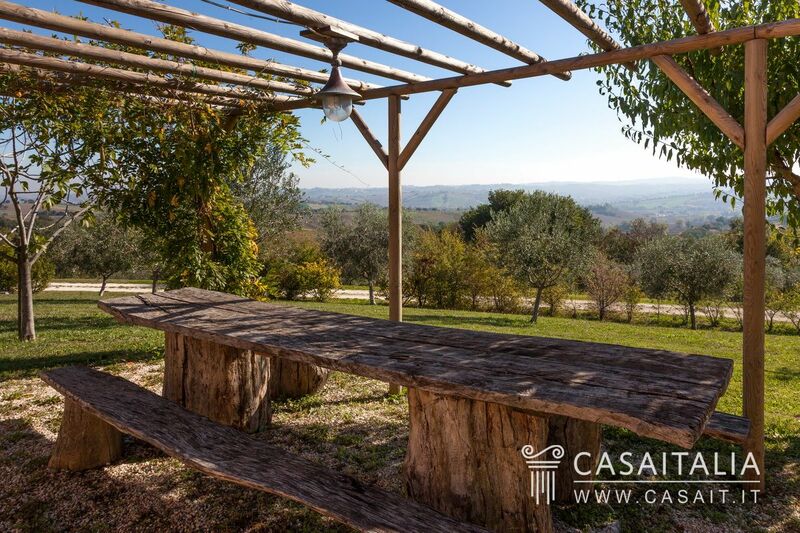 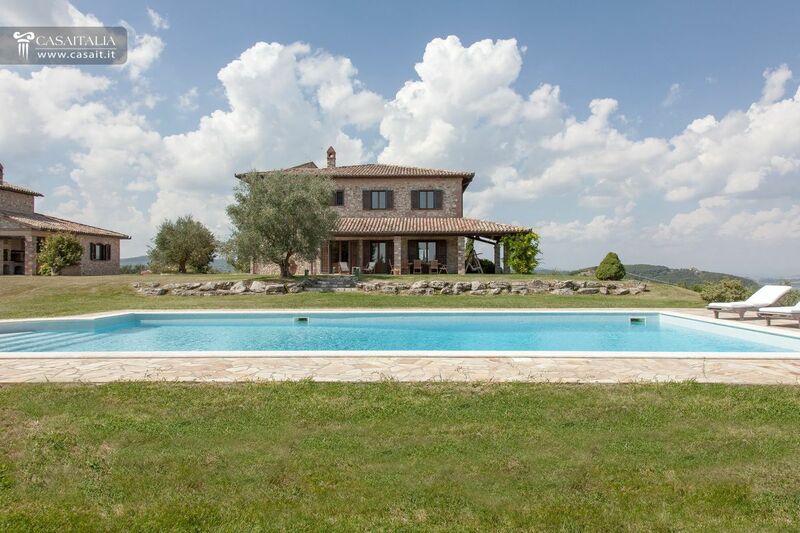 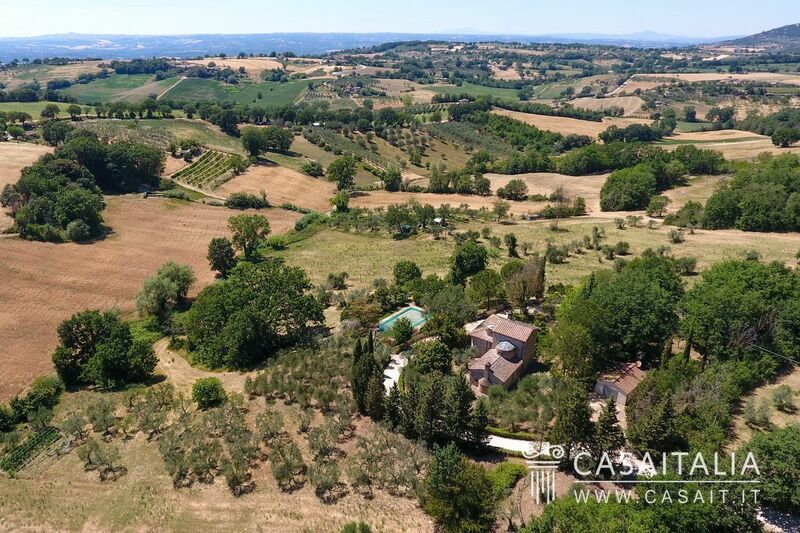 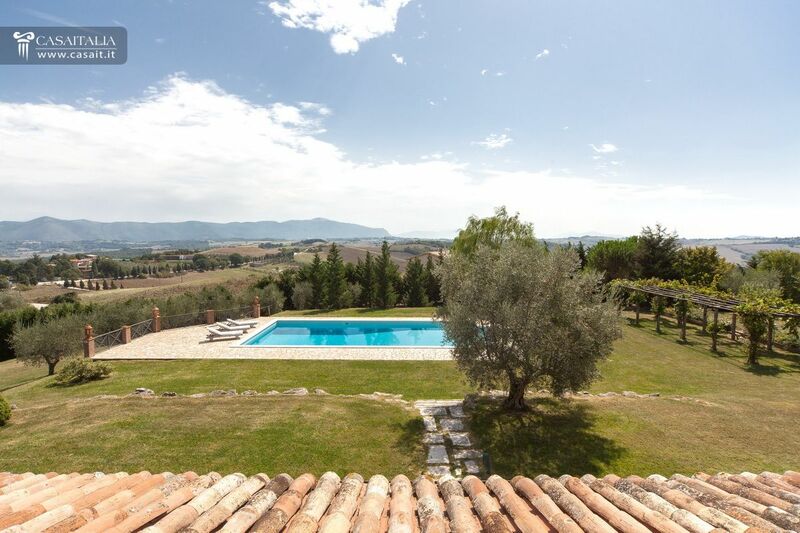 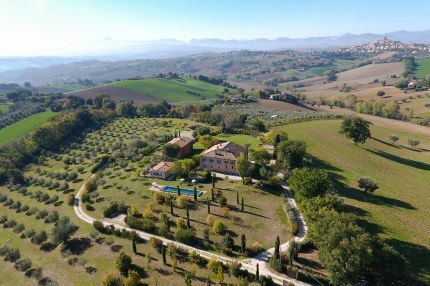 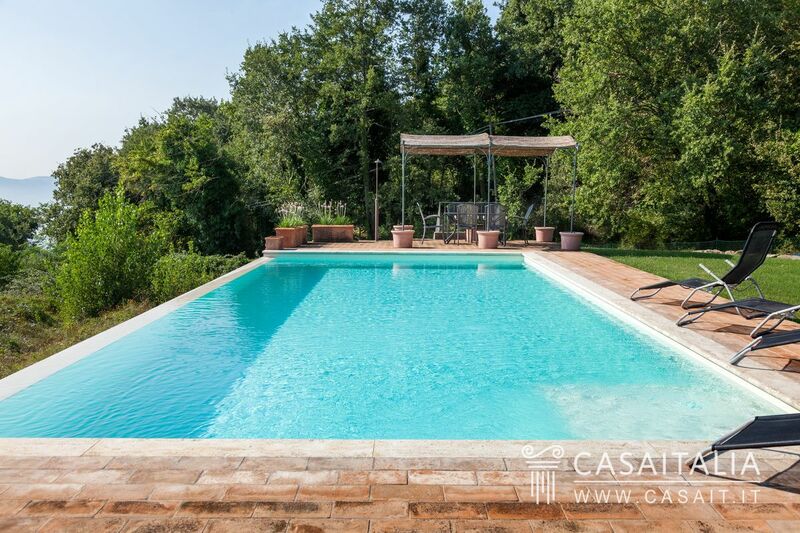 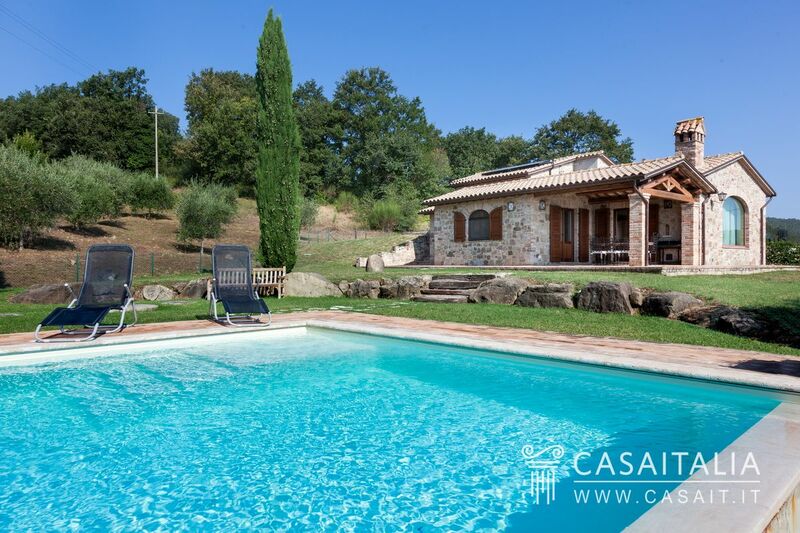 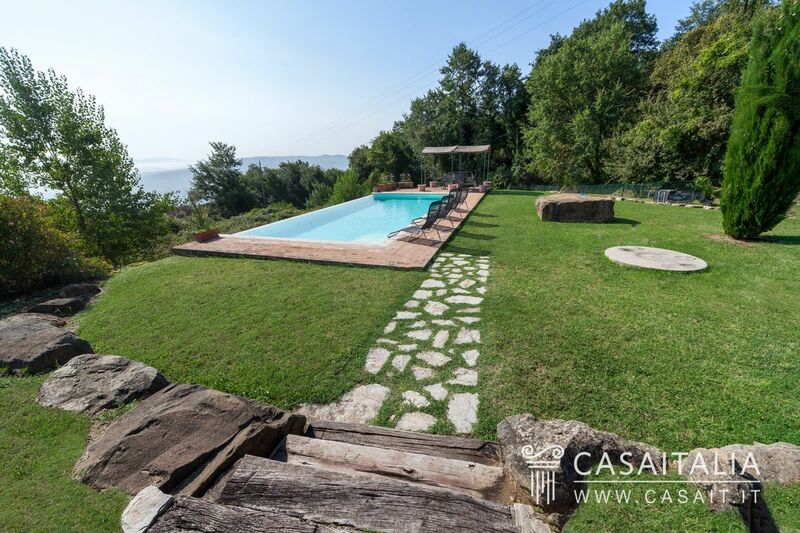 Country house in panoramic location with view of Todi surrounded by over a hectare of private land with infinity pool and olive grove. 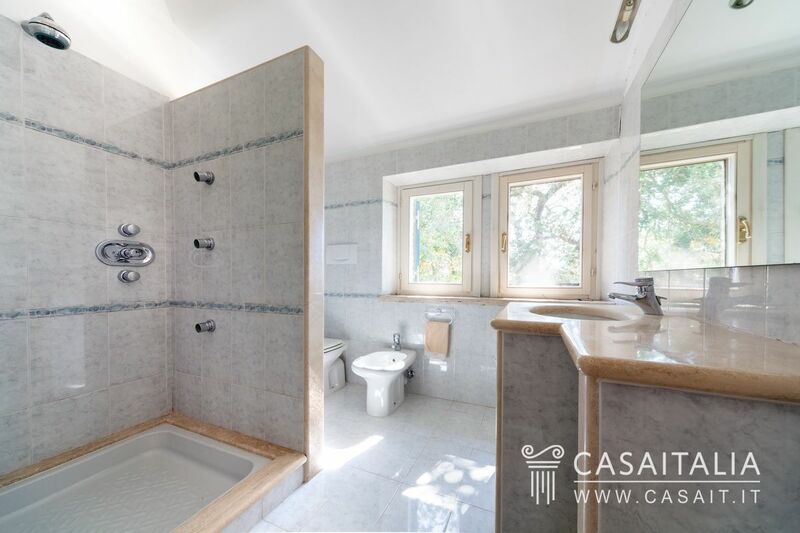 Measuring 403 sq.m over two floors, comprises large living room with fireplace, dining room, kitchen, three bedrooms, and two bathrooms on the ground floor; various storage areas, bathroom and garage on the basement floor. 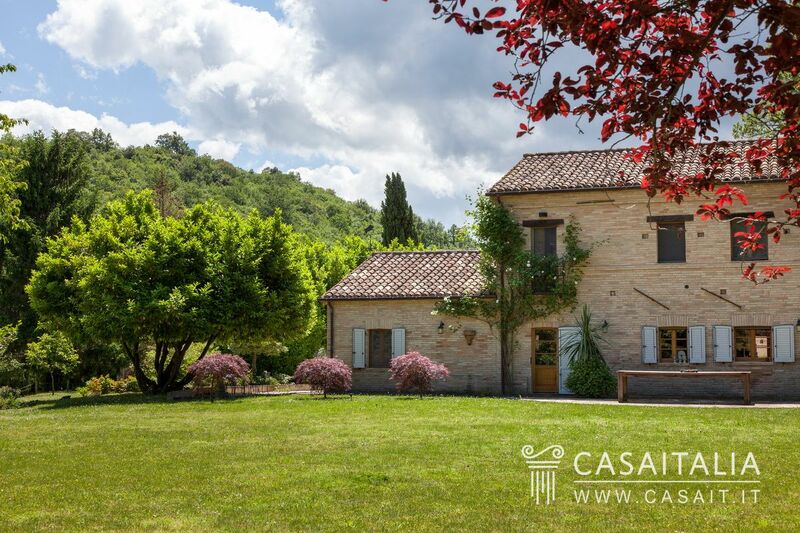 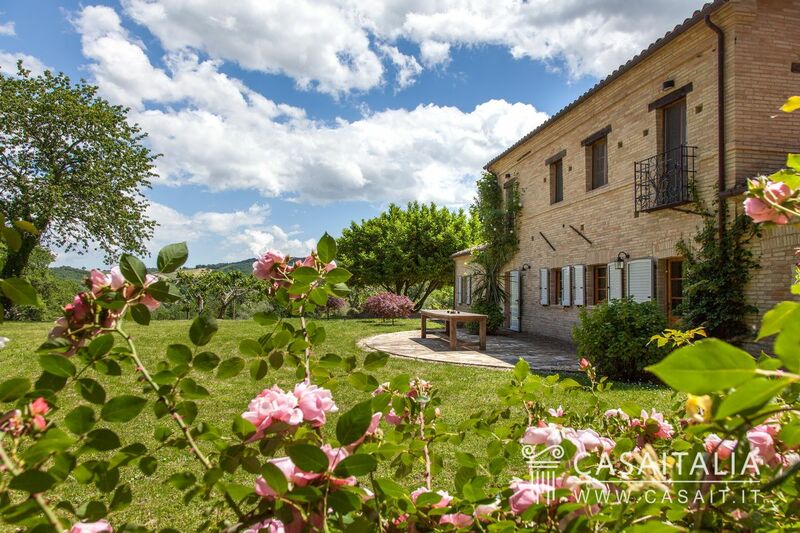 Historic farm complex for sale in the hills of Le Marche, just 20 km from the sea, comprising main villa, 2 outbuildings and an annex, surrounded by around 3 hectares of private land with garden, pool and olive grove. 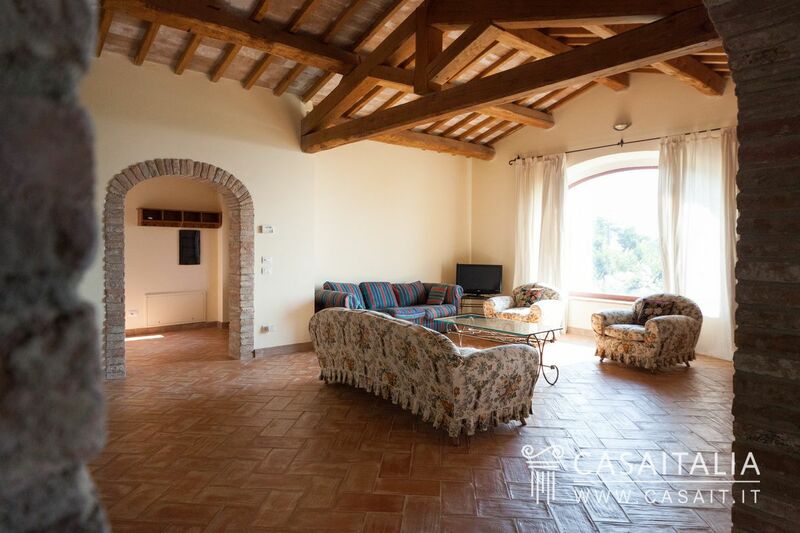 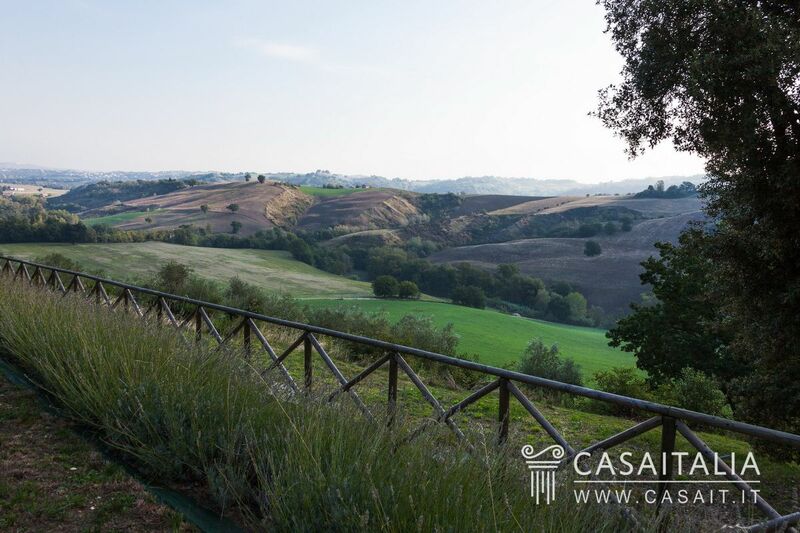 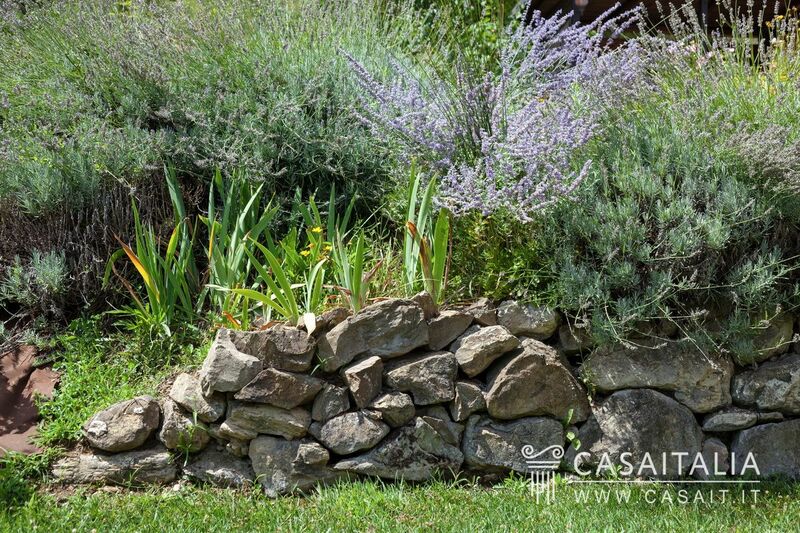 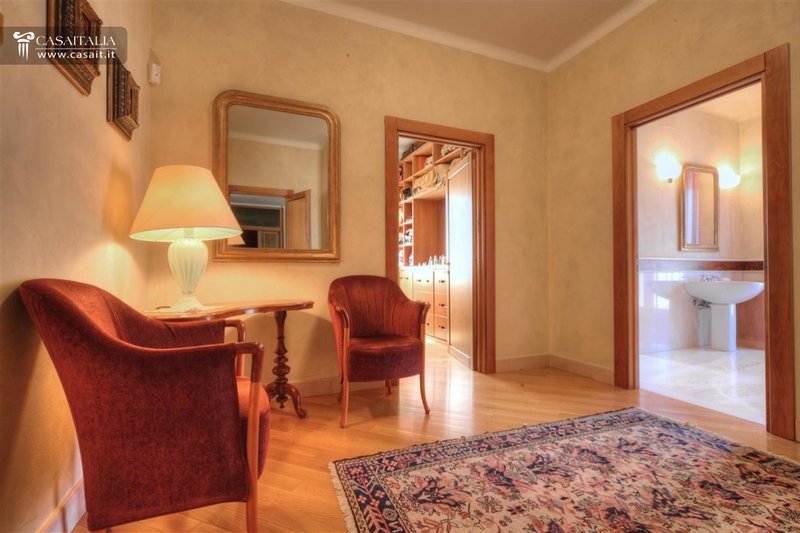 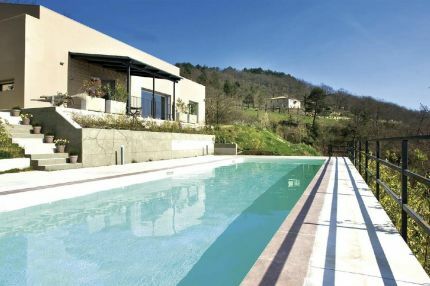 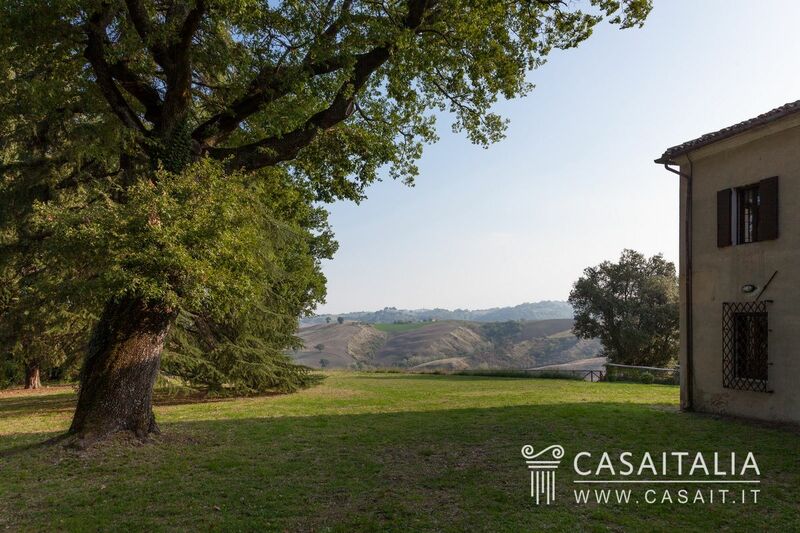 Country house in convenient and panoramic location, for sale just 10 km from Amelia and a little over an hour from Rome. 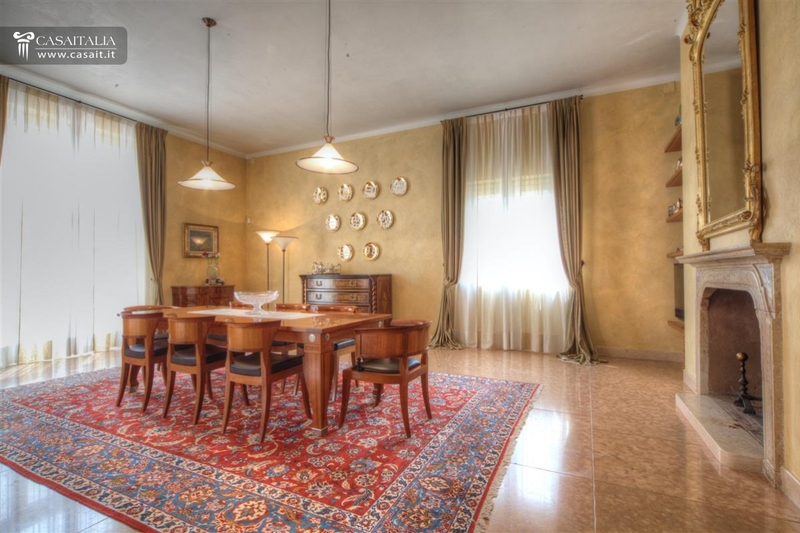 Total surface area of 285 sq.m, with large living room, kitchen, dining area, 4 bedrooms and 3 bathrooms. 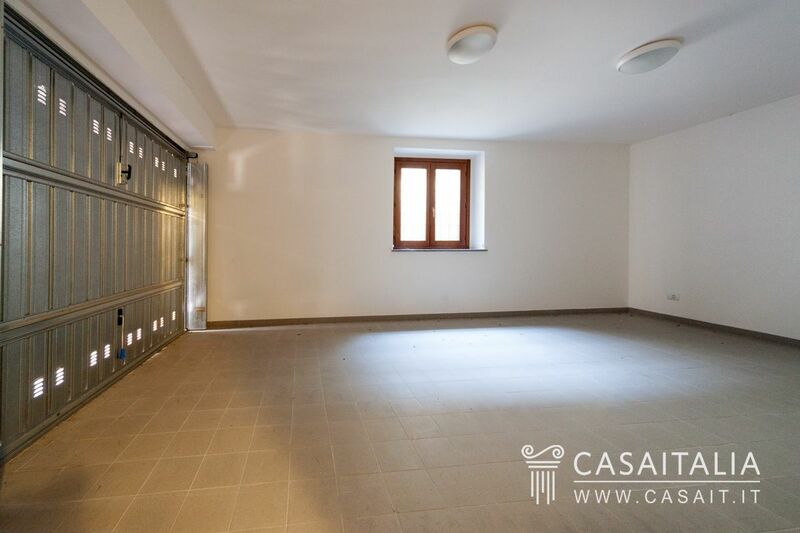 38 sq.m garage. 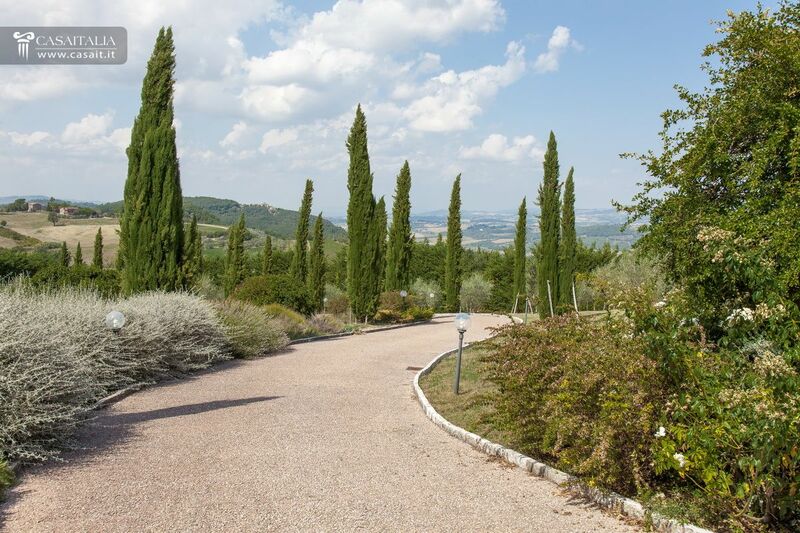 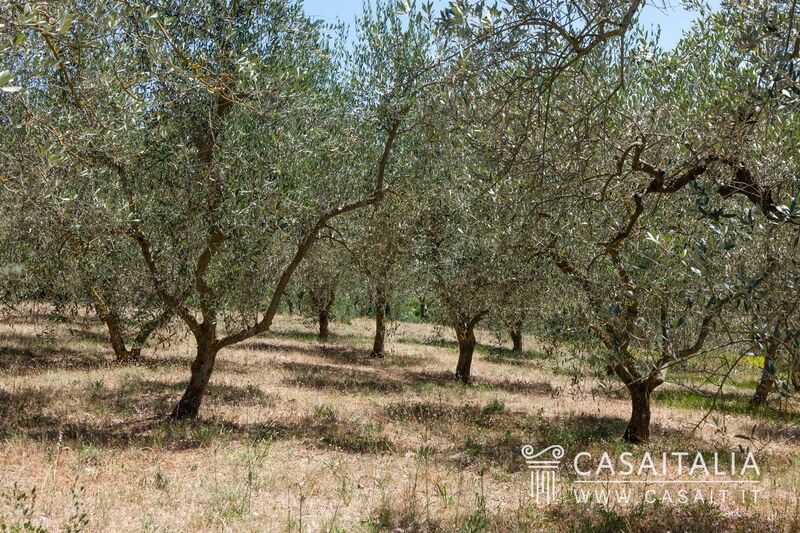 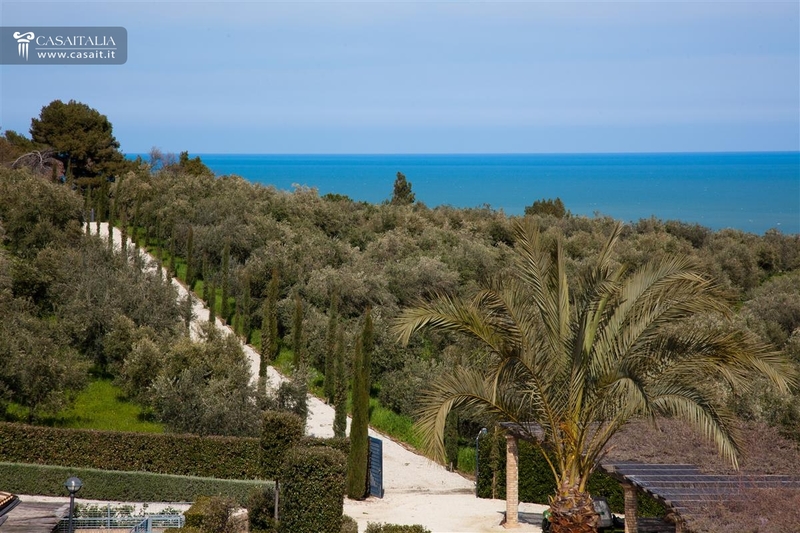 3.69 hectares of private land with swimming pool and small olive grove. 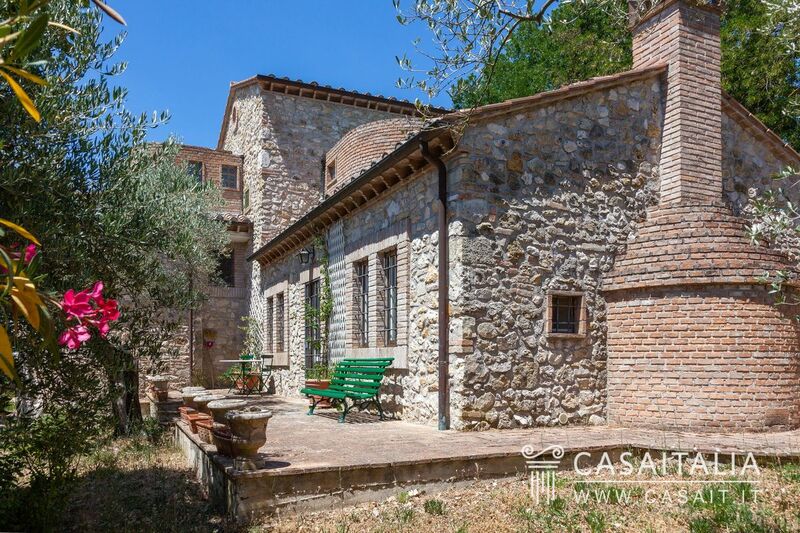 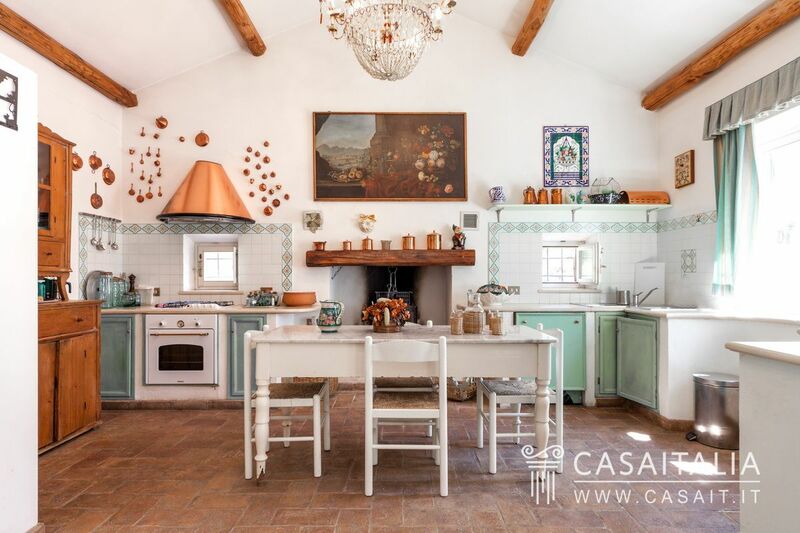 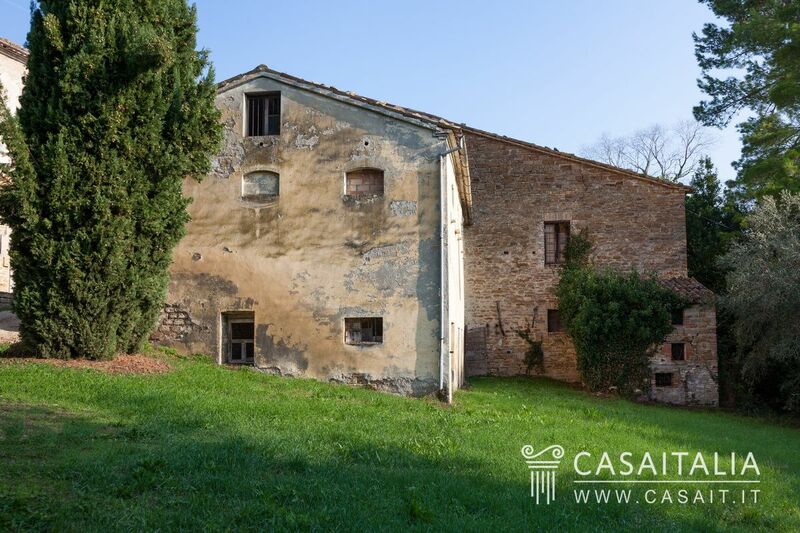 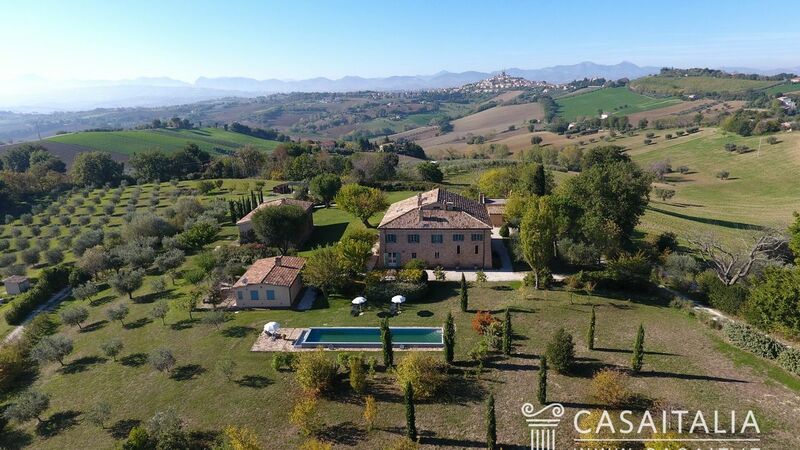 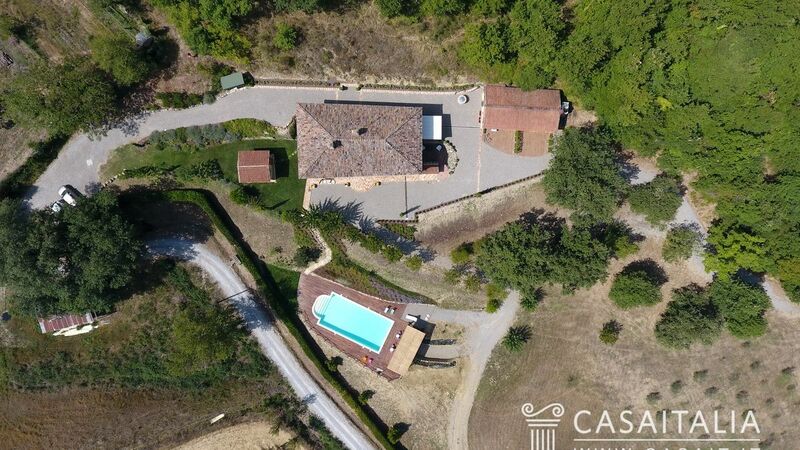 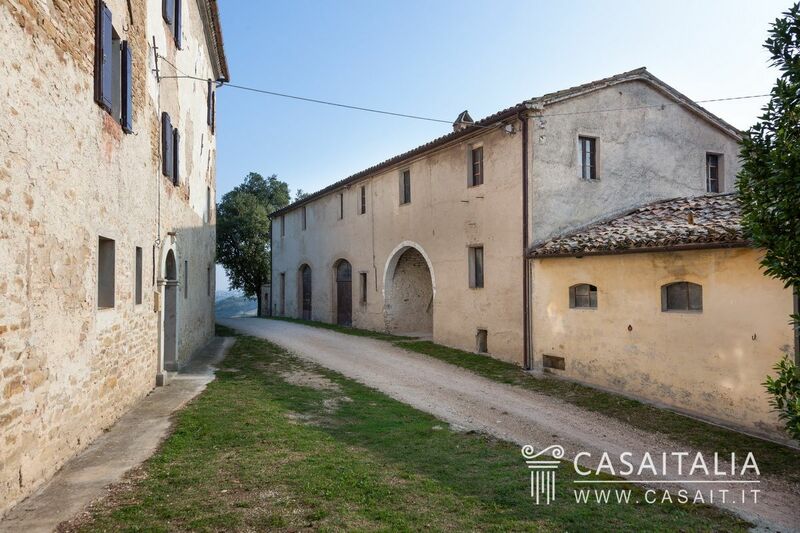 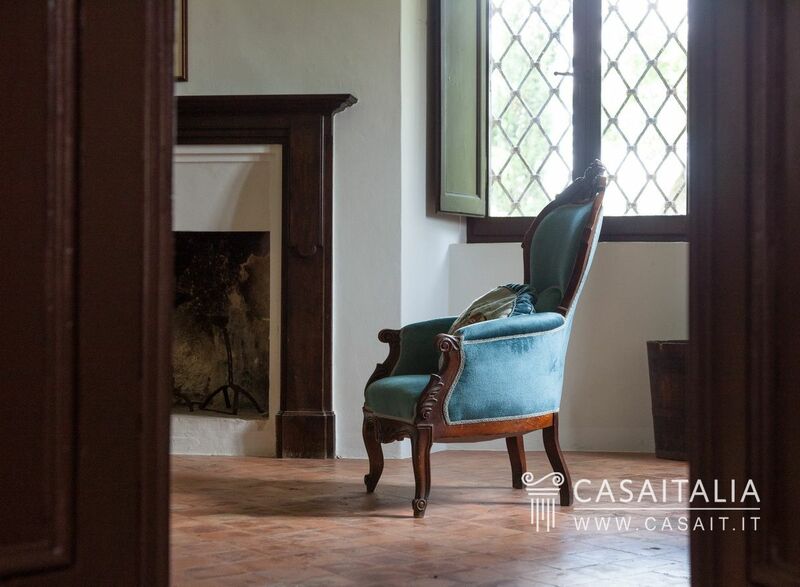 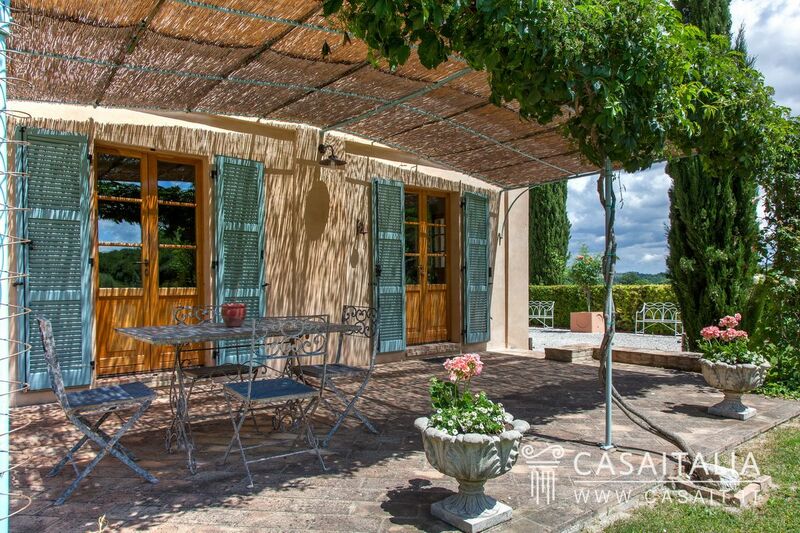 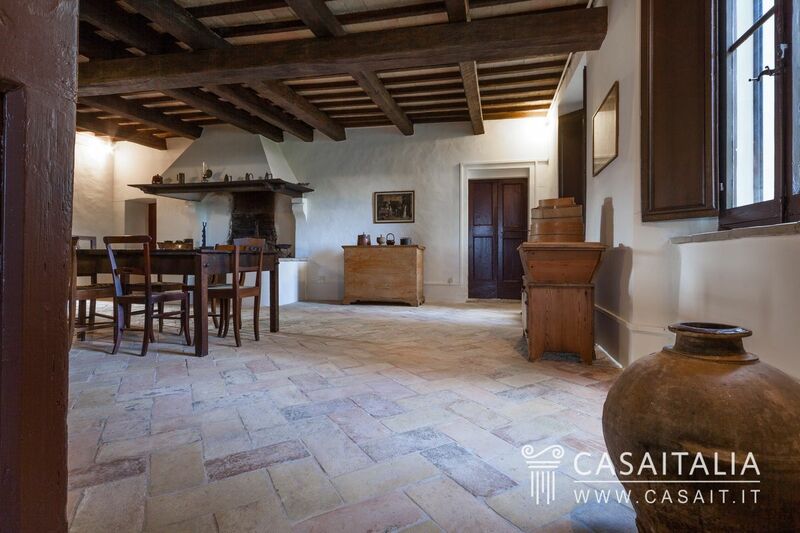 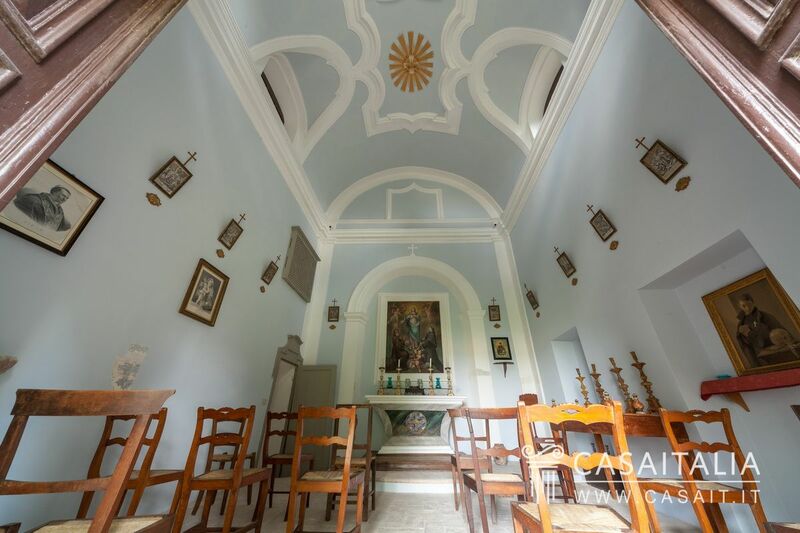 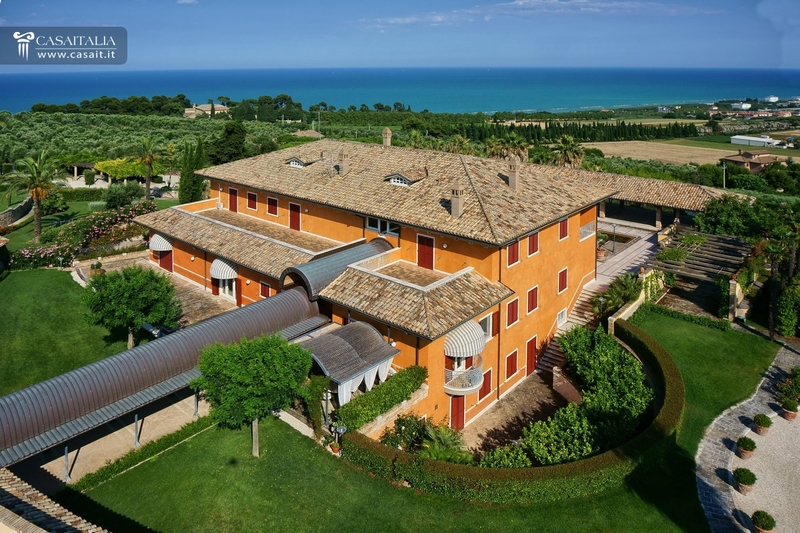 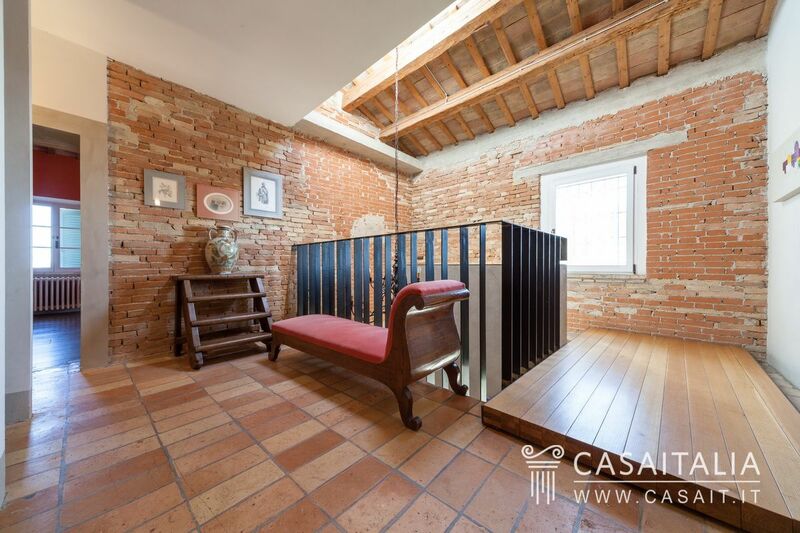 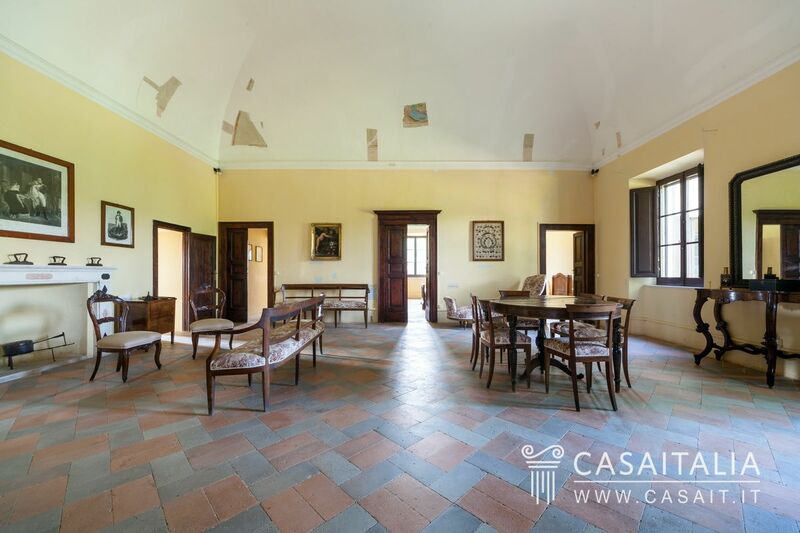 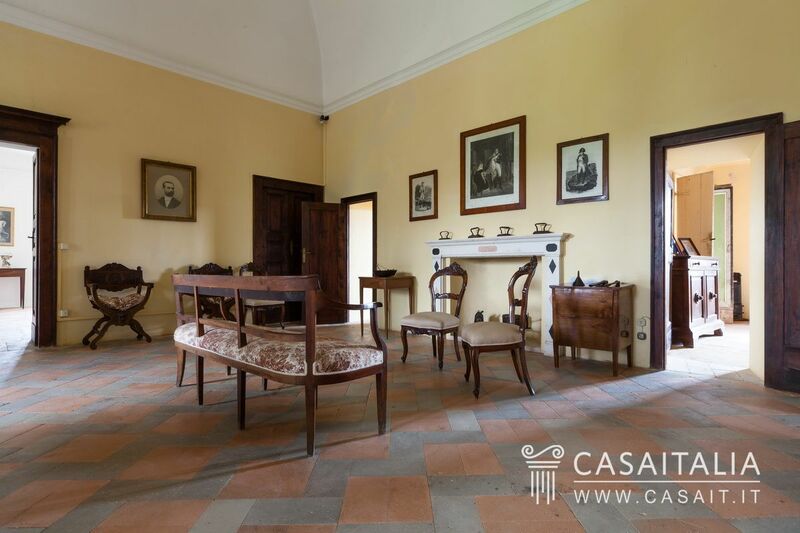 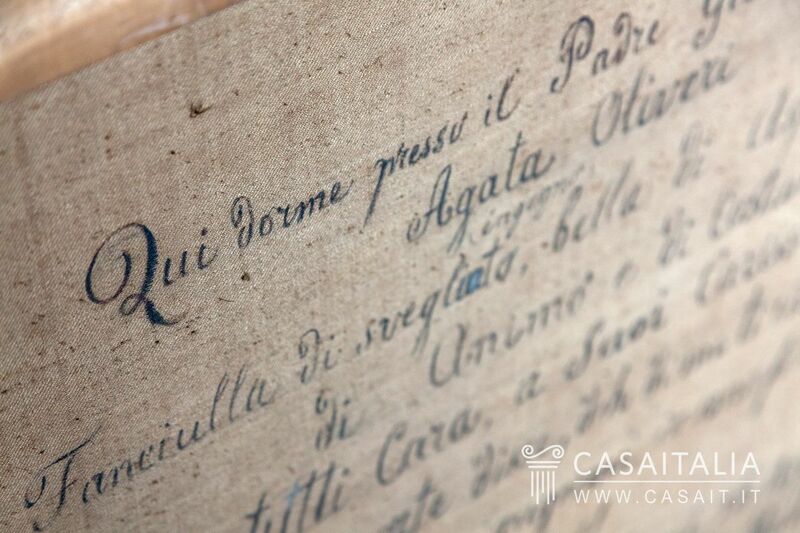 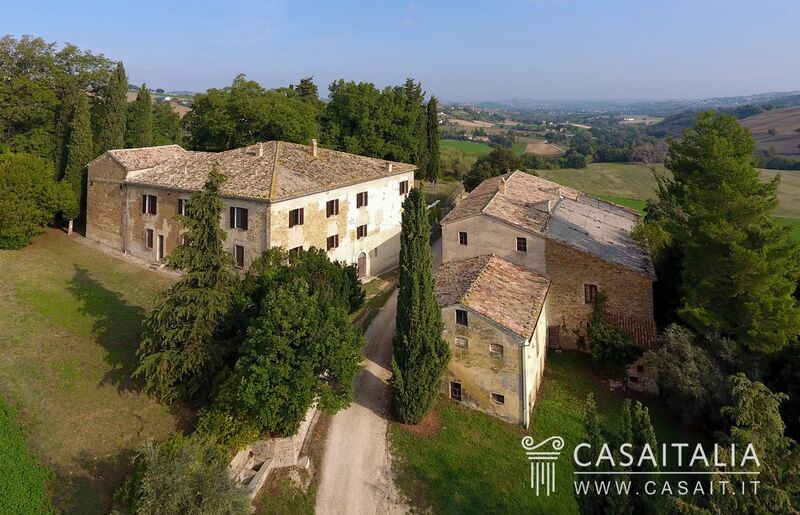 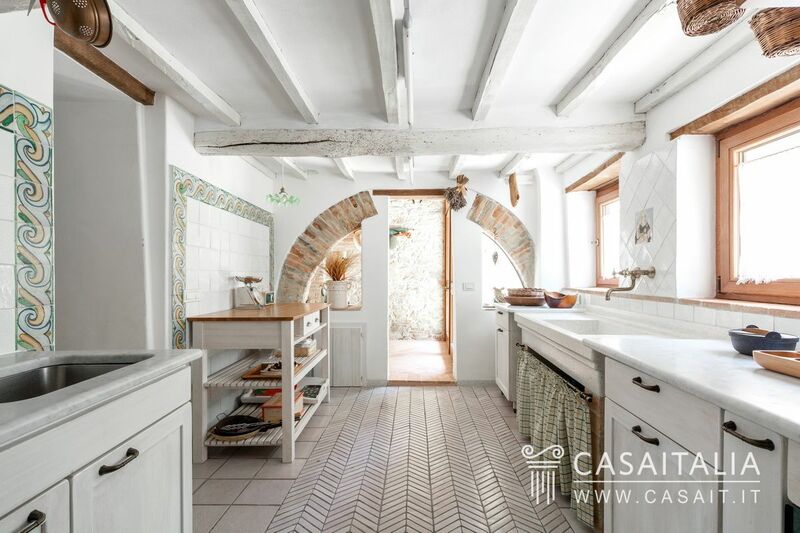 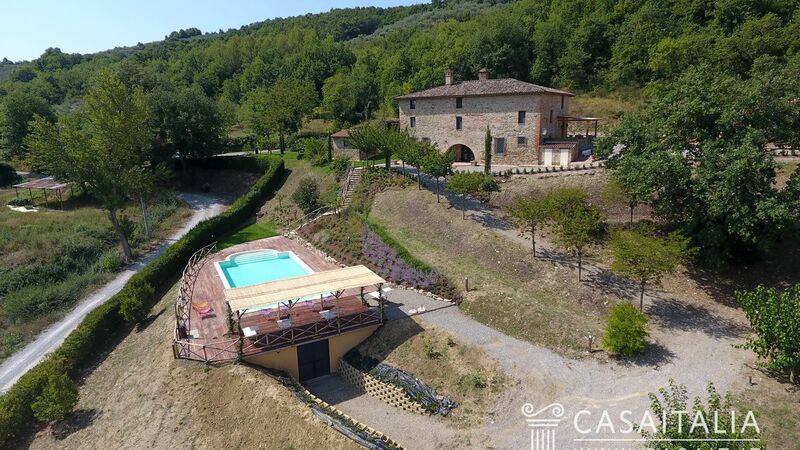 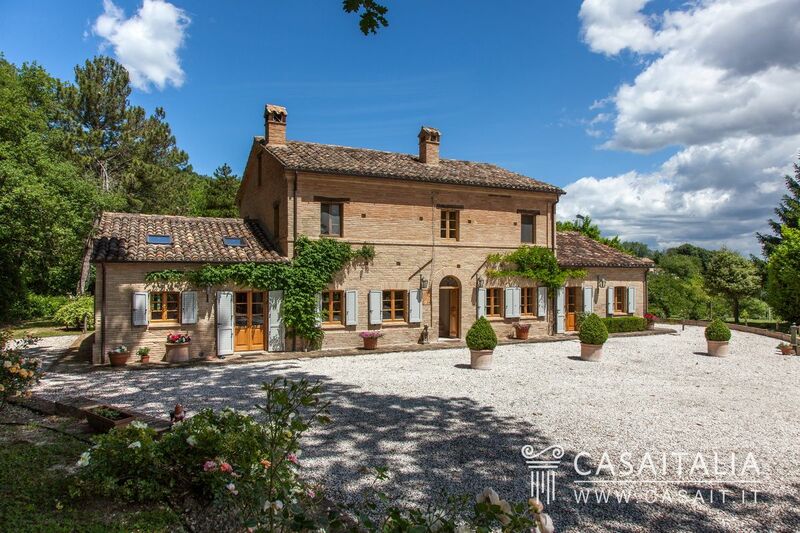 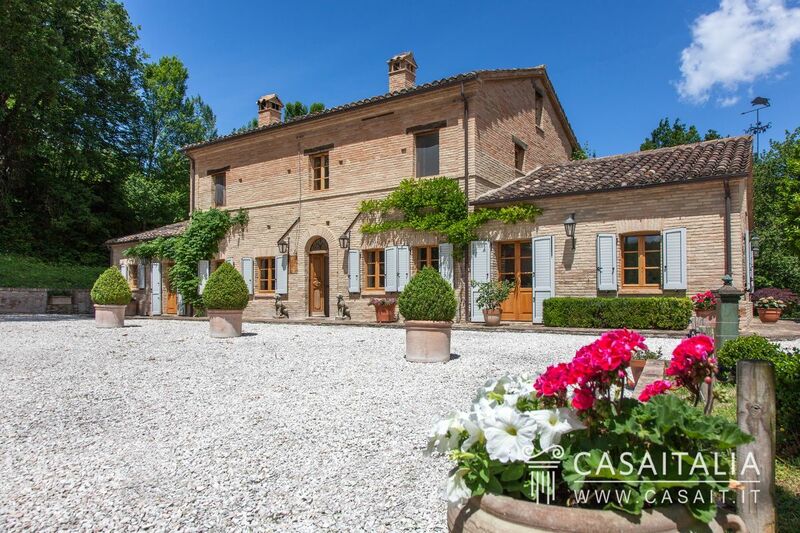 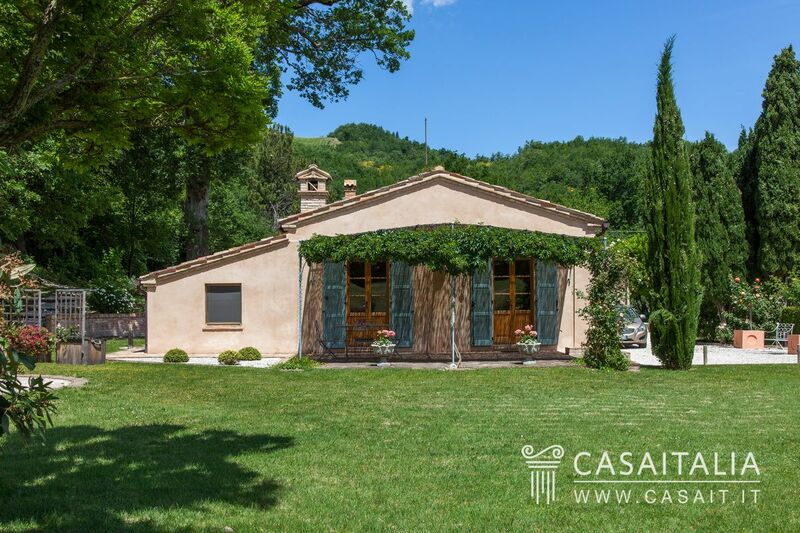 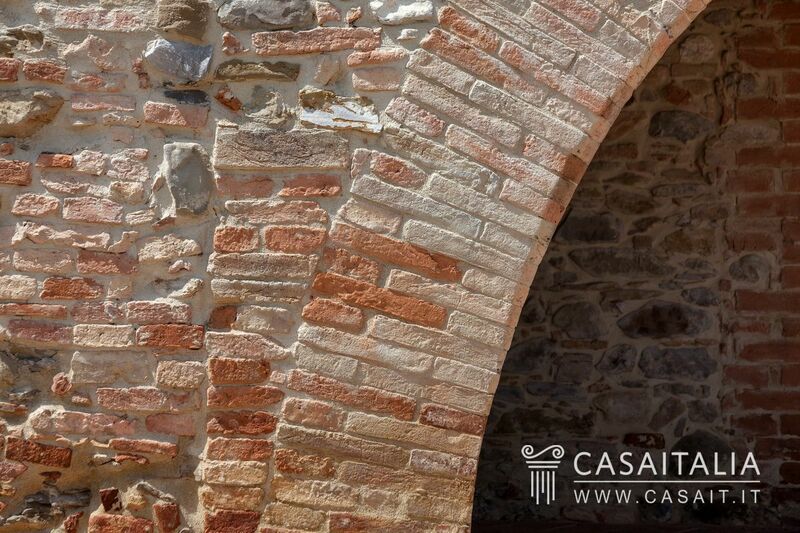 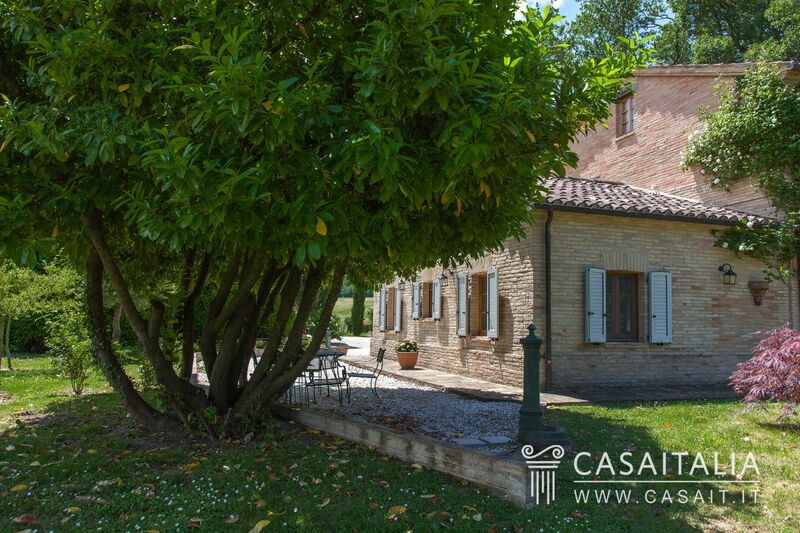 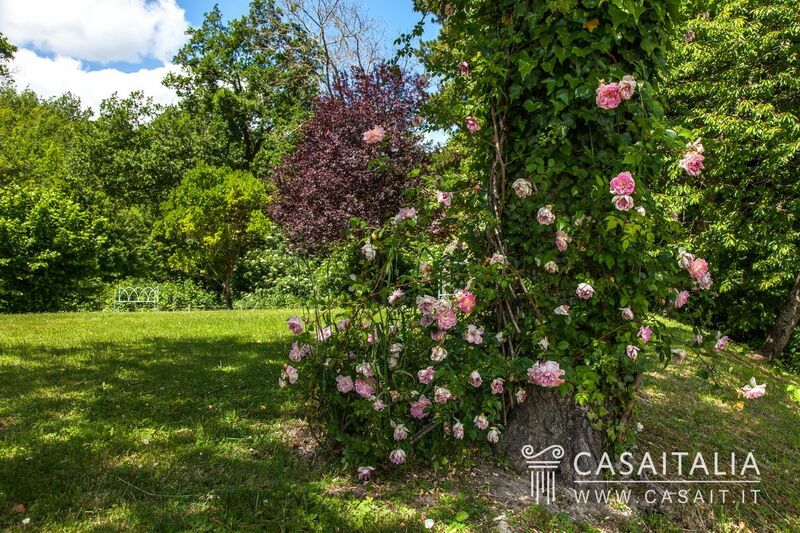 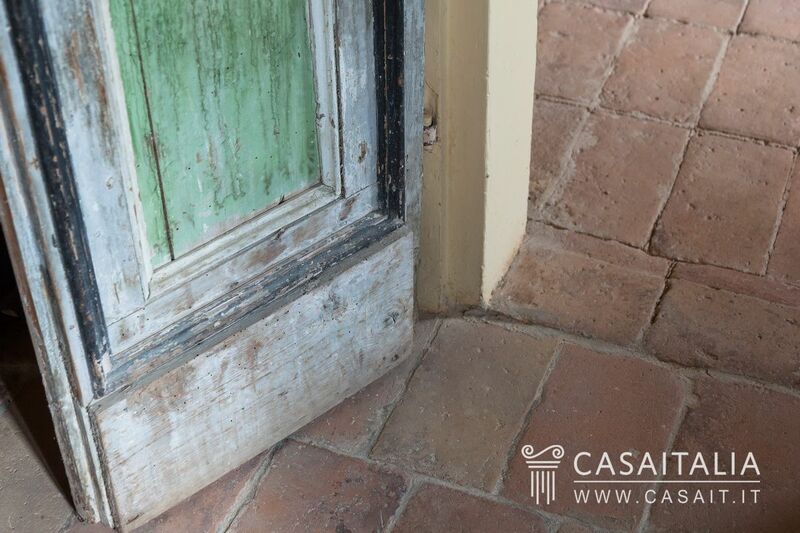 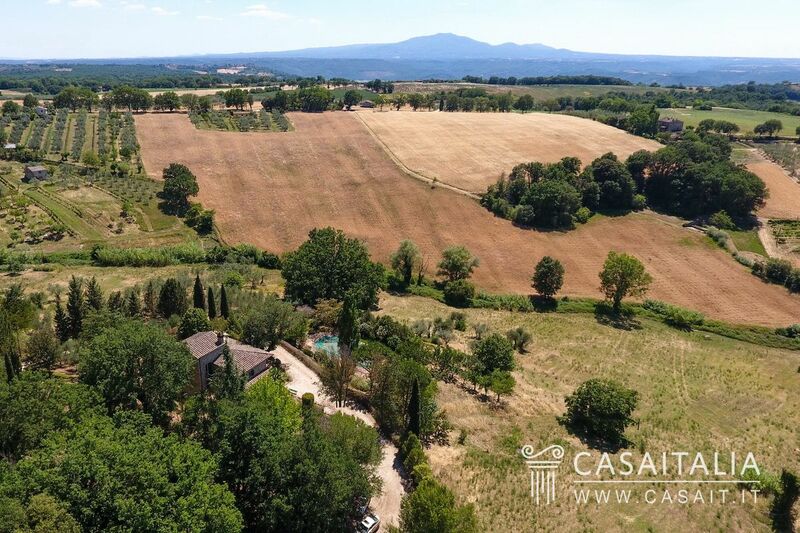 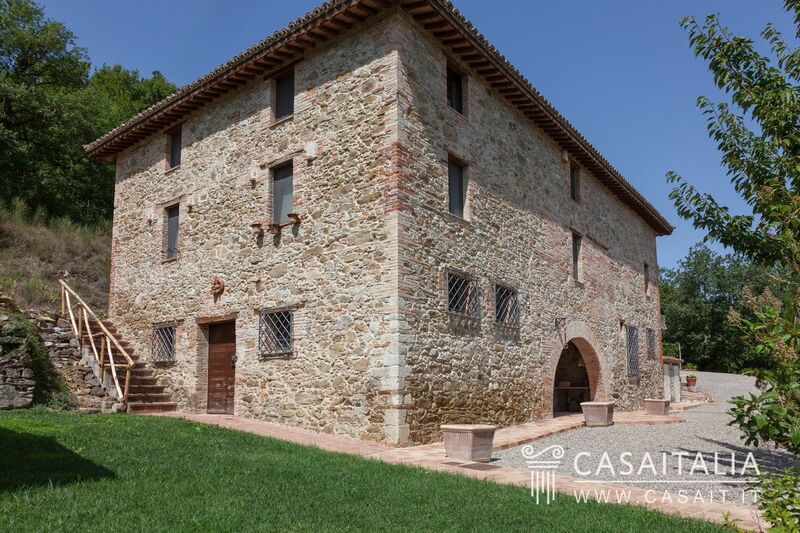 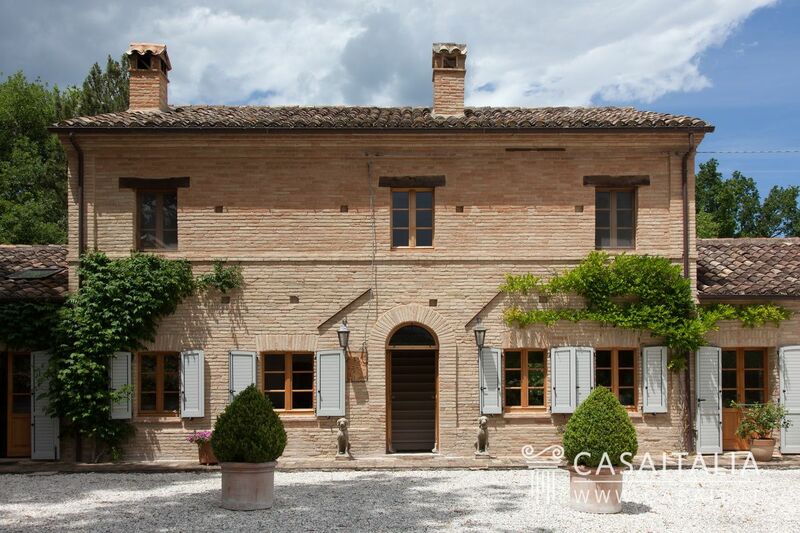 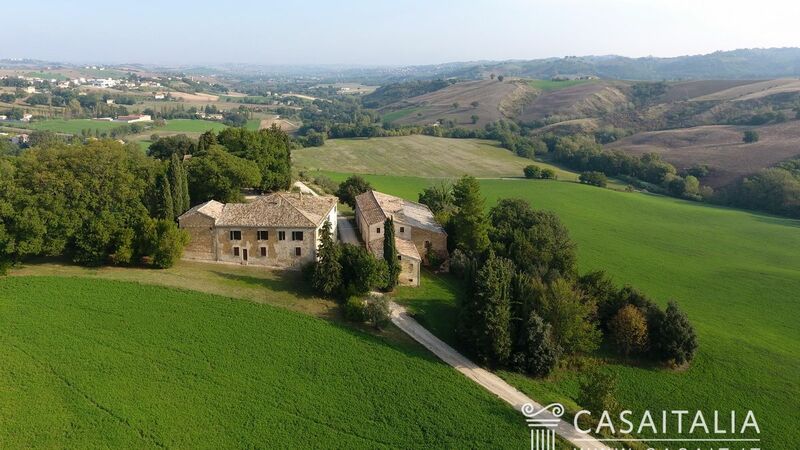 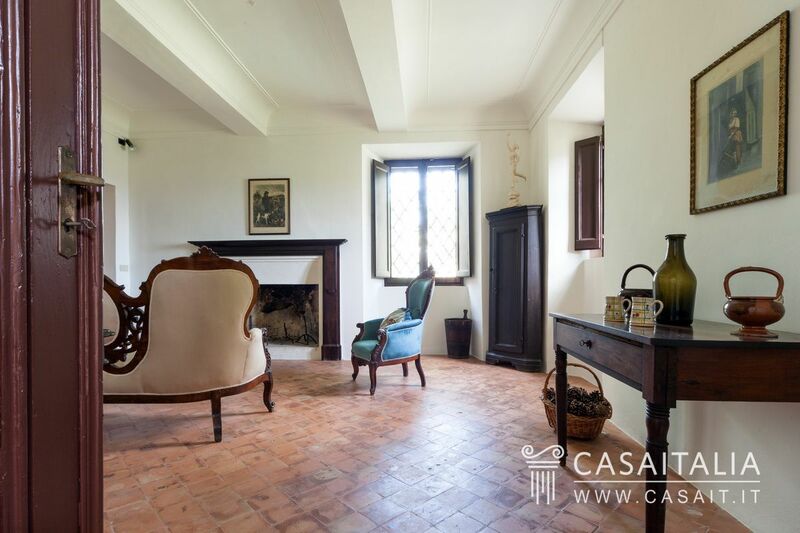 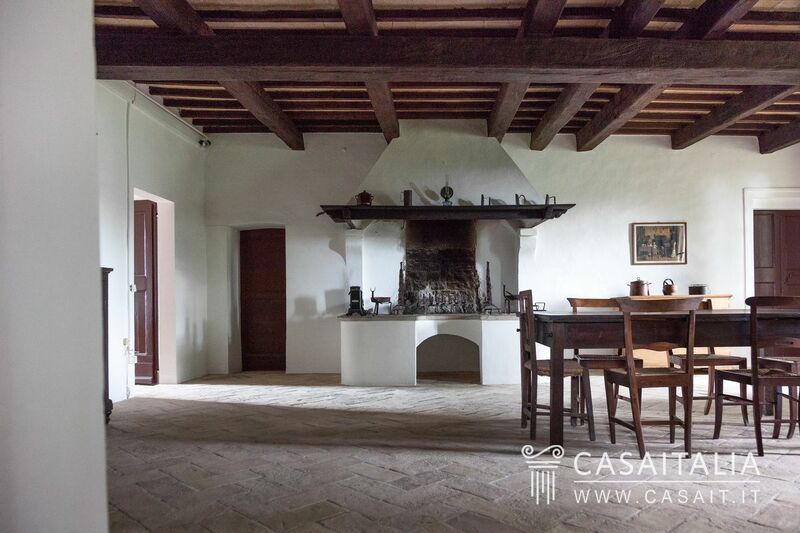 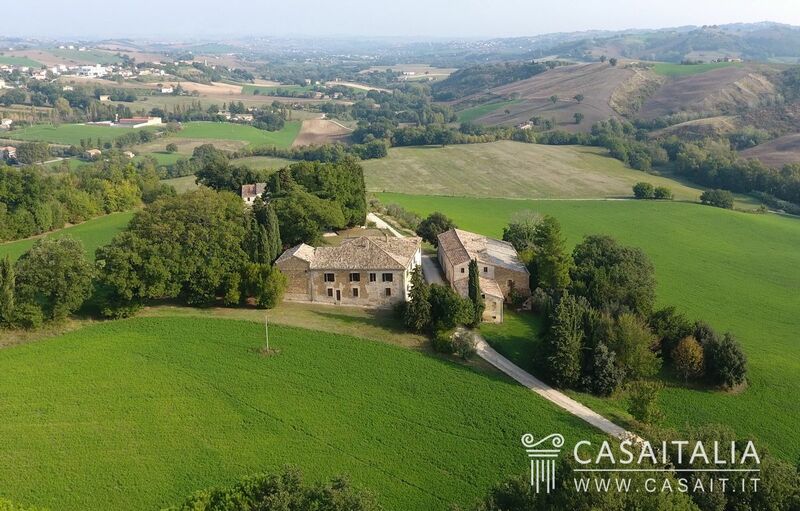 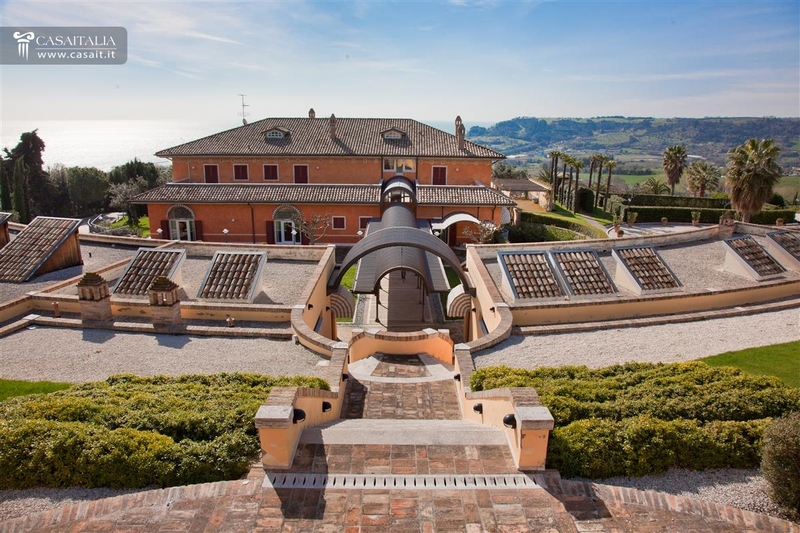 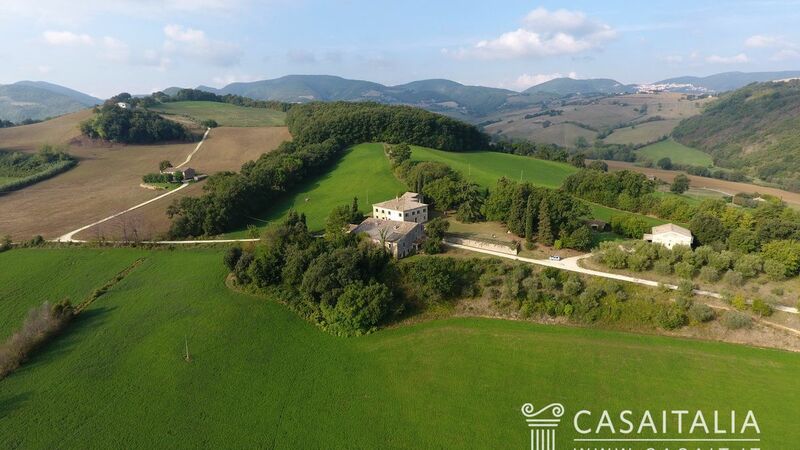 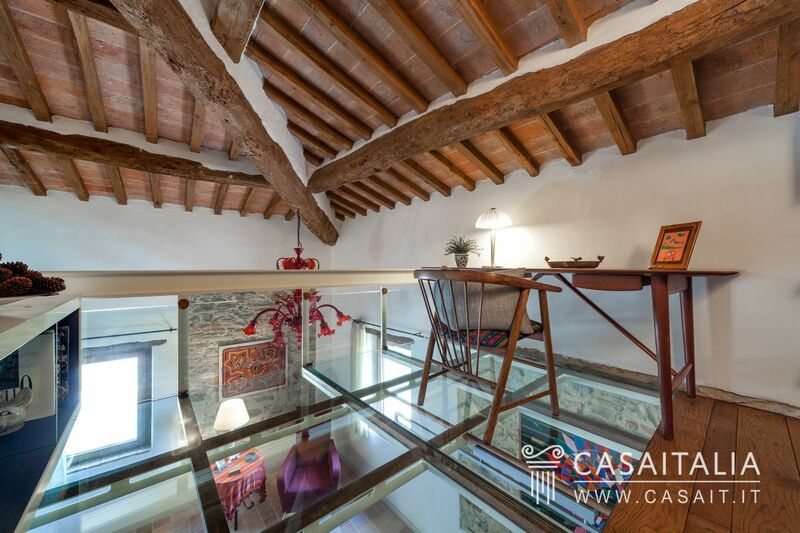 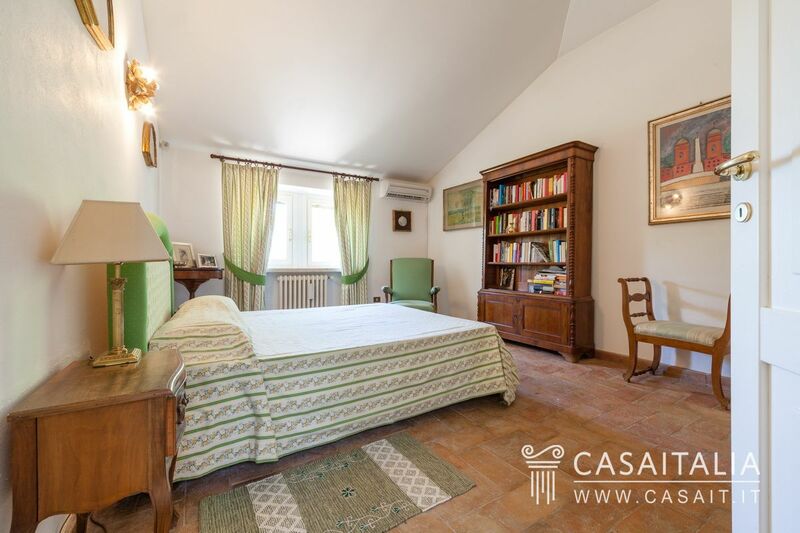 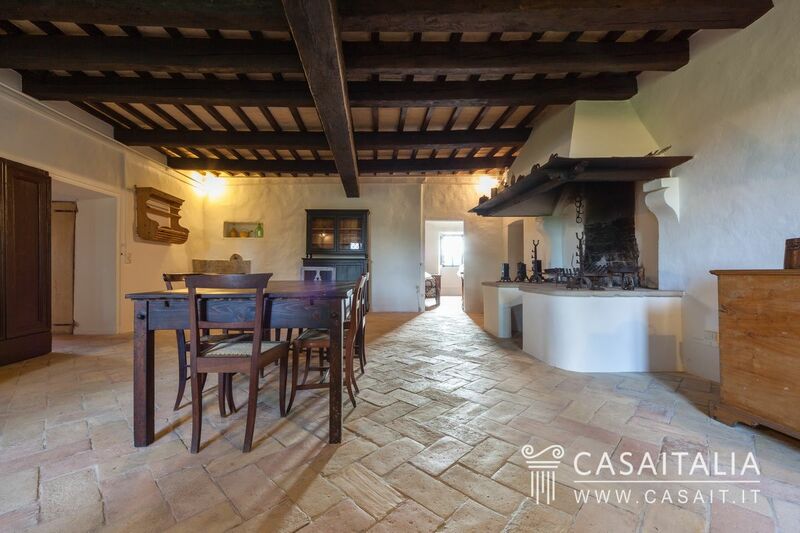 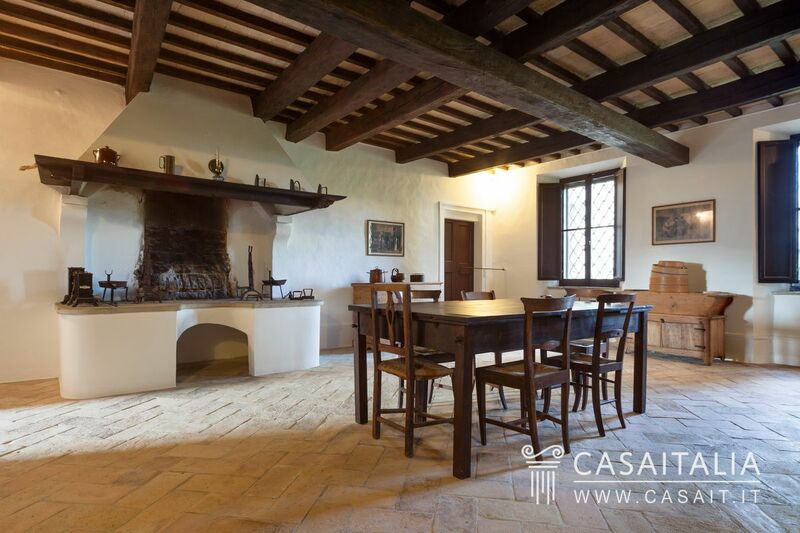 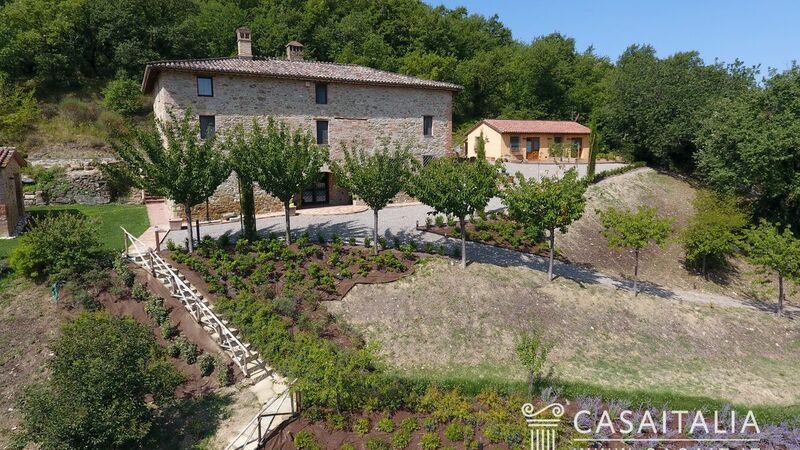 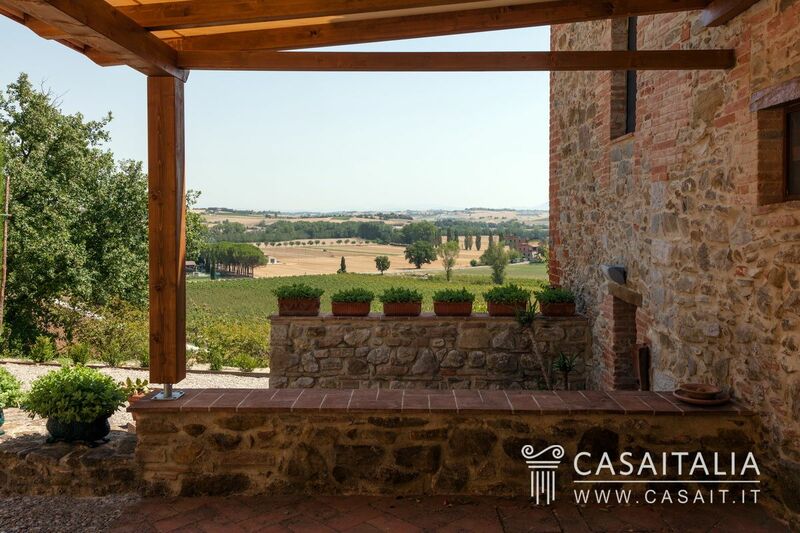 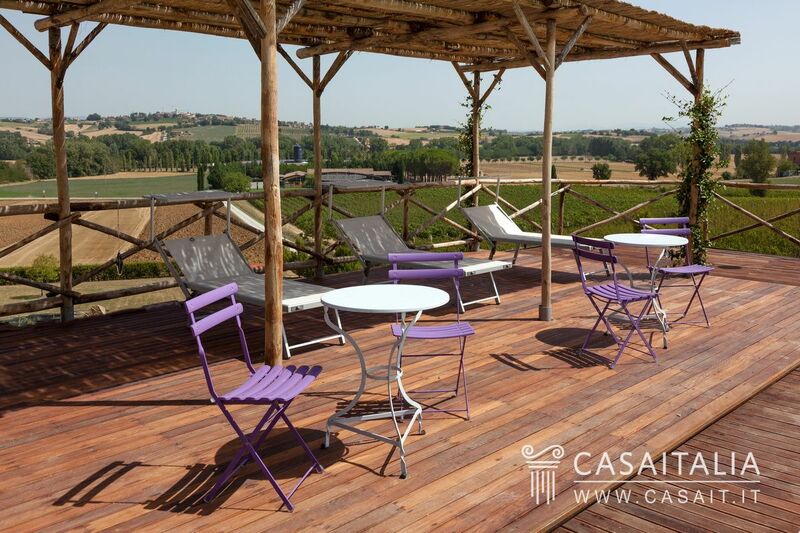 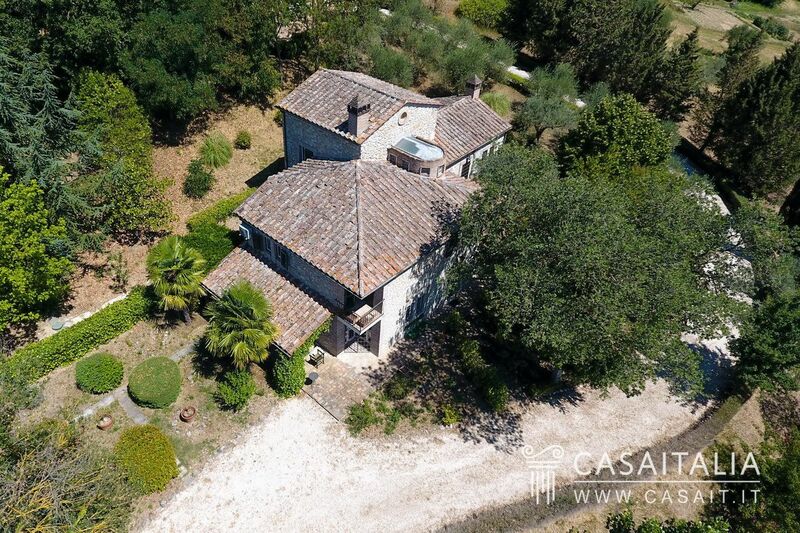 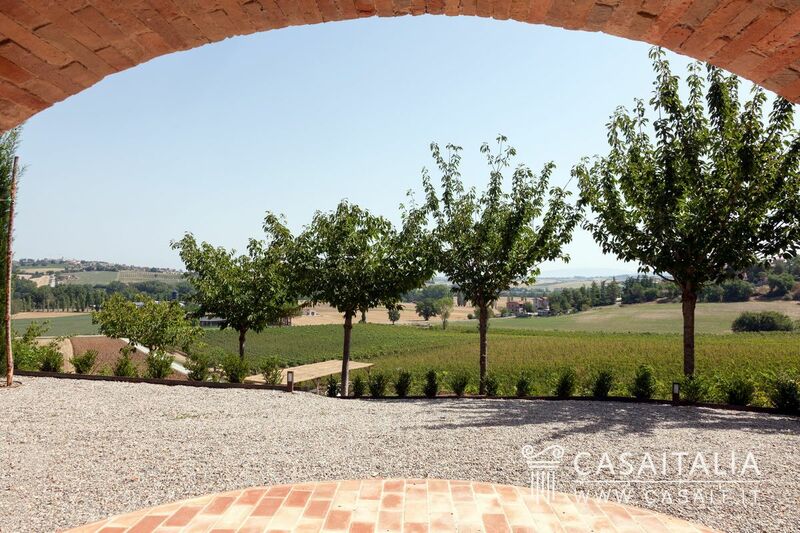 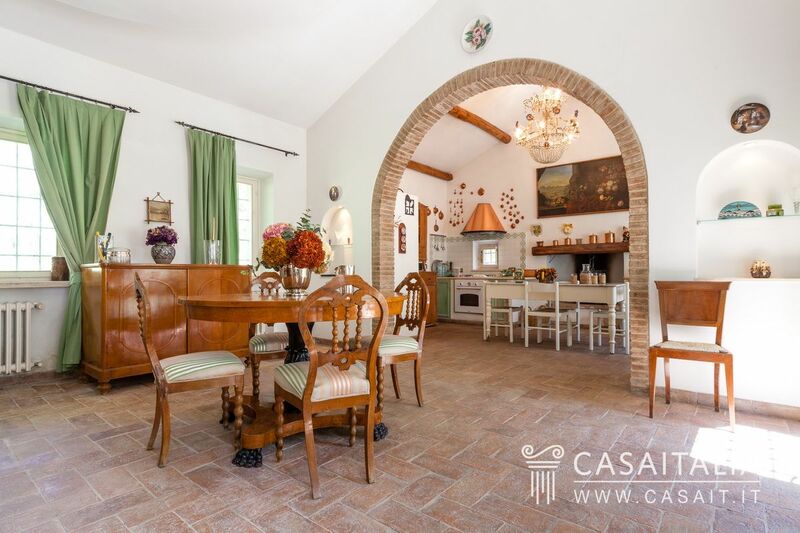 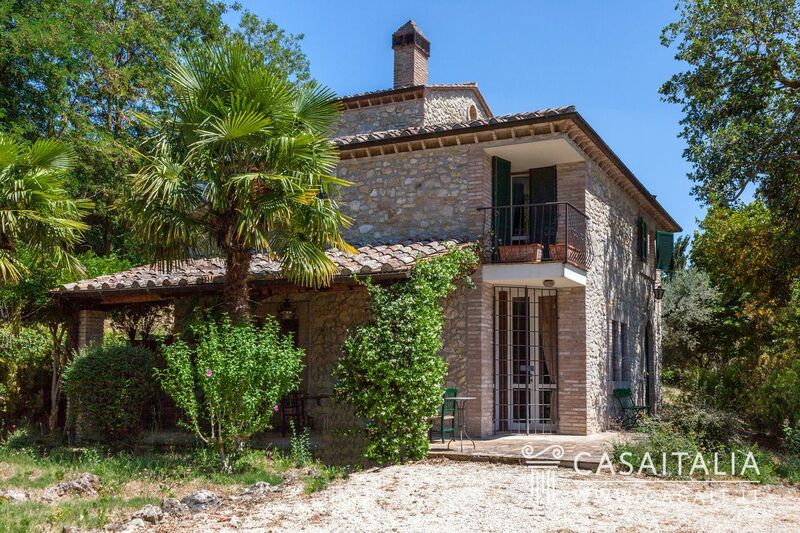 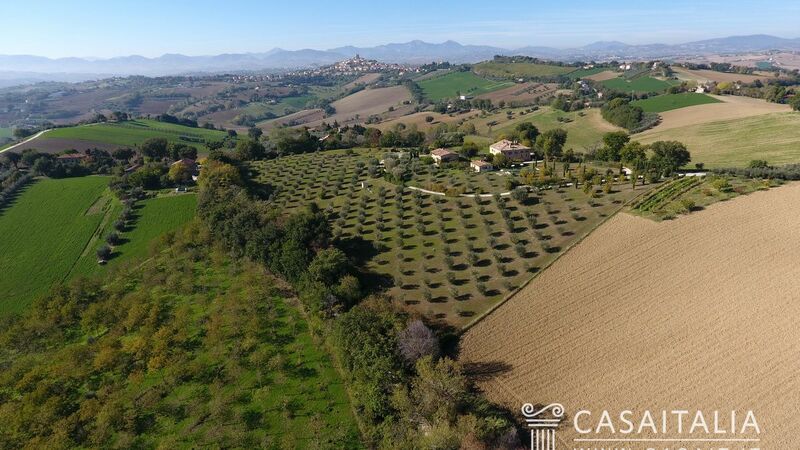 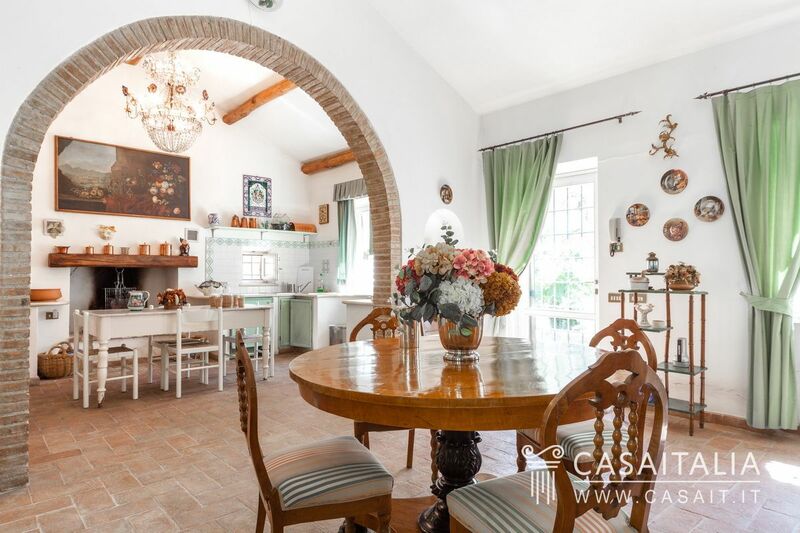 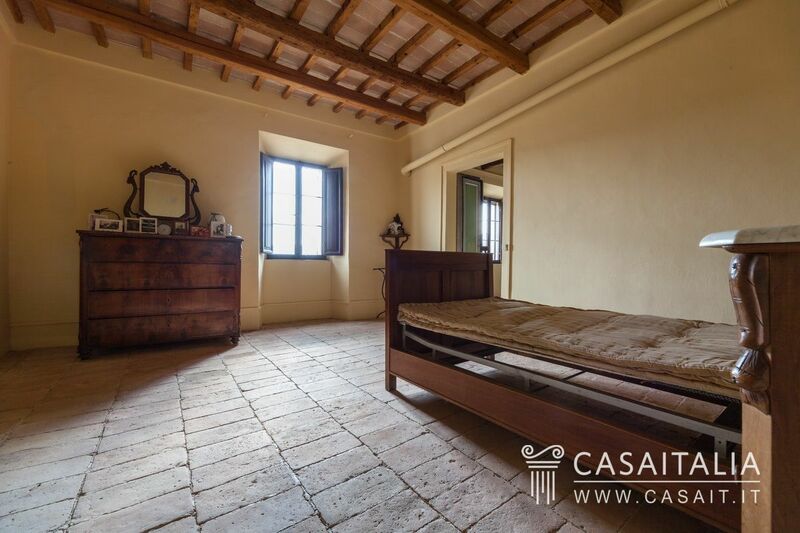 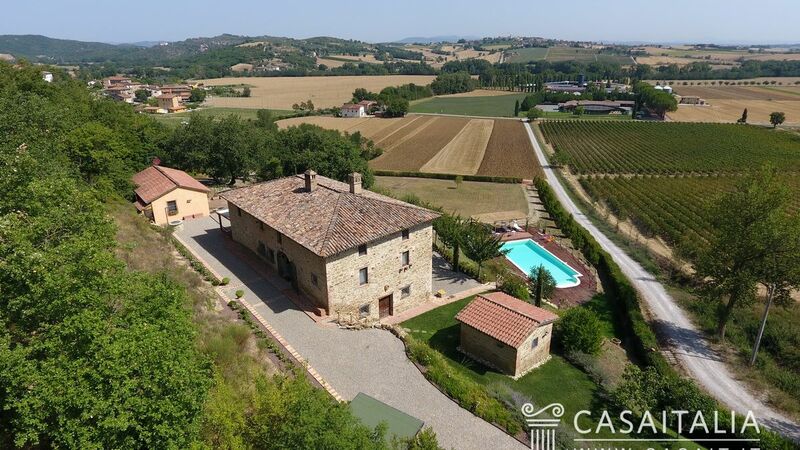 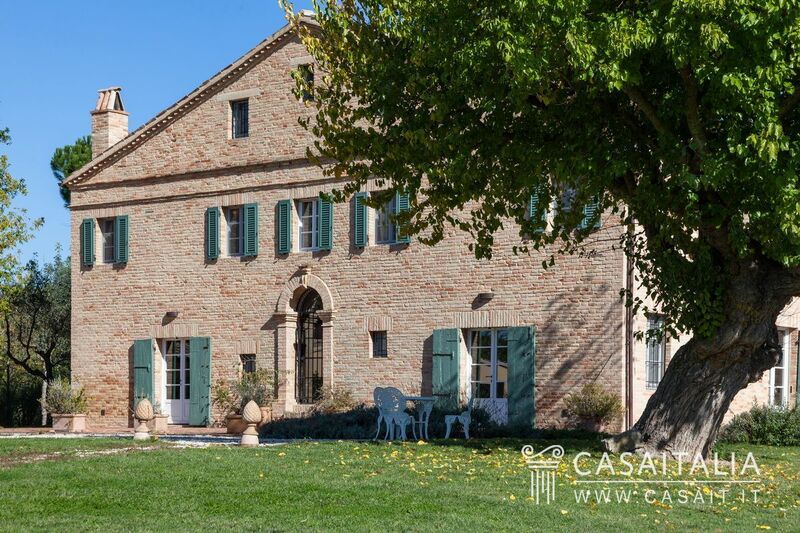 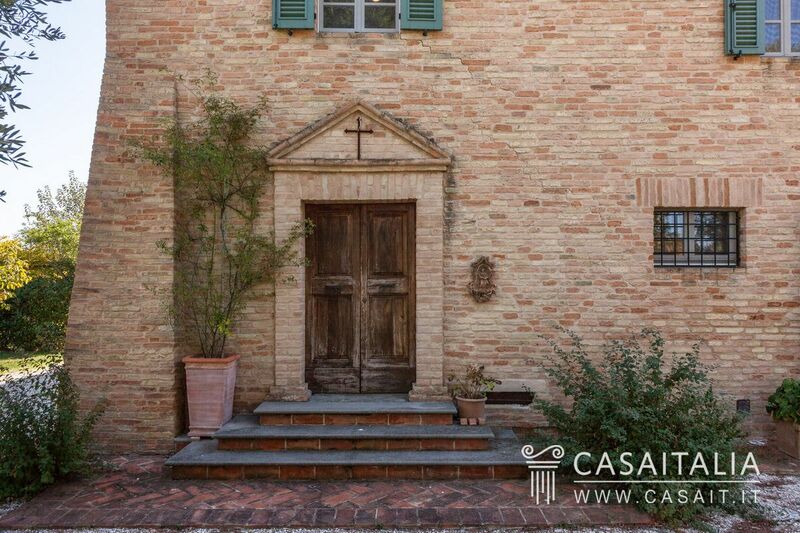 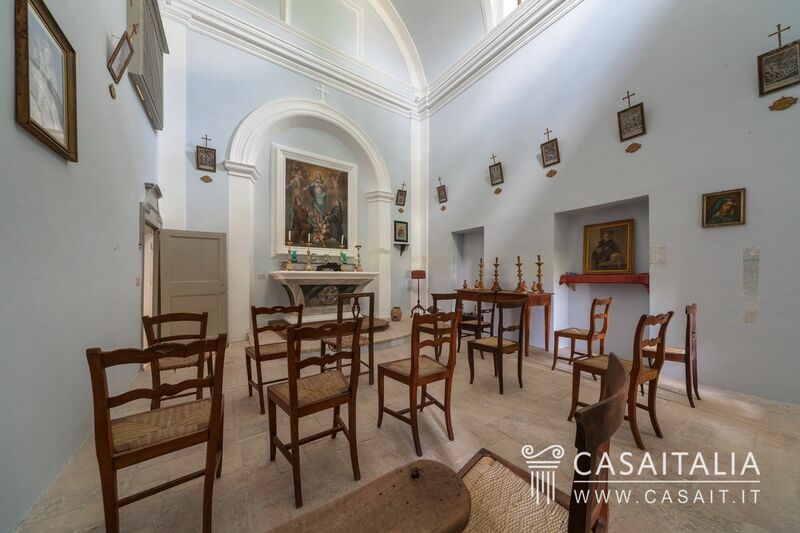 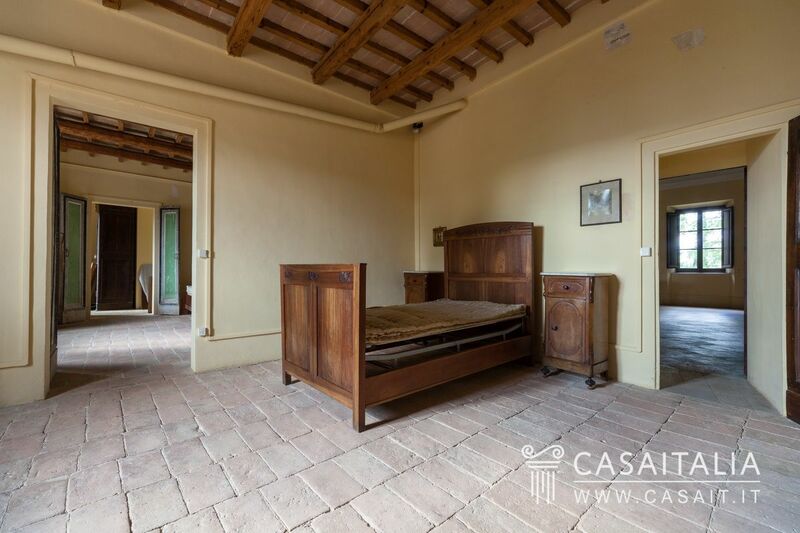 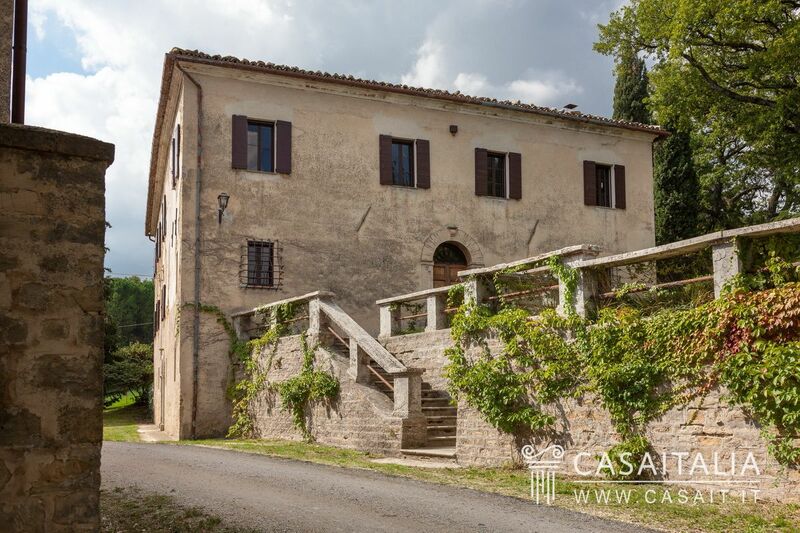 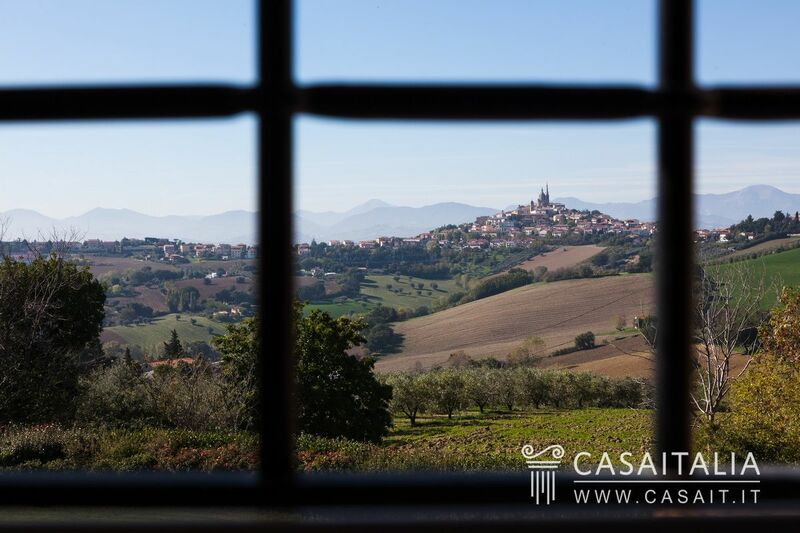 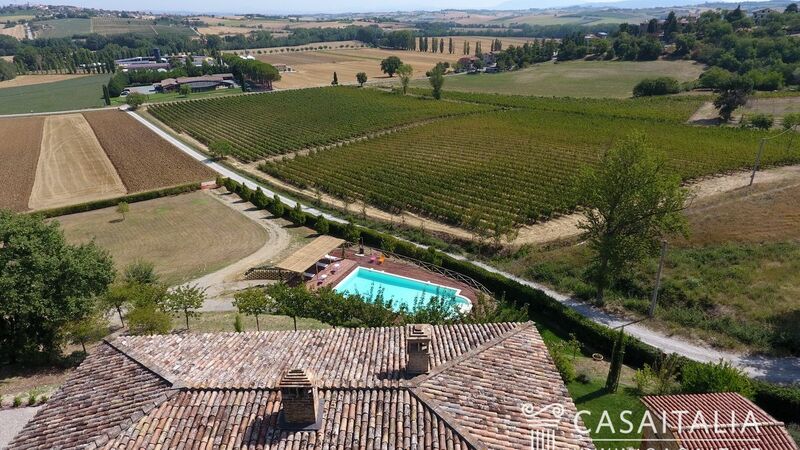 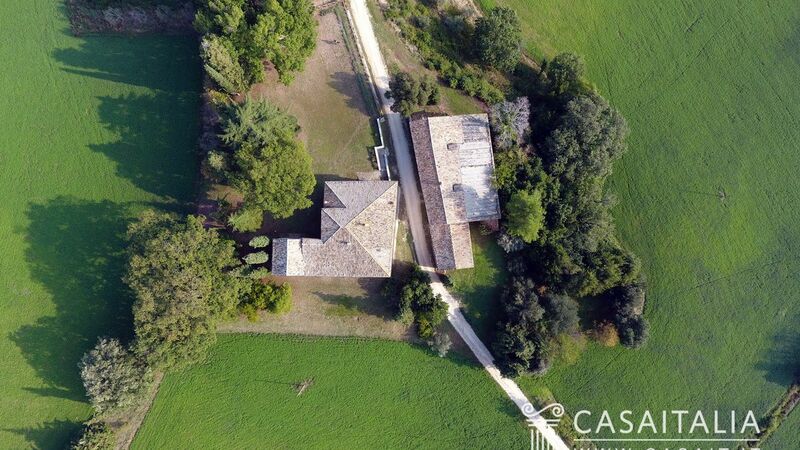 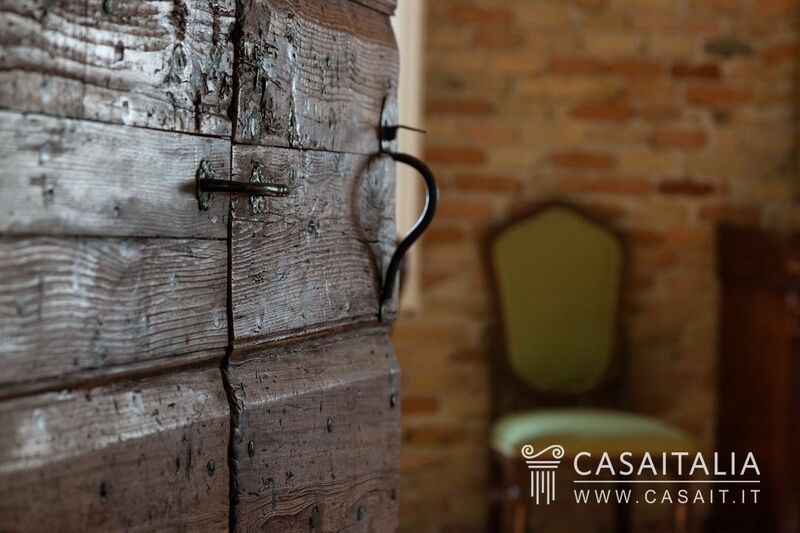 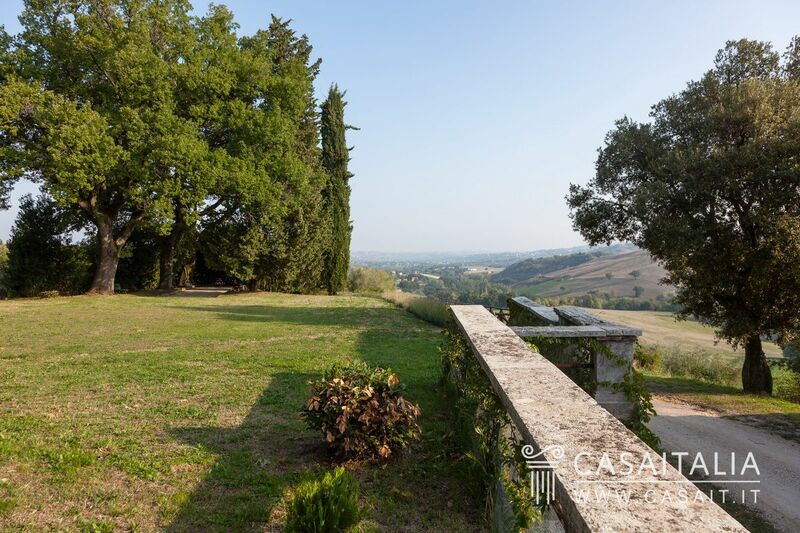 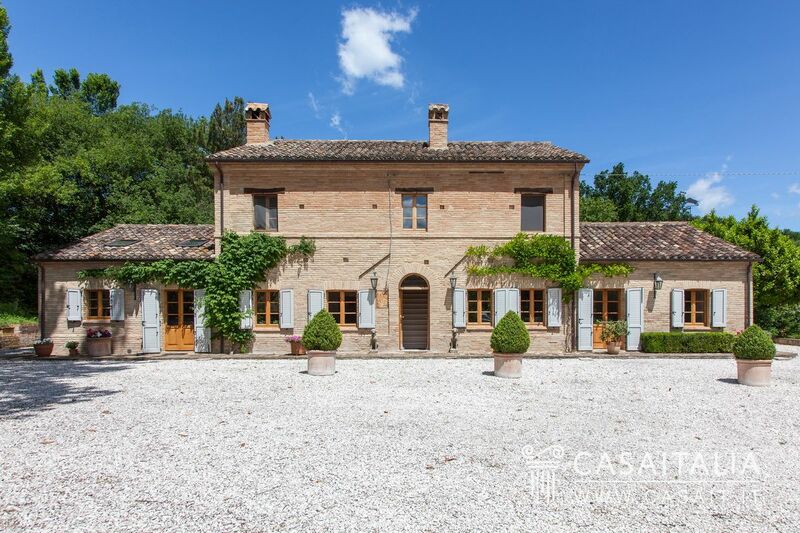 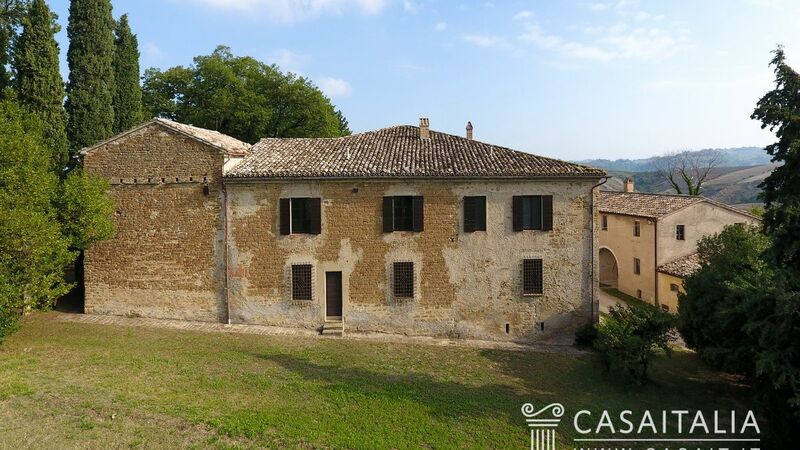 Historic villa, with farmhouse next door requiring restoration and 3 hectares of land (plus 30 ha to be optionally purchased), for sale in Le Marche, between Arcevia and Serra San Quirico and half an hour from Senigallia. 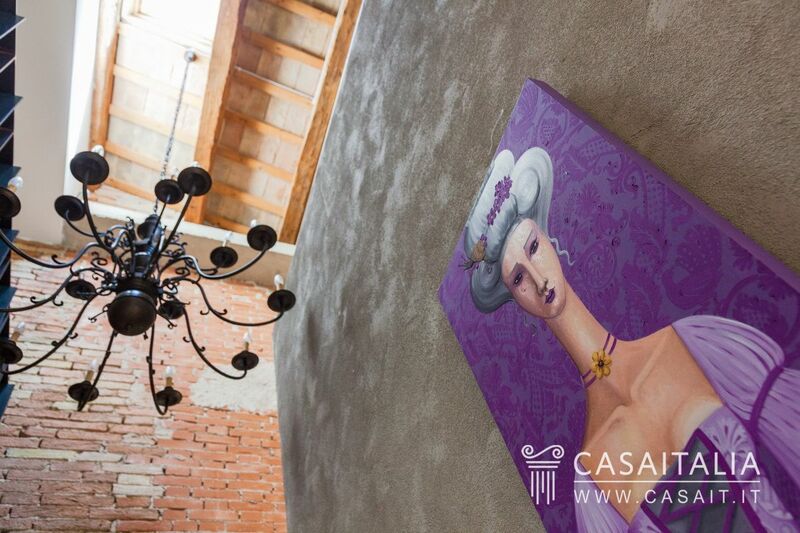 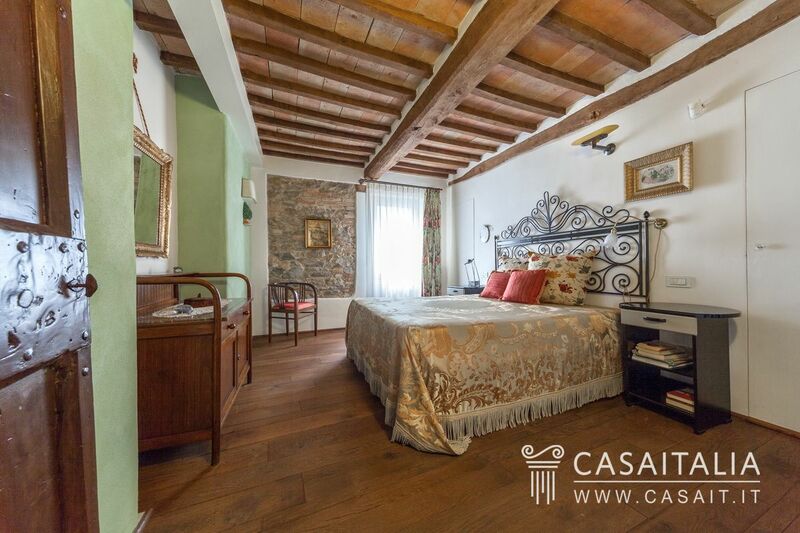 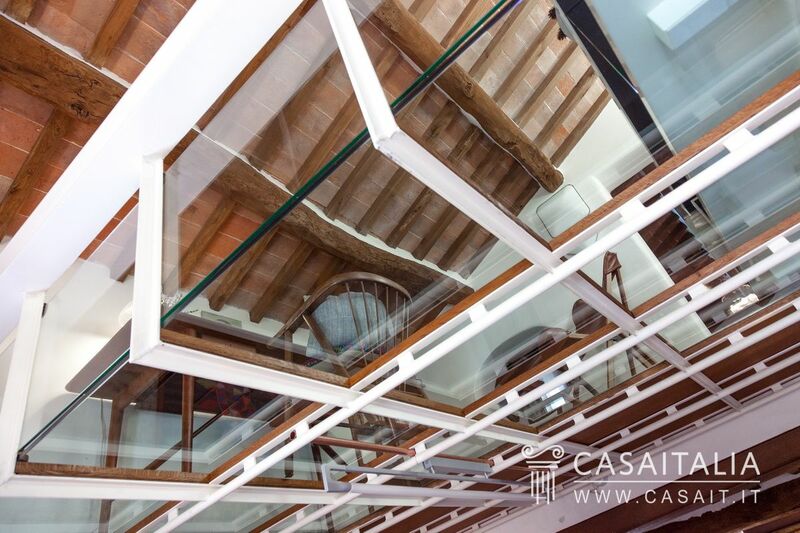 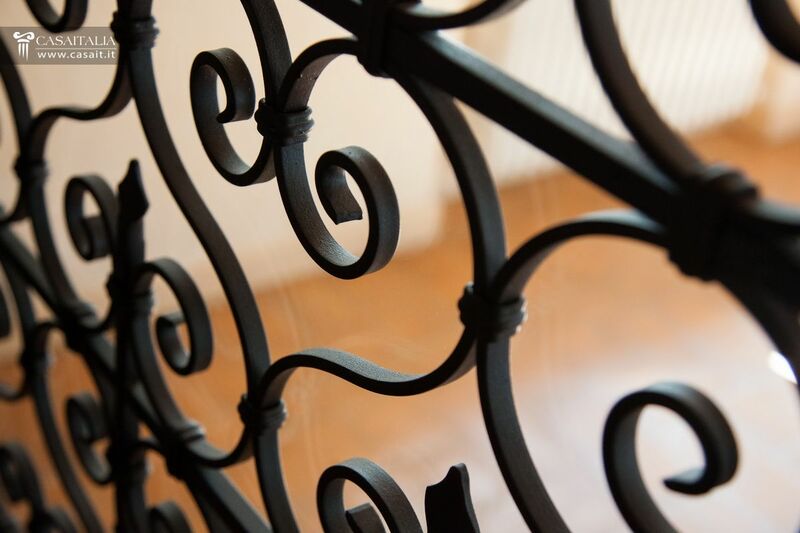 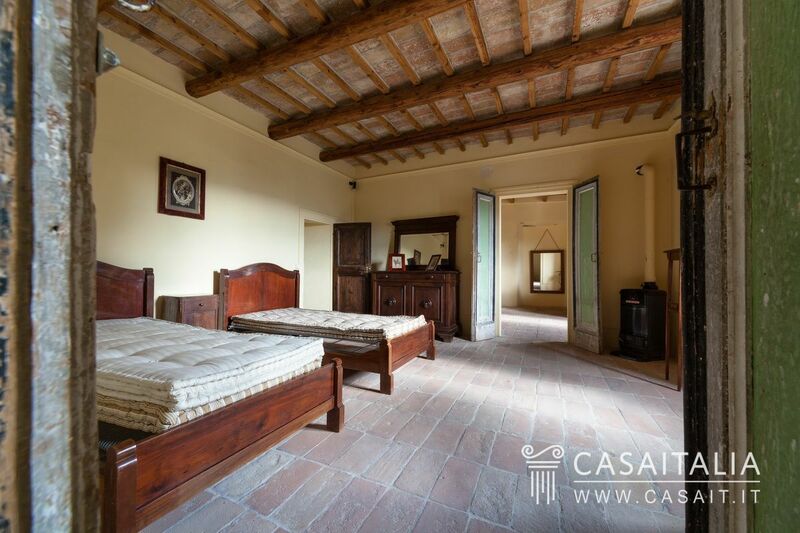 Ideal as bed and breakfast or an impressive residence. 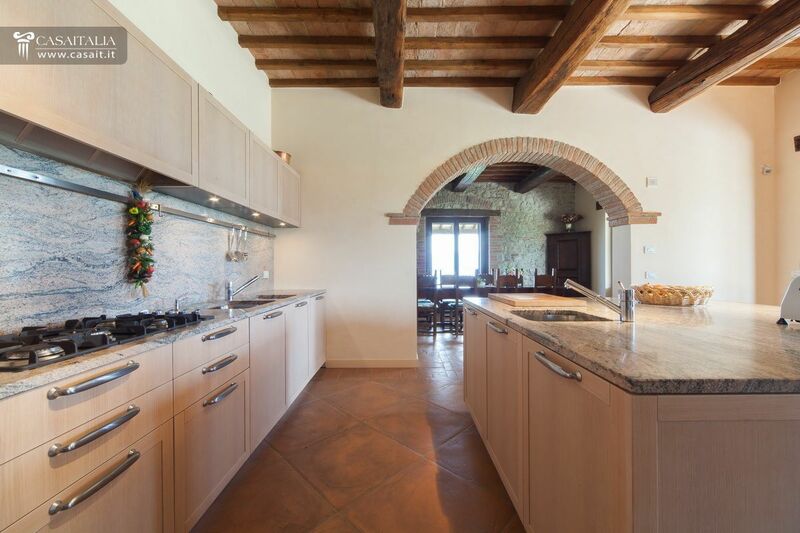 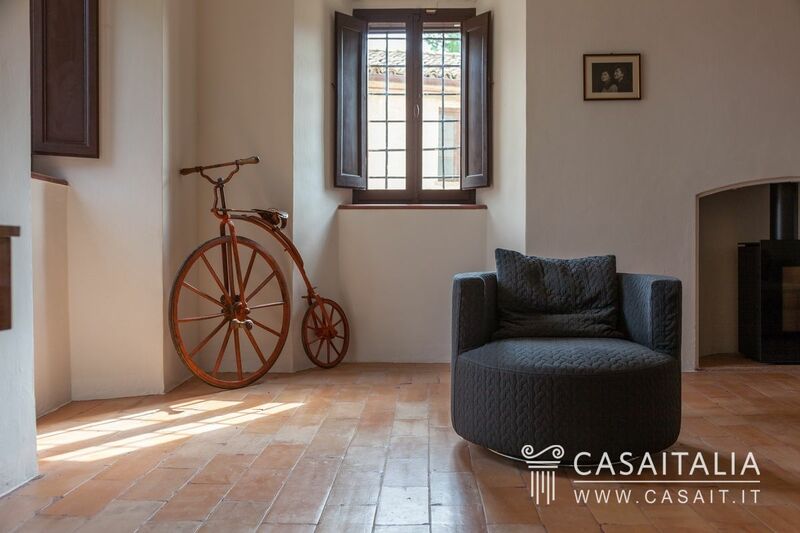 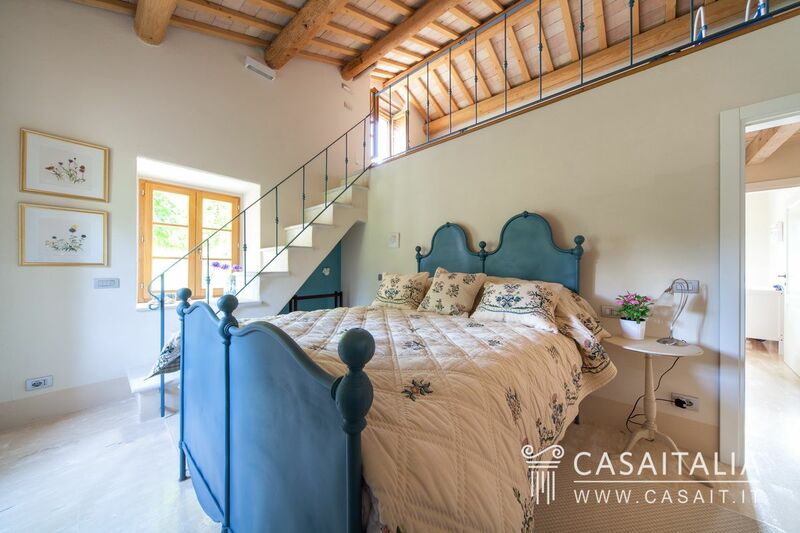 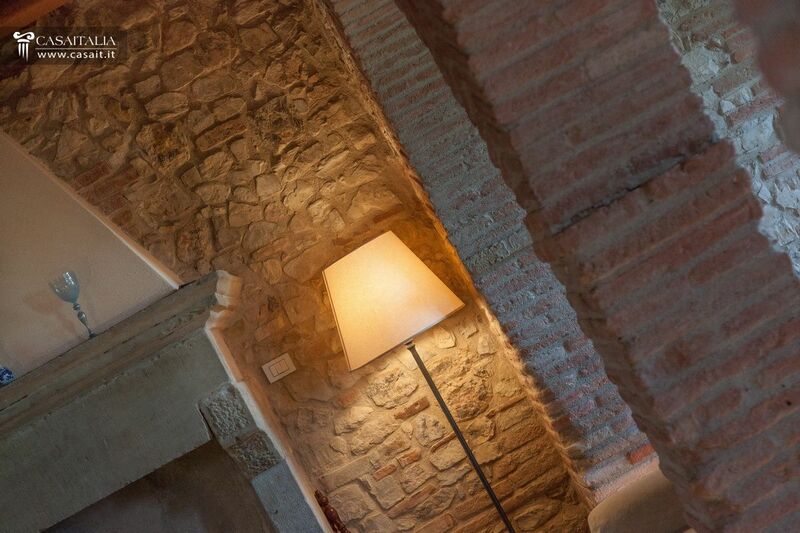 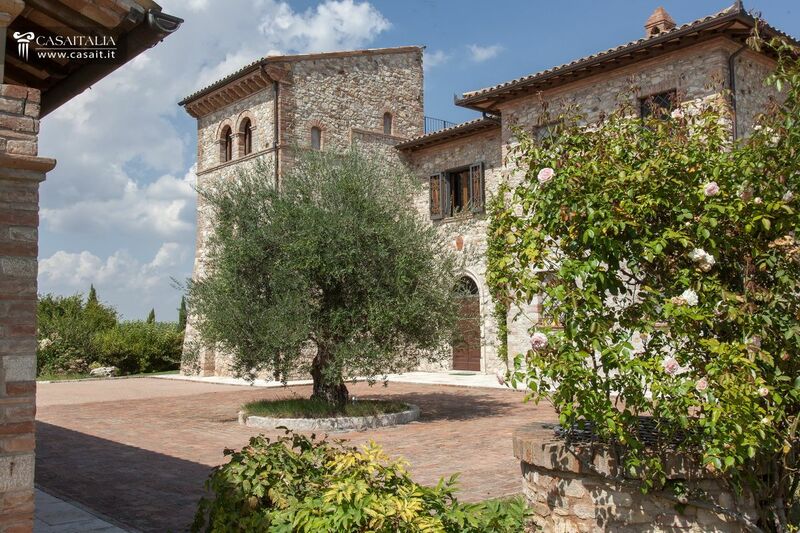 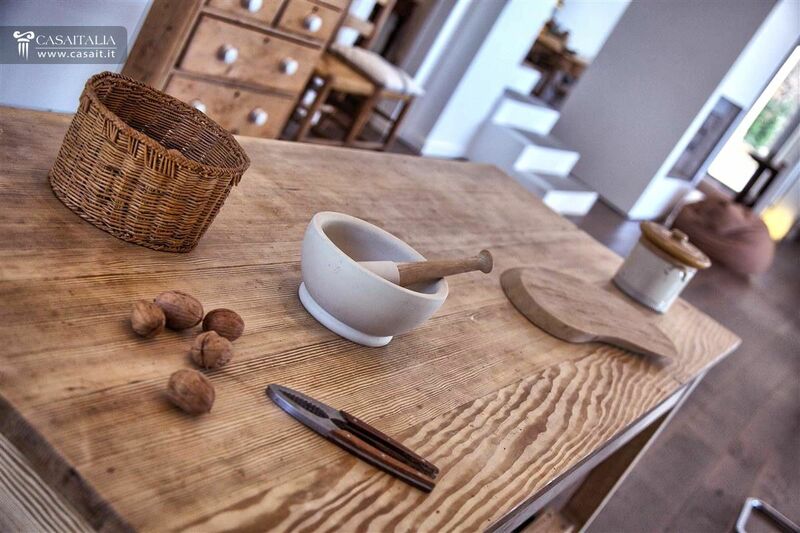 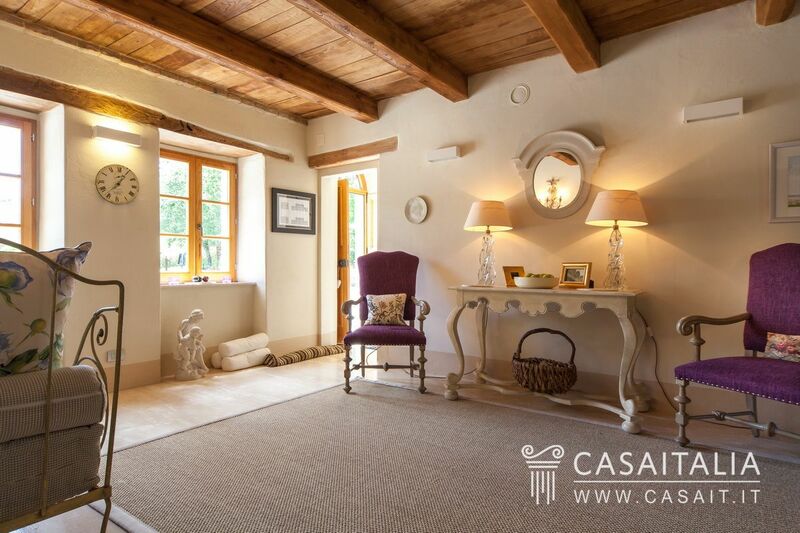 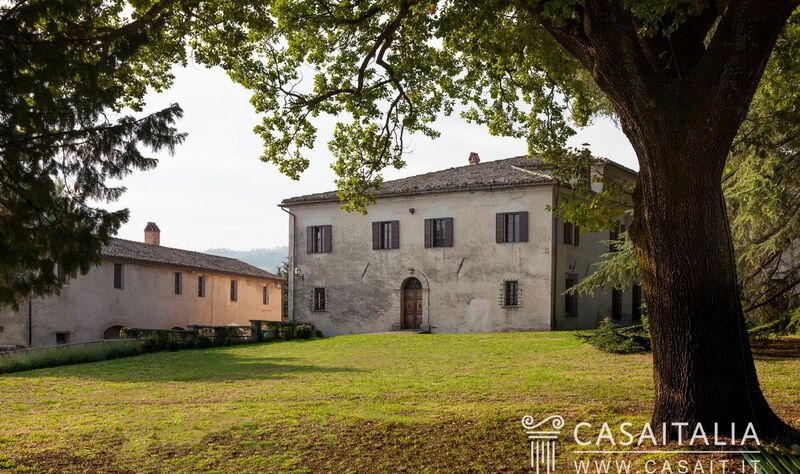 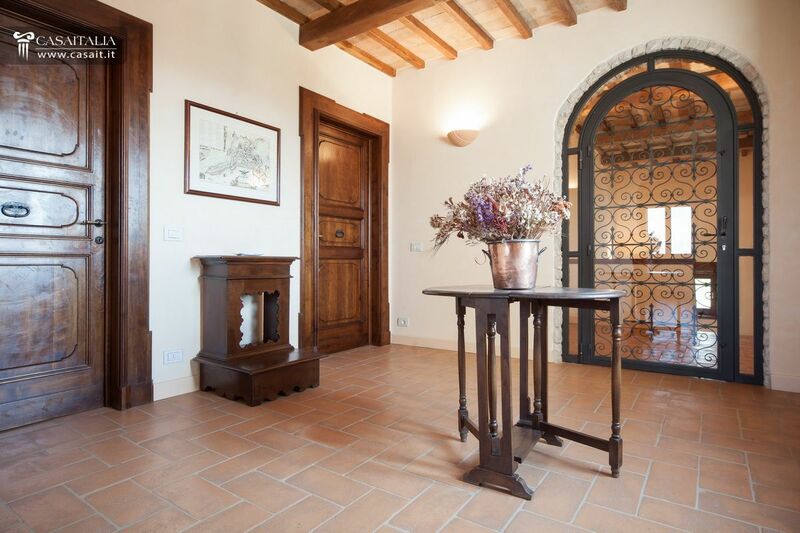 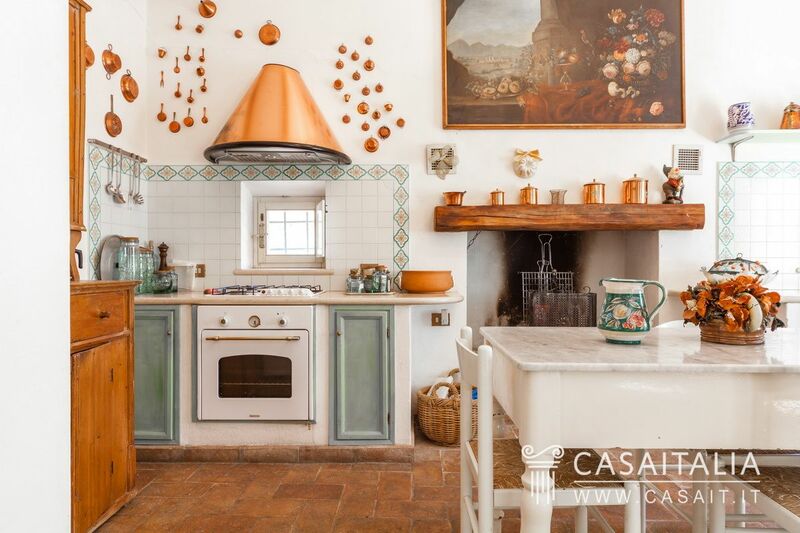 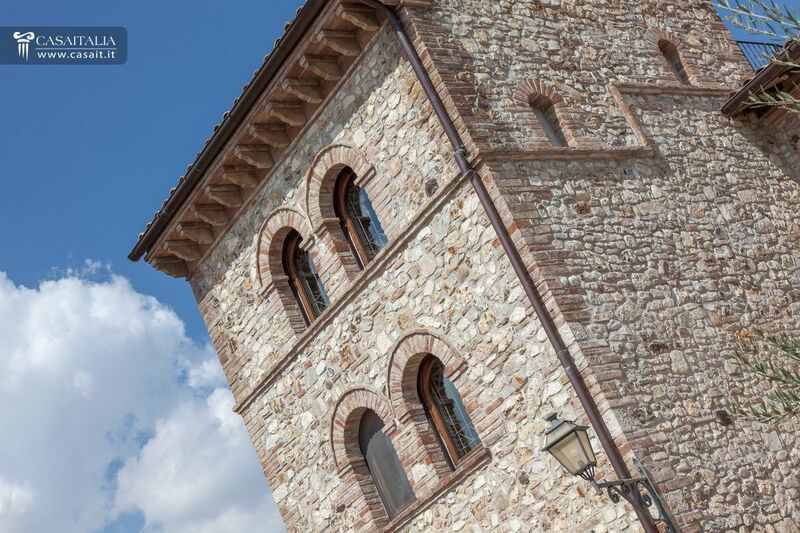 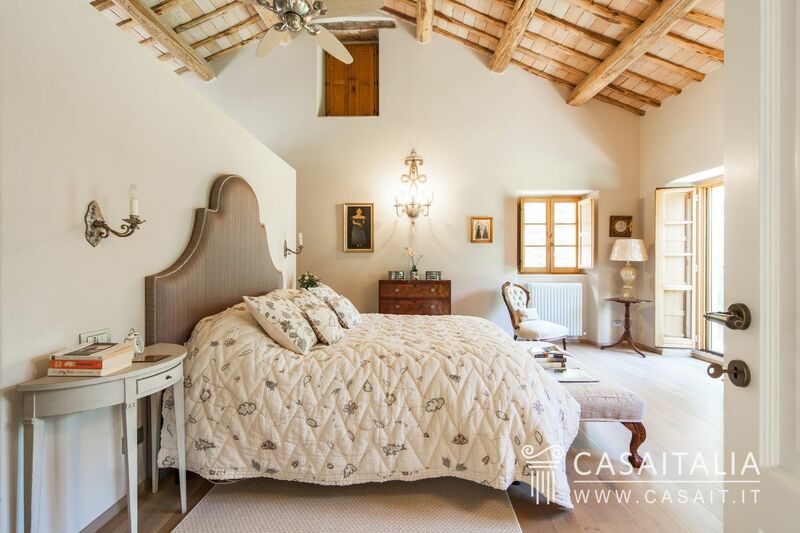 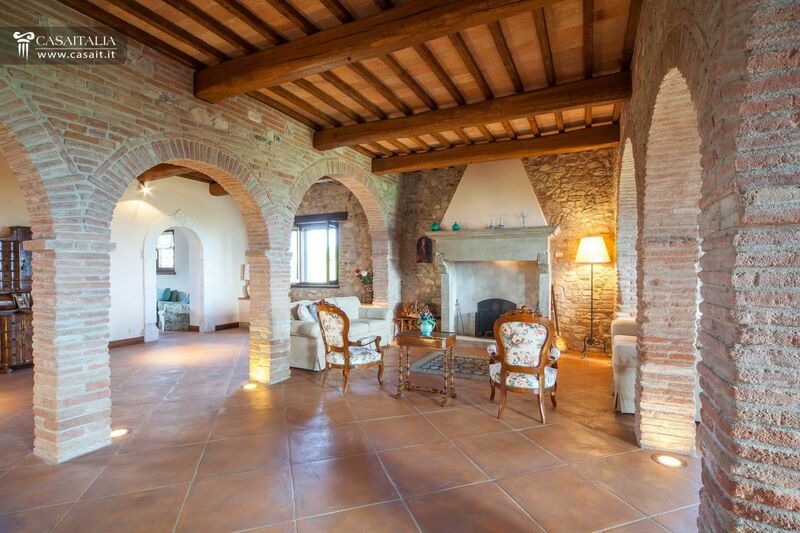 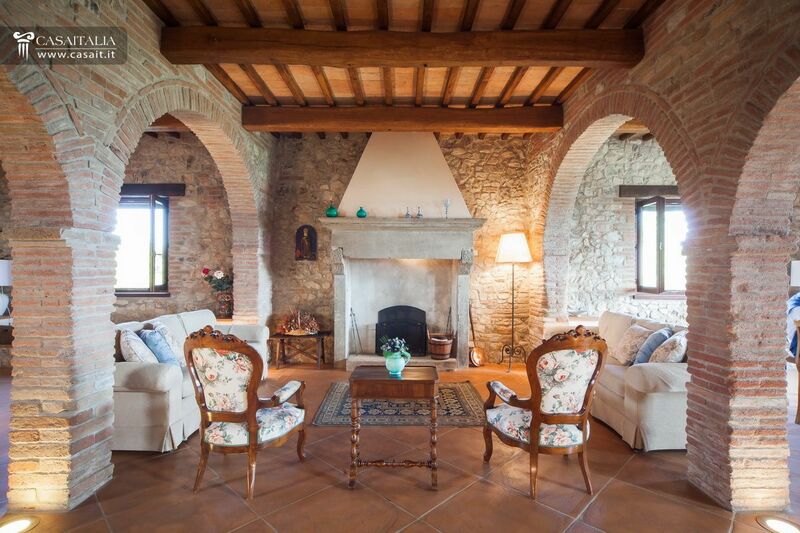 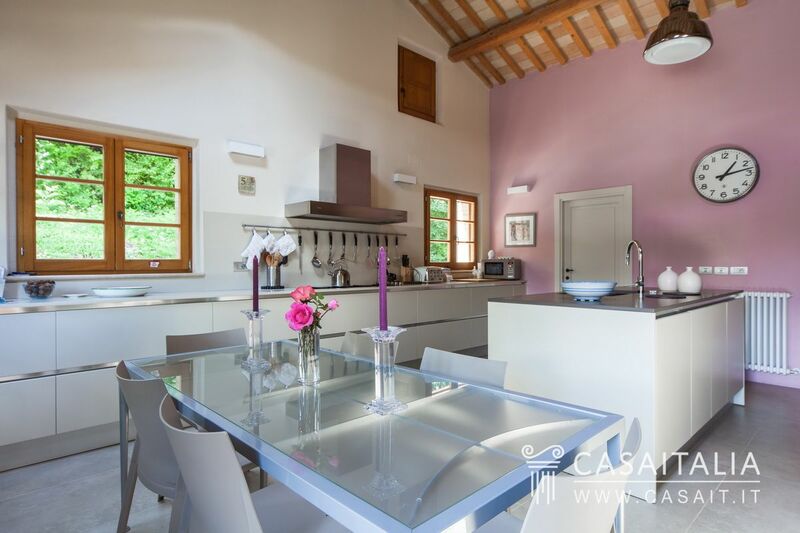 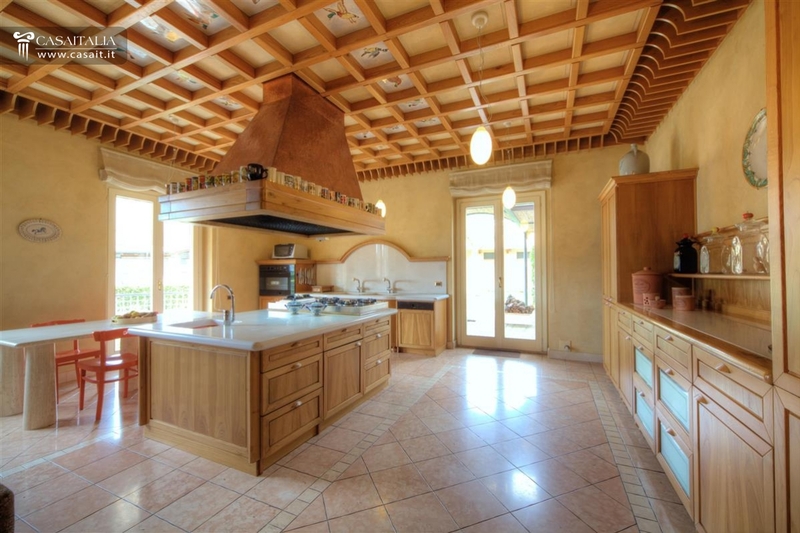 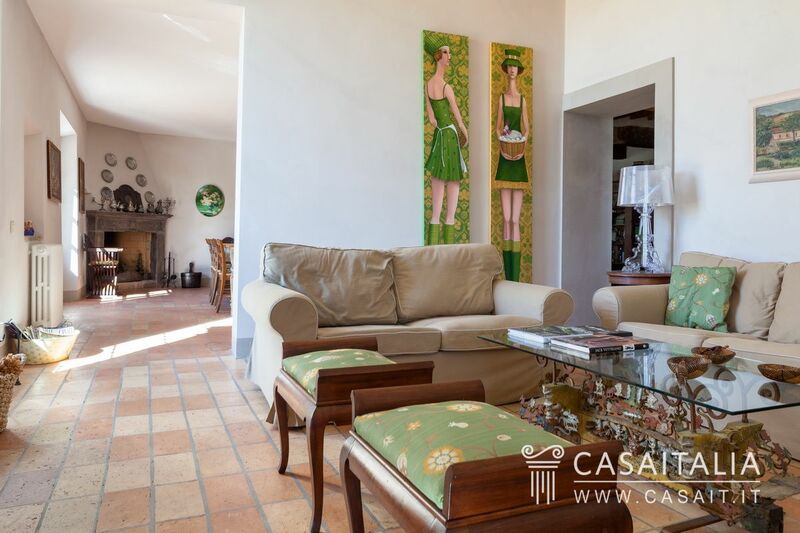 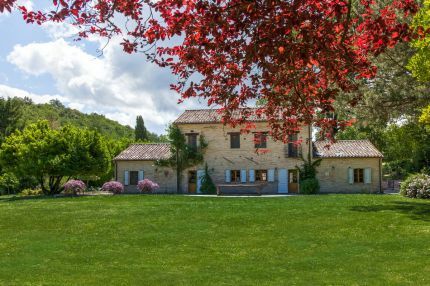 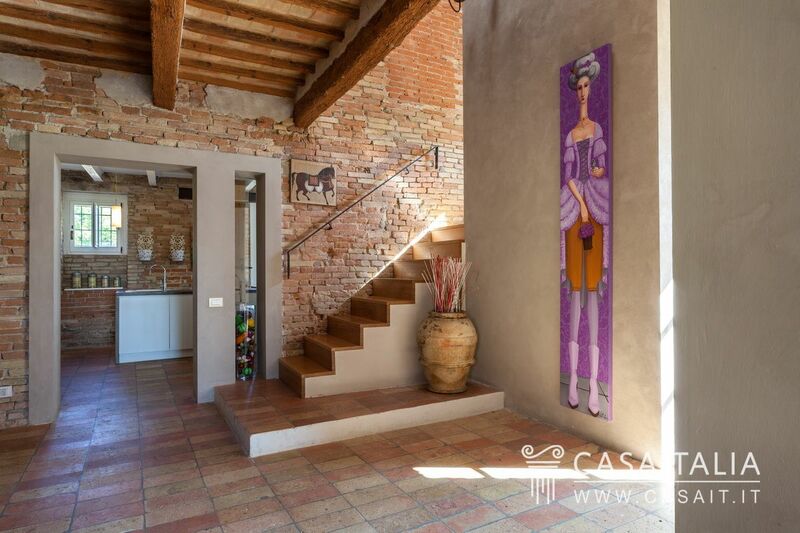 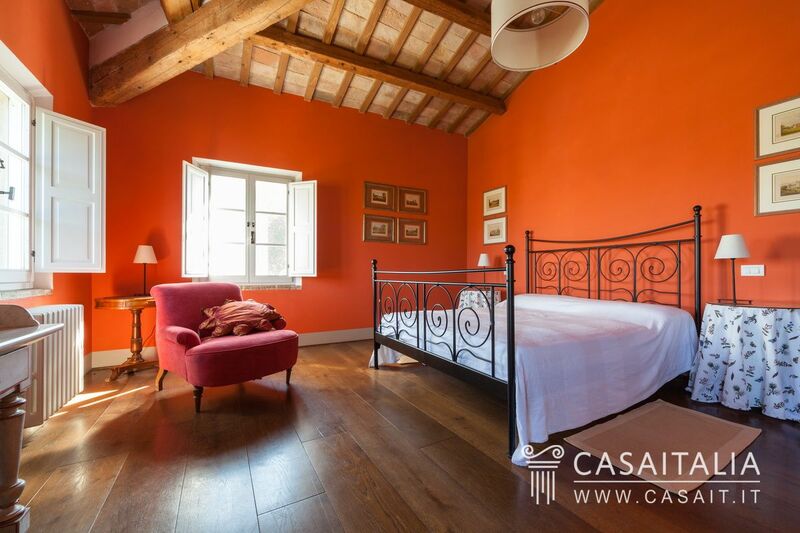 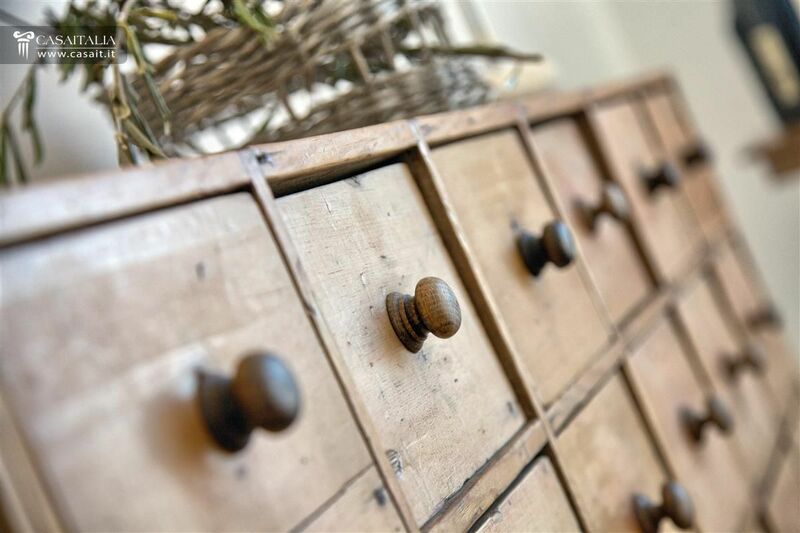 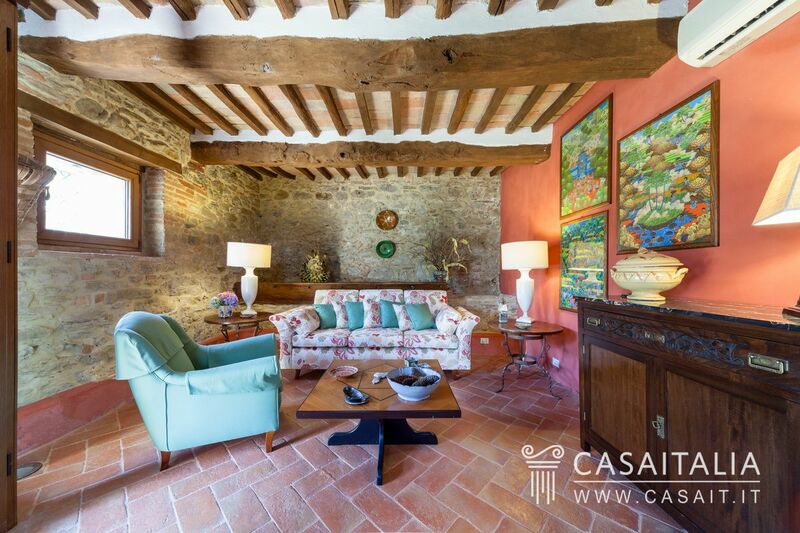 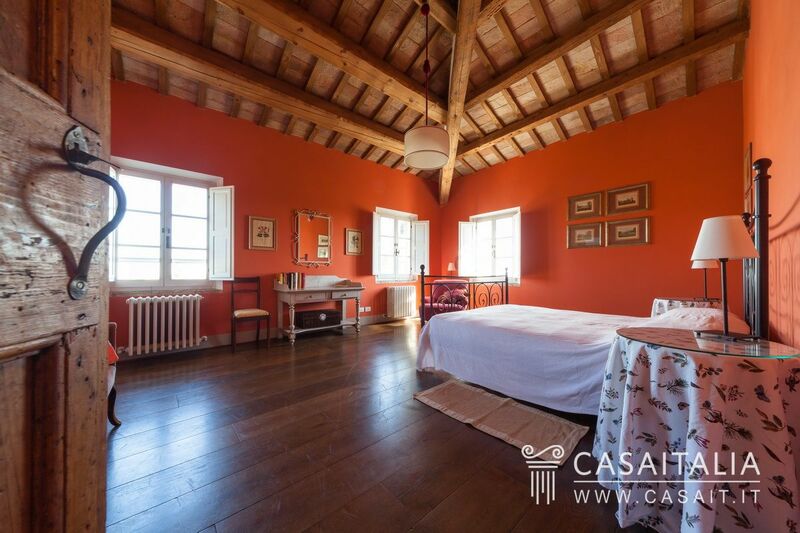 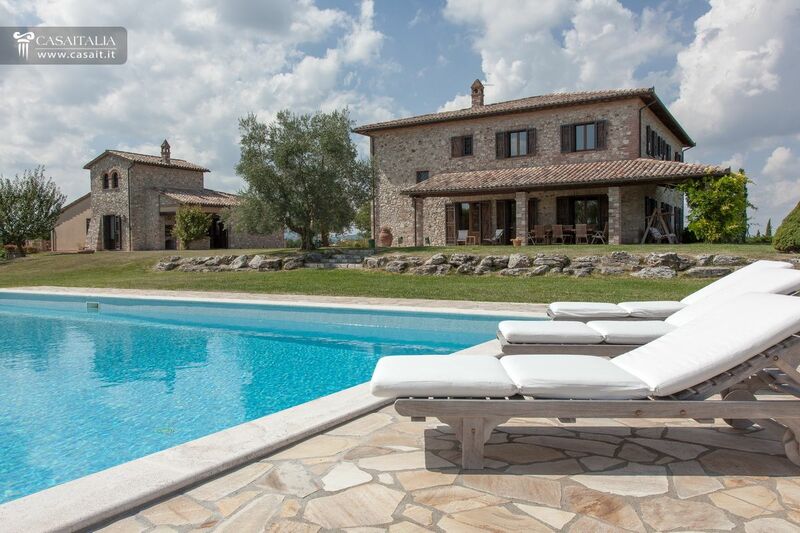 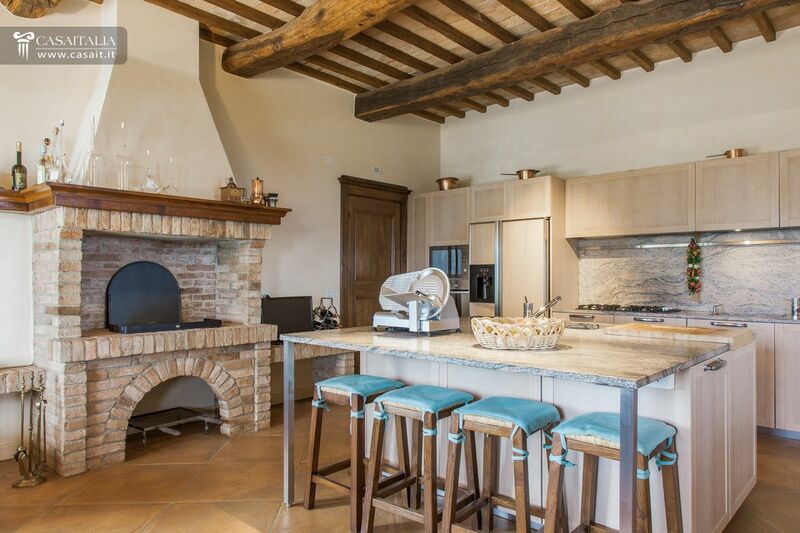 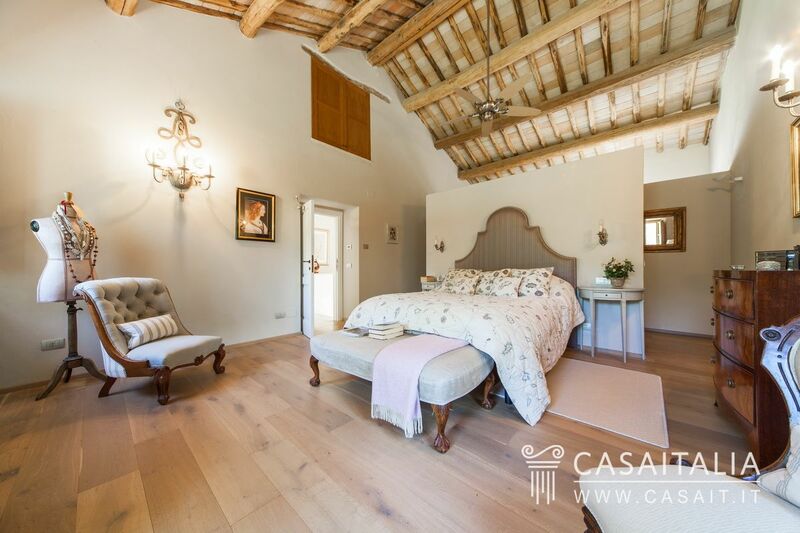 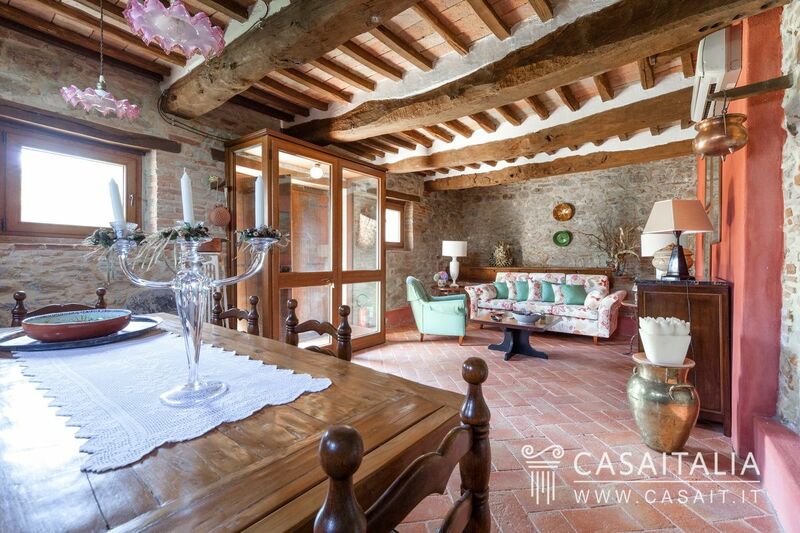 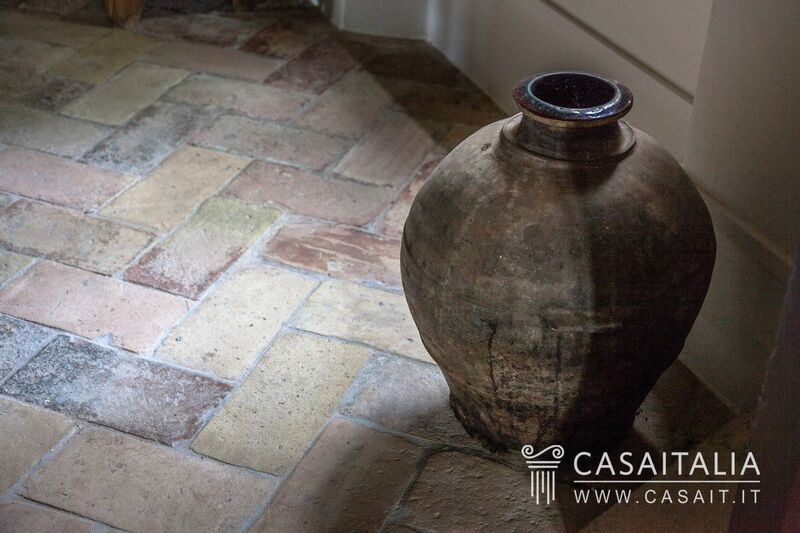 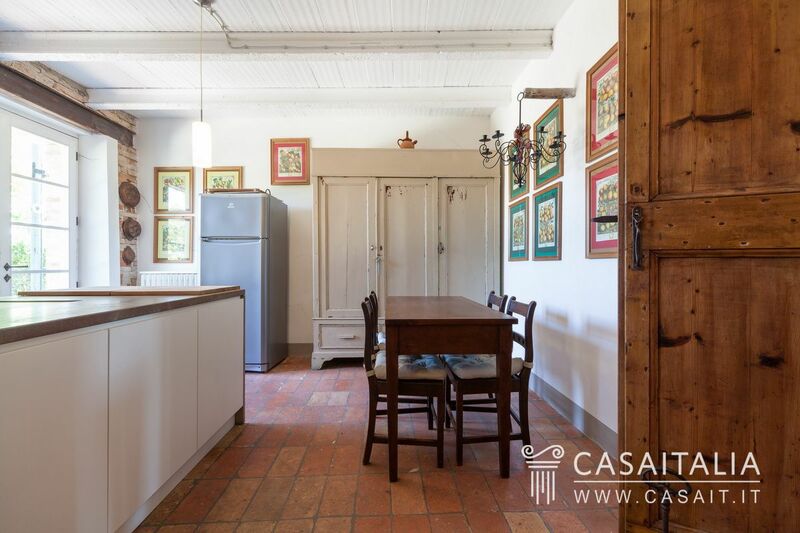 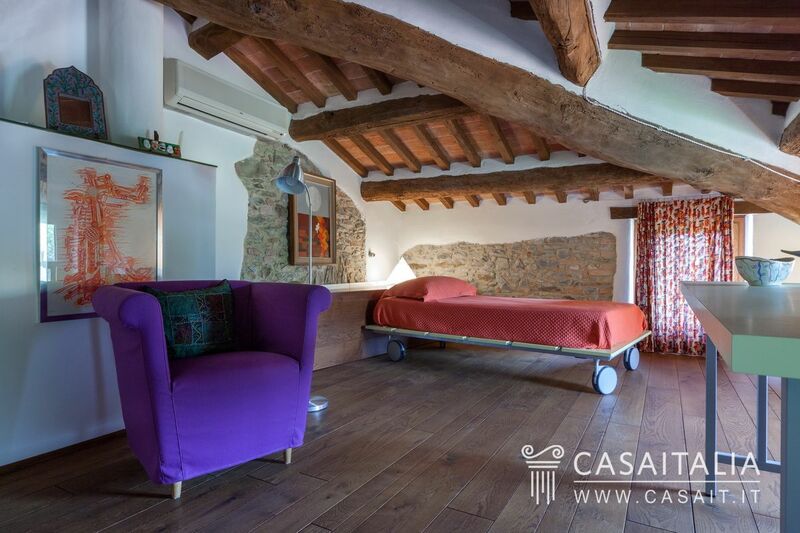 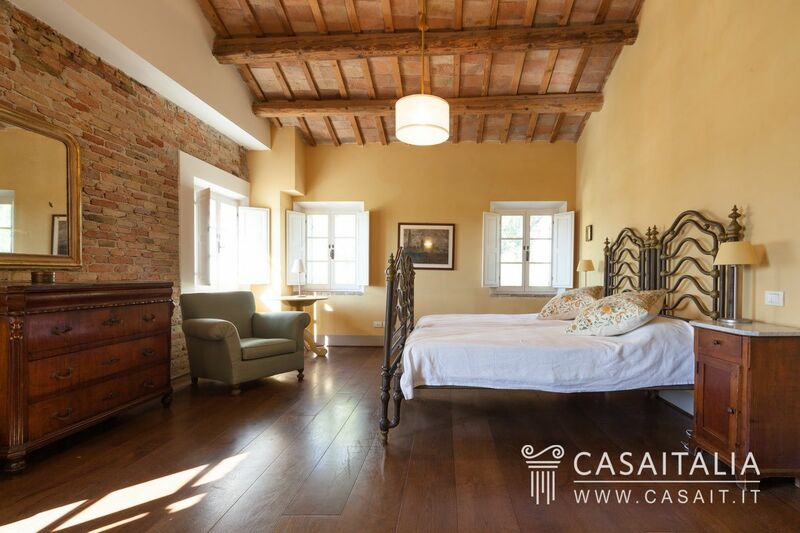 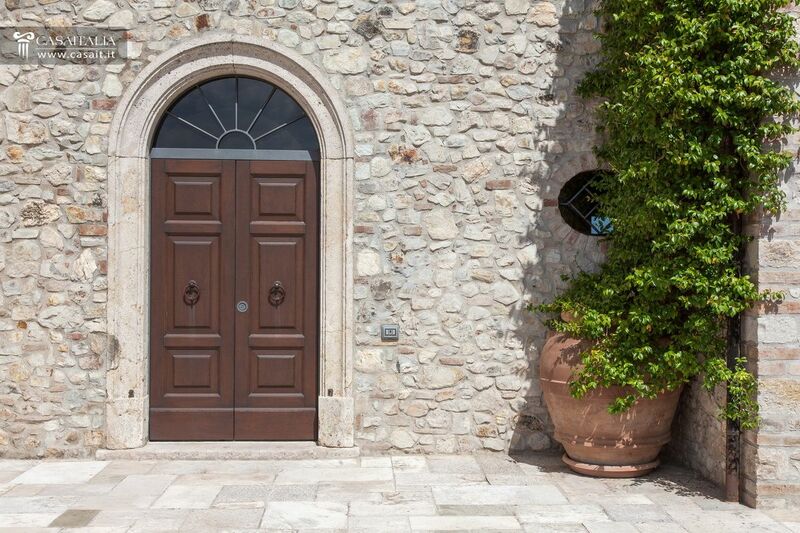 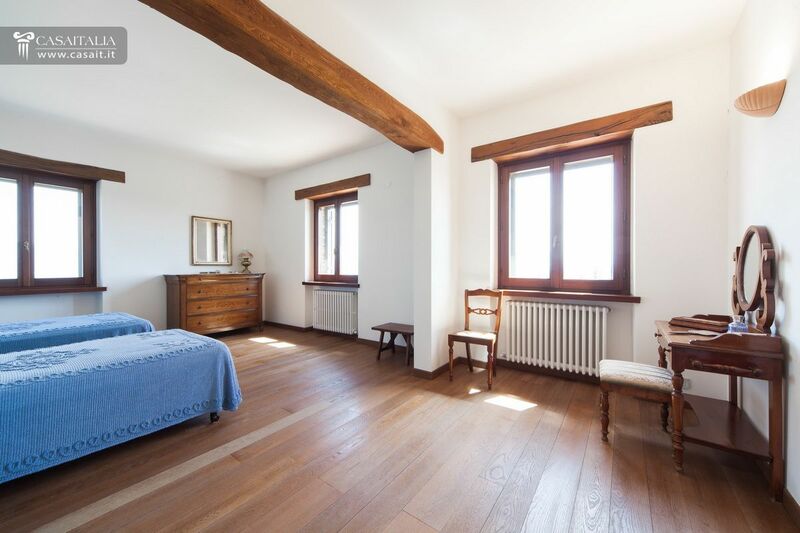 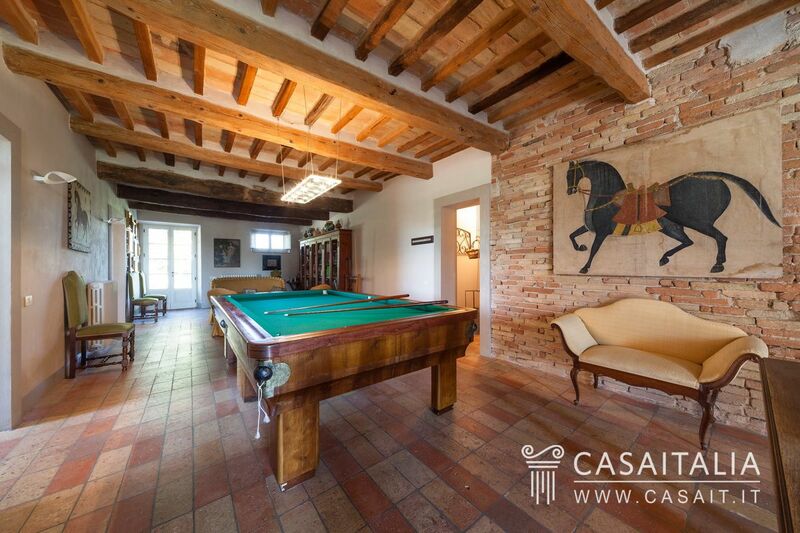 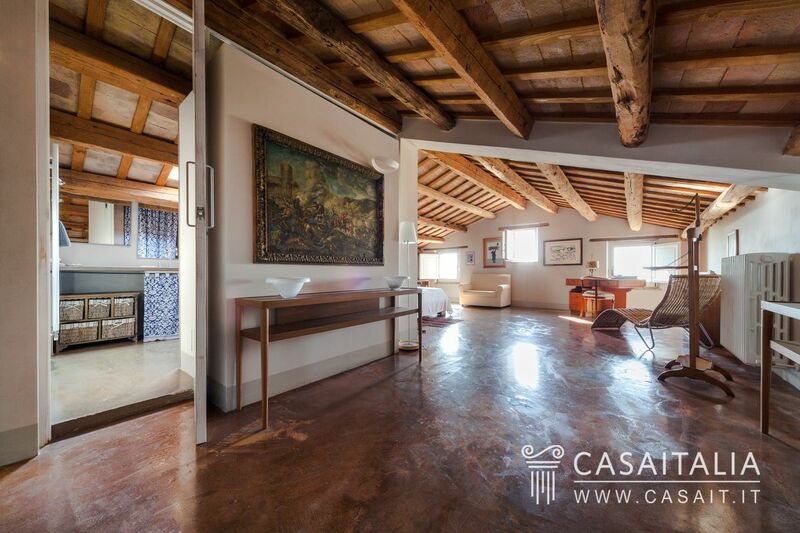 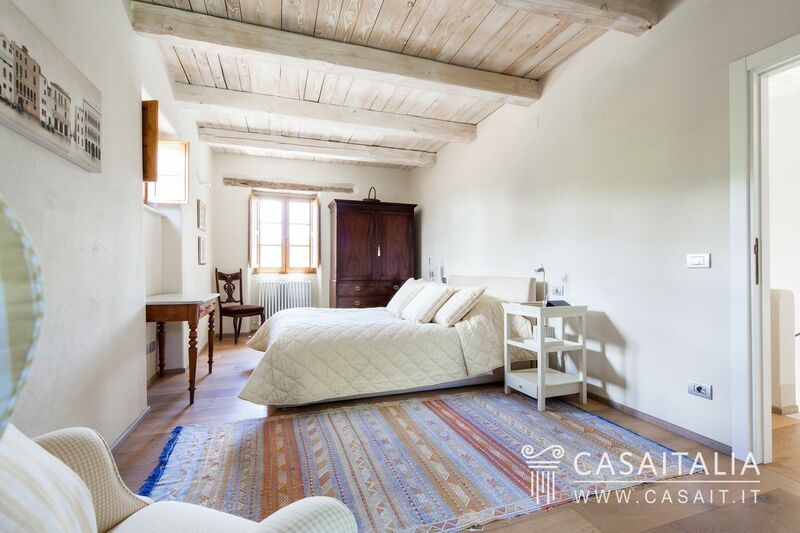 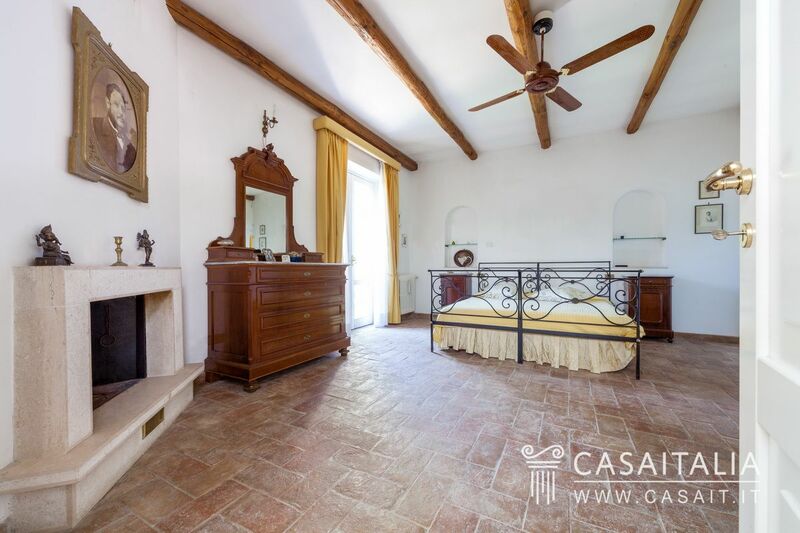 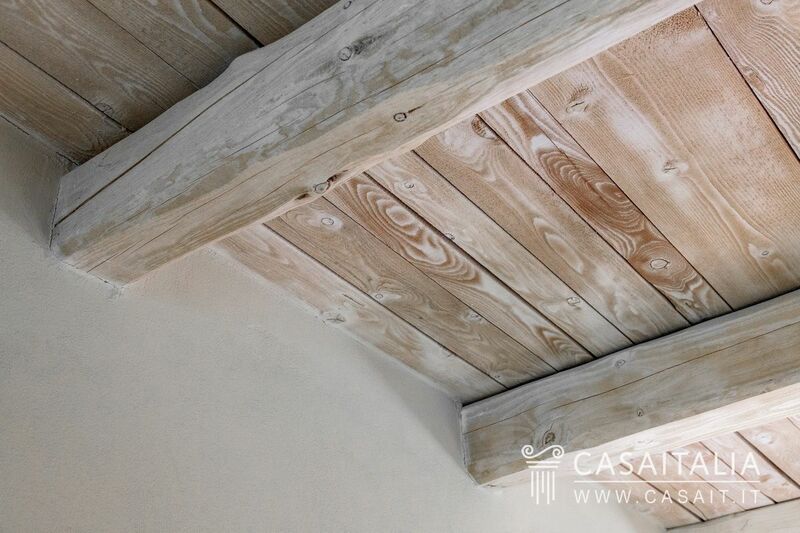 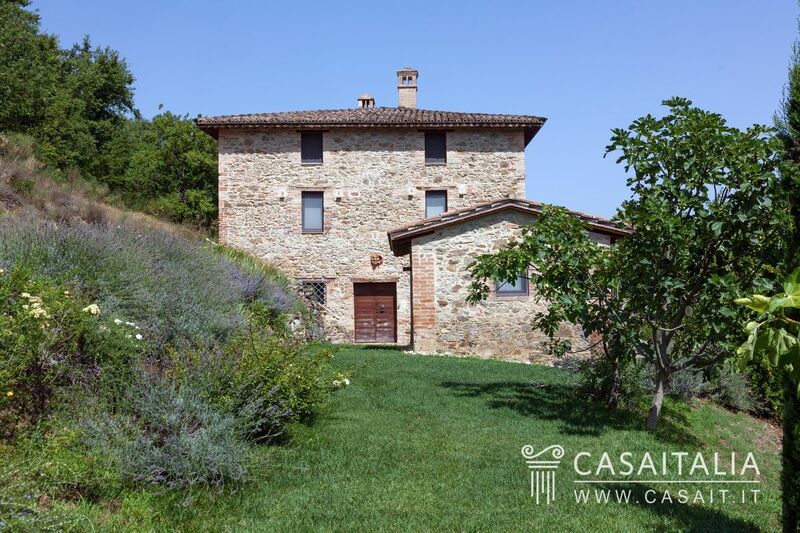 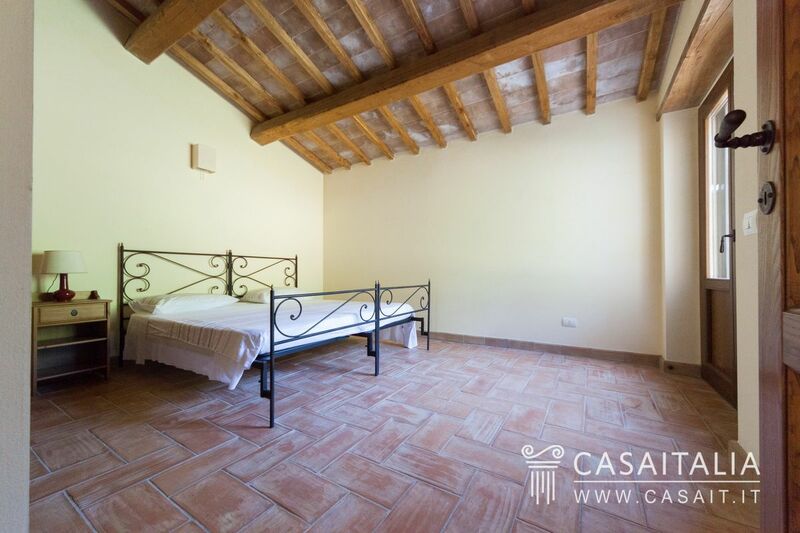 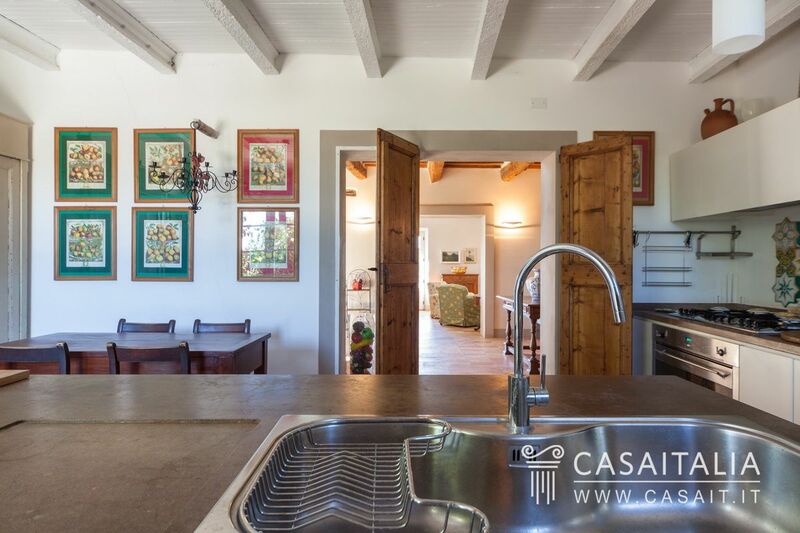 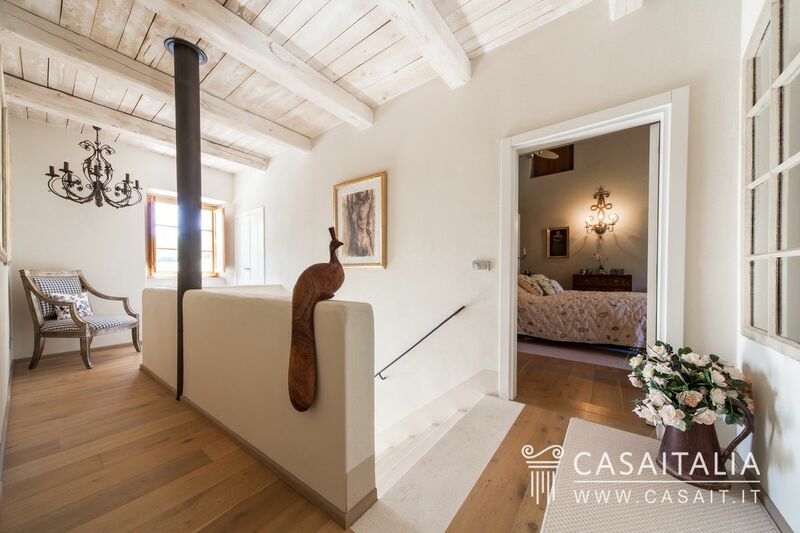 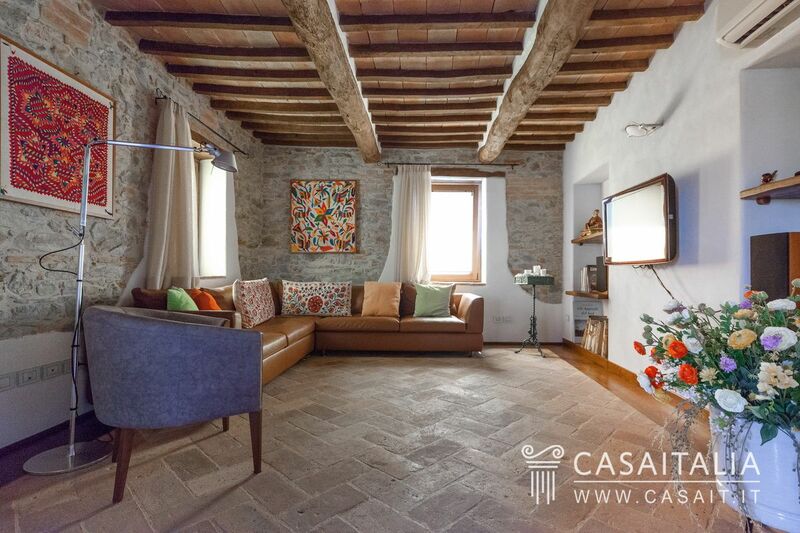 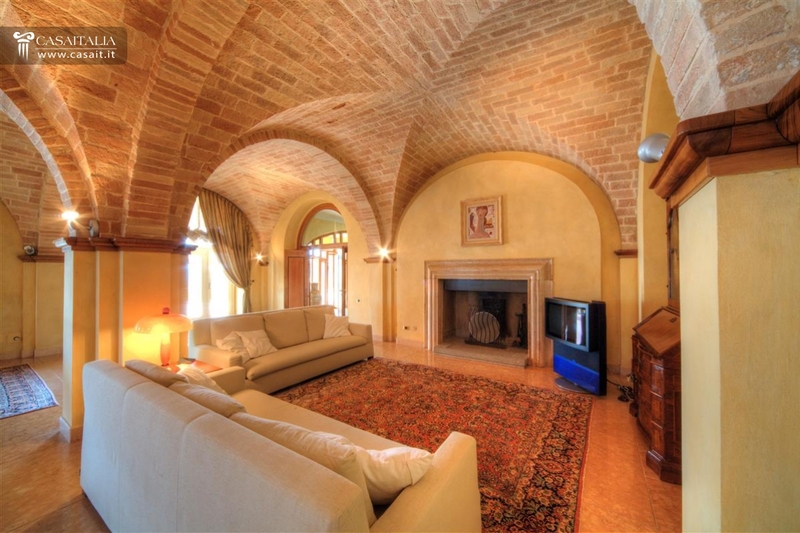 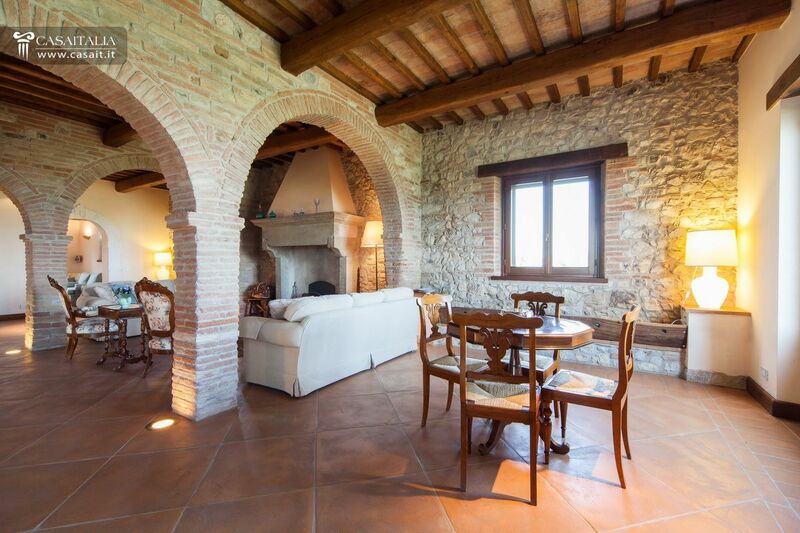 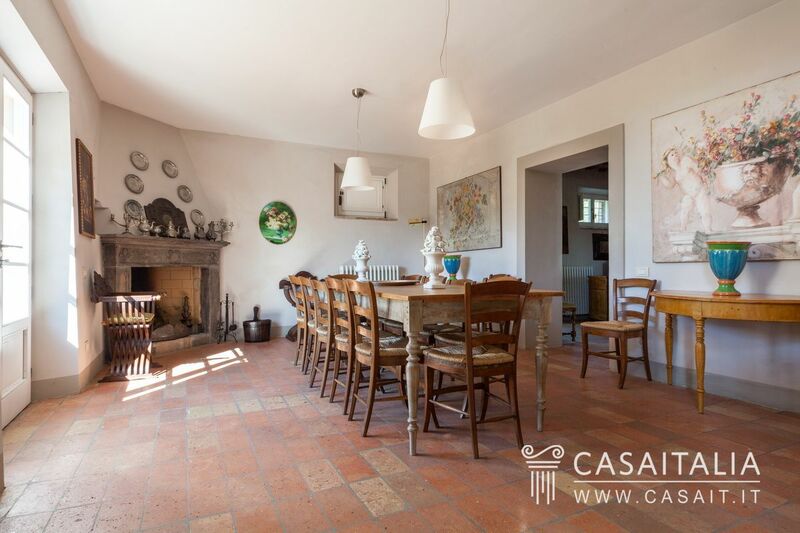 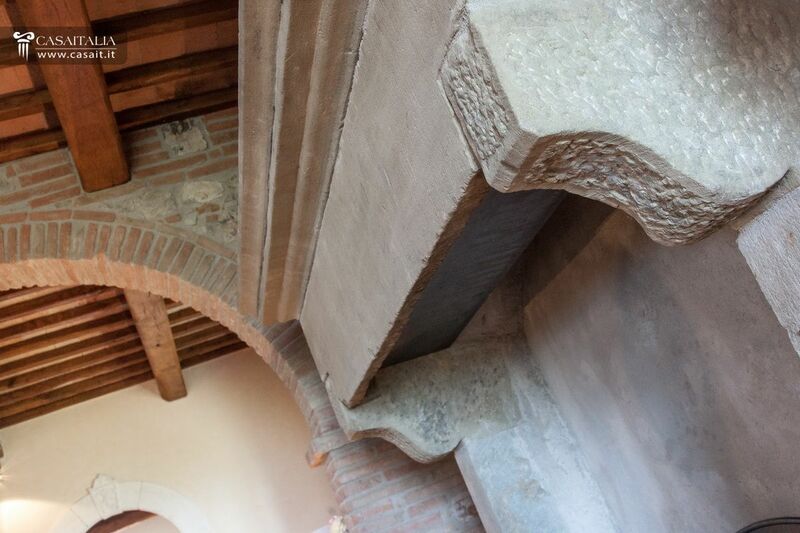 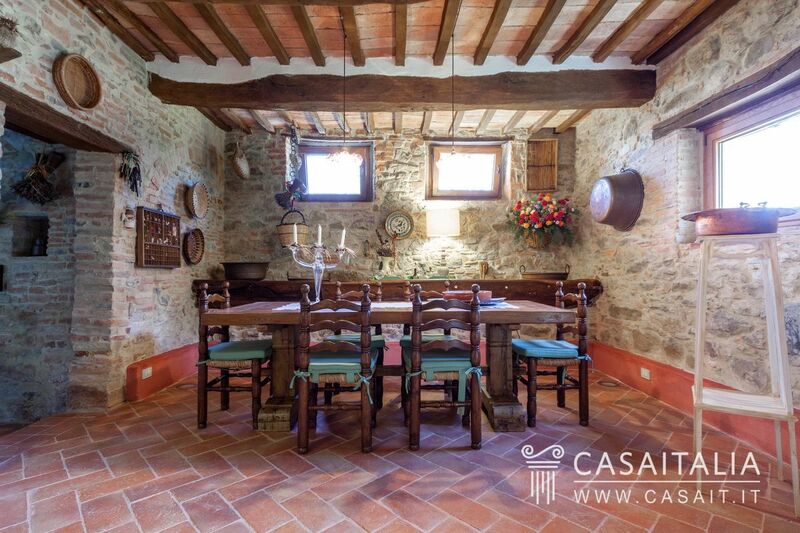 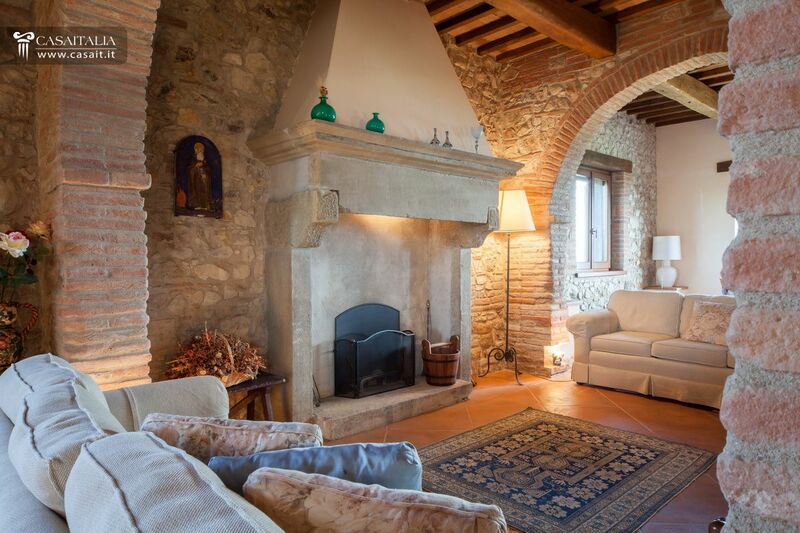 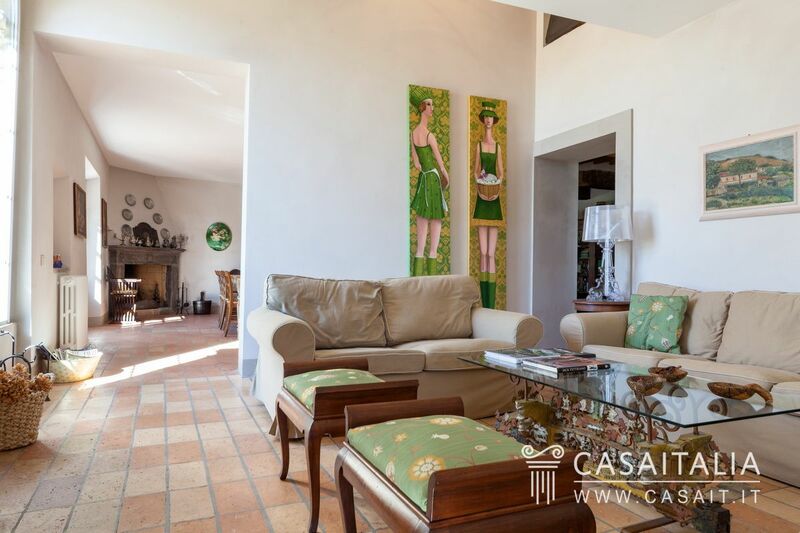 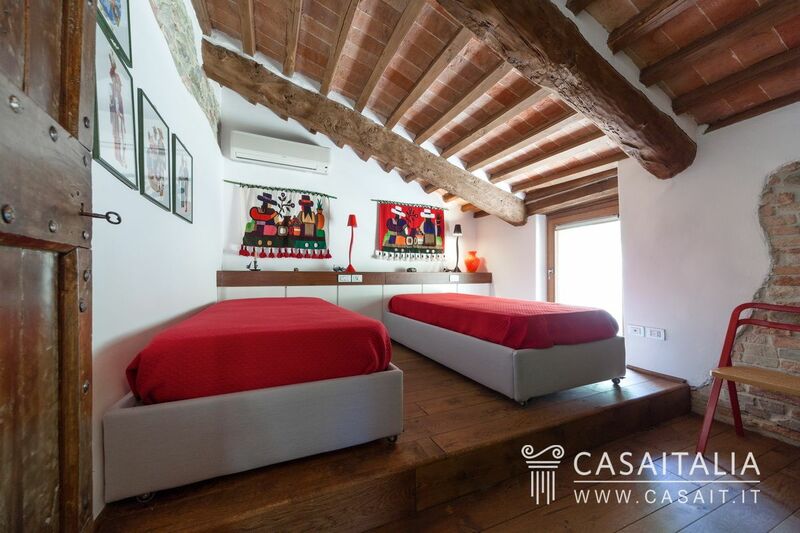 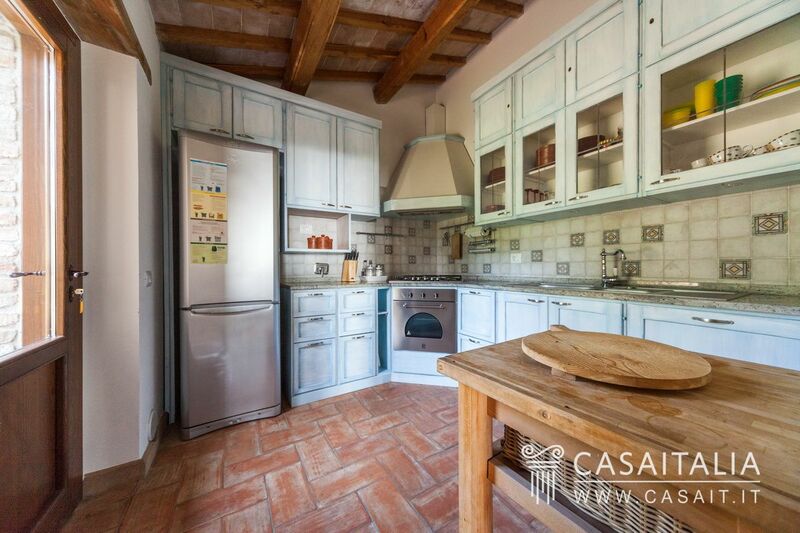 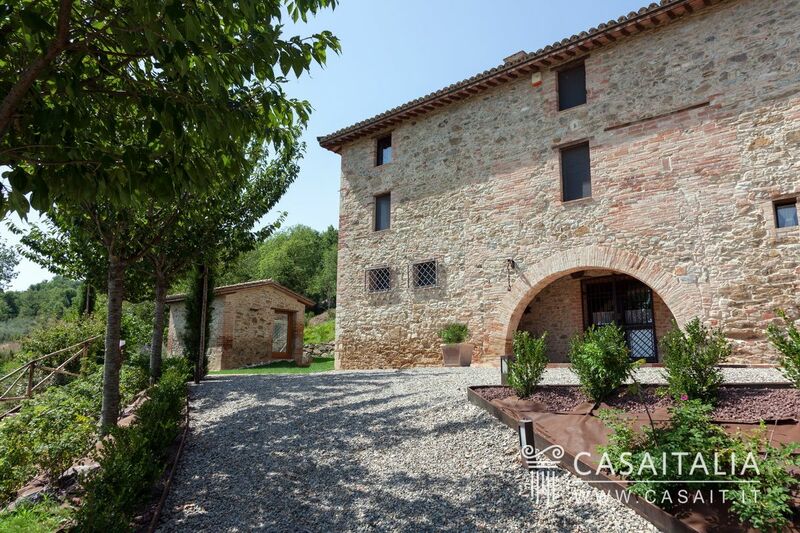 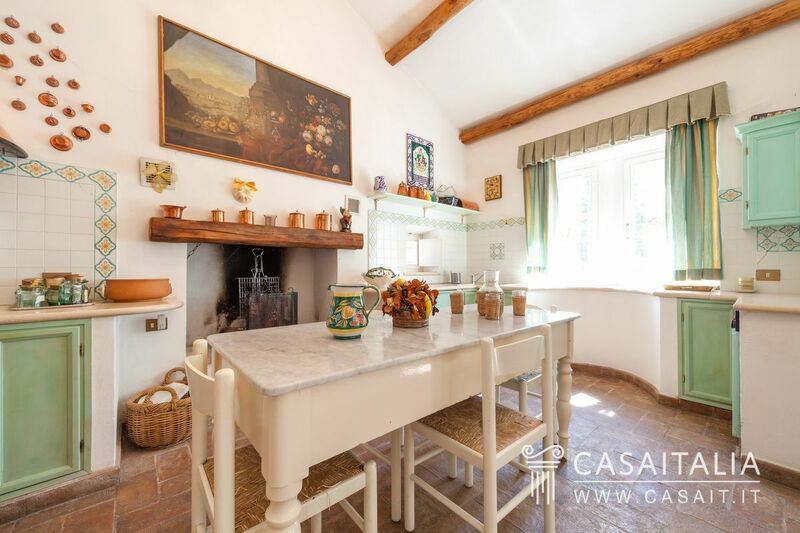 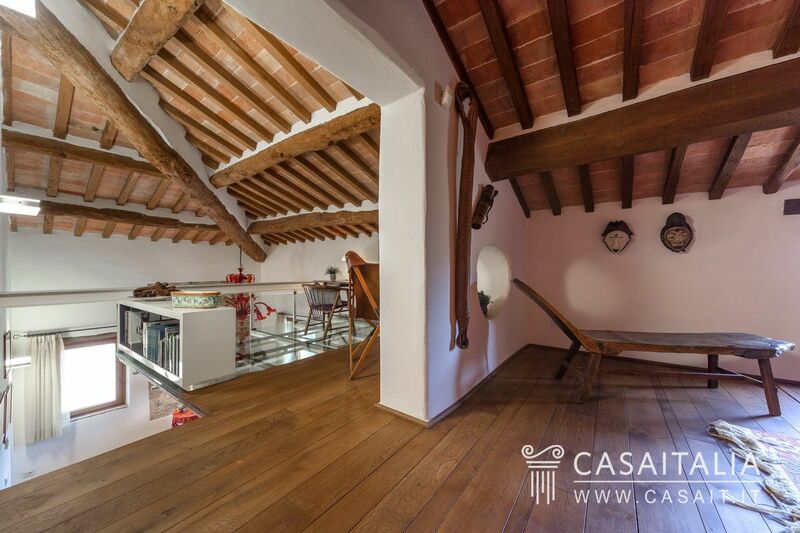 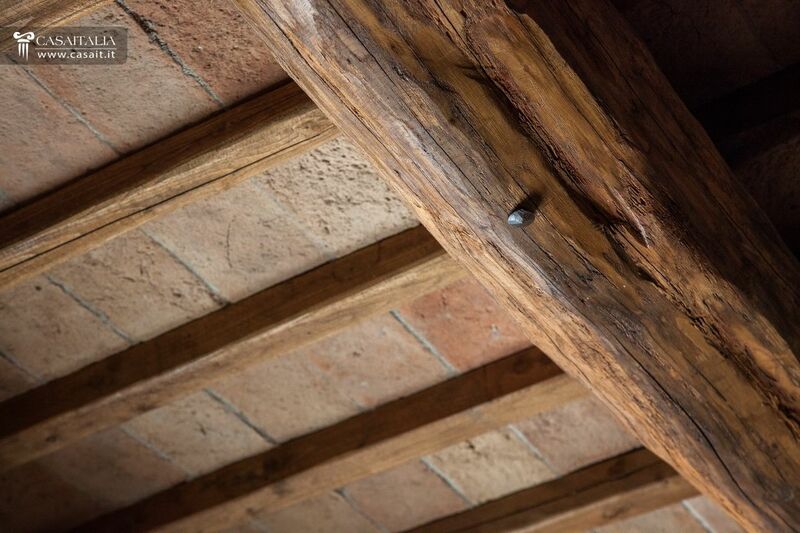 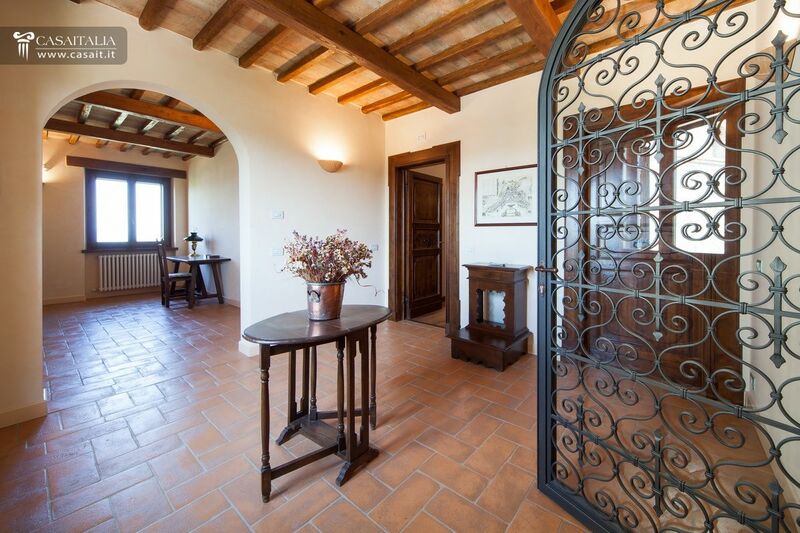 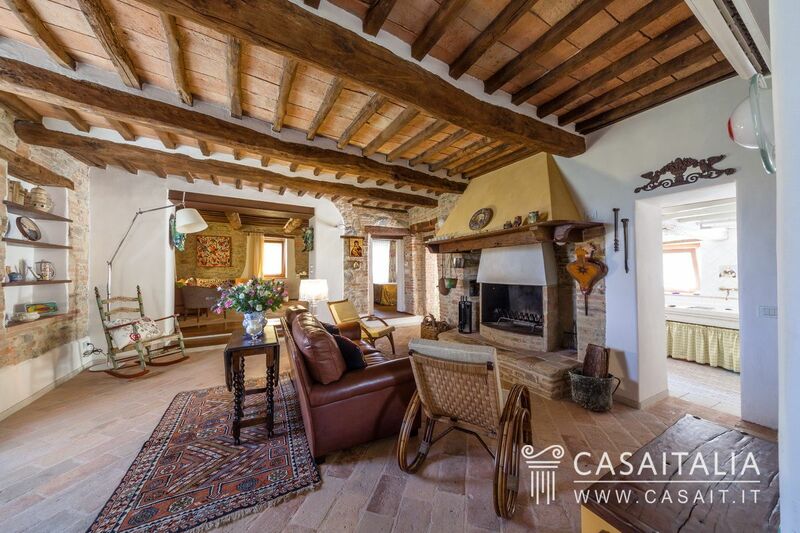 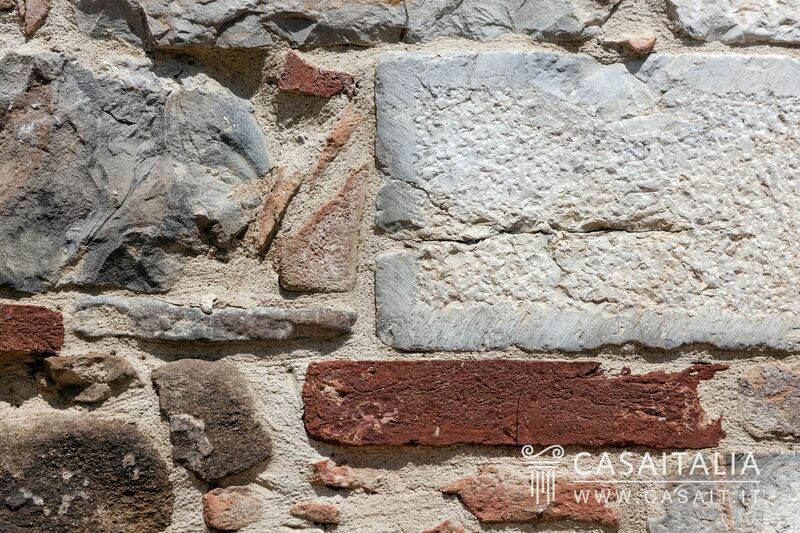 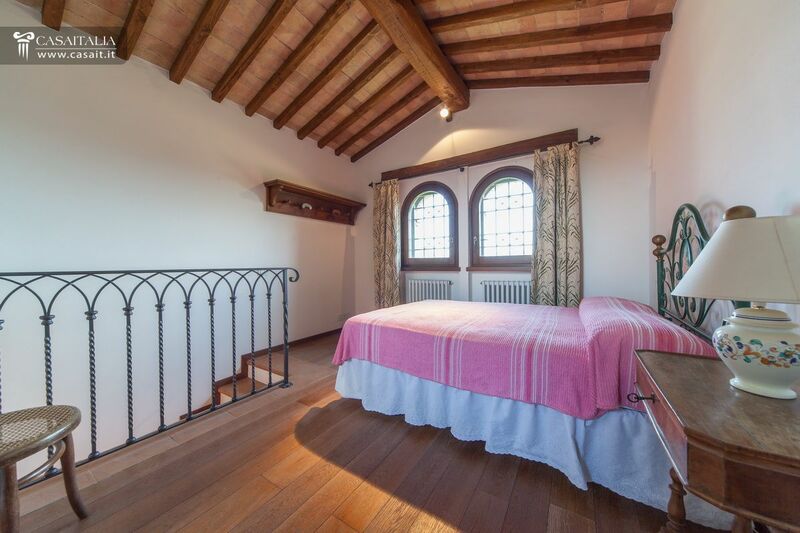 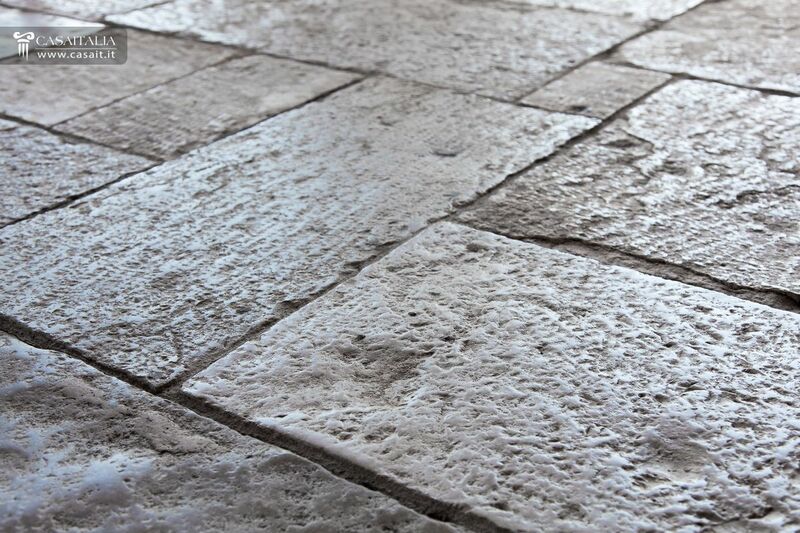 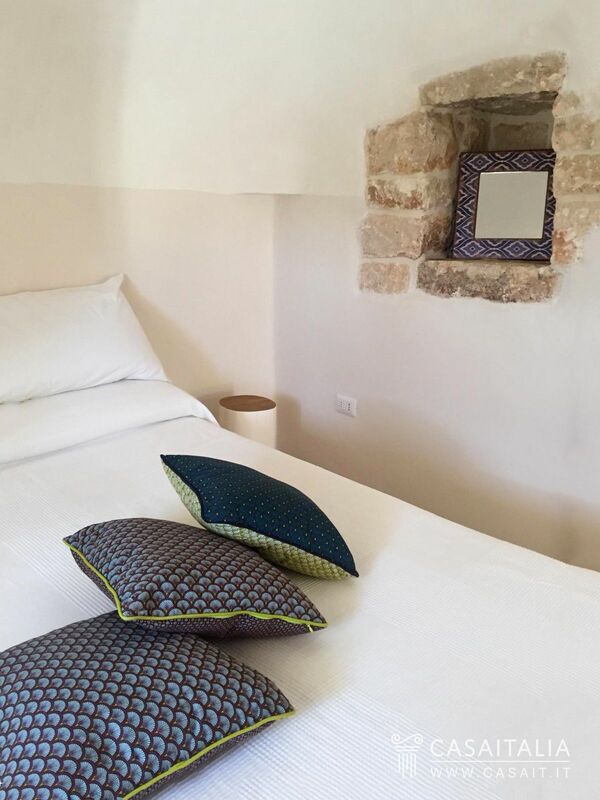 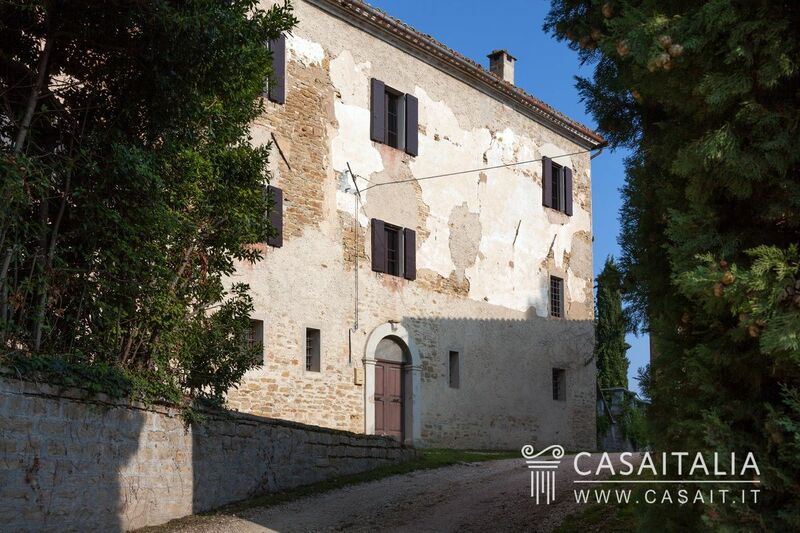 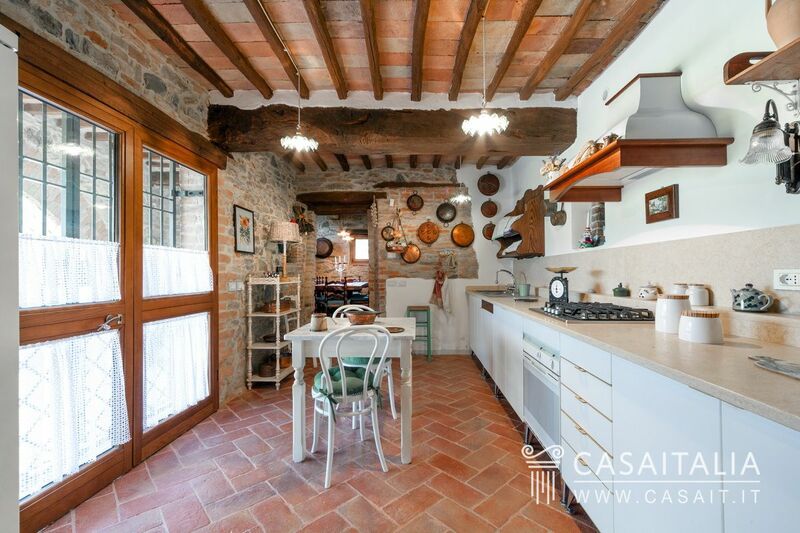 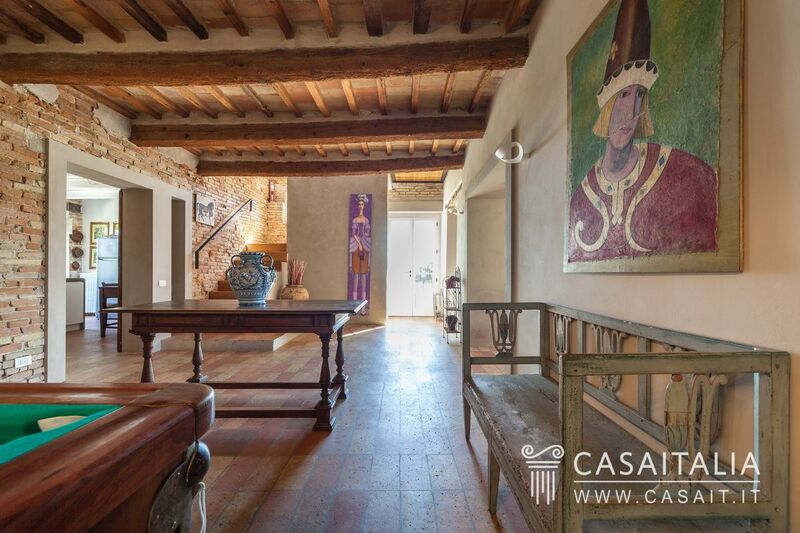 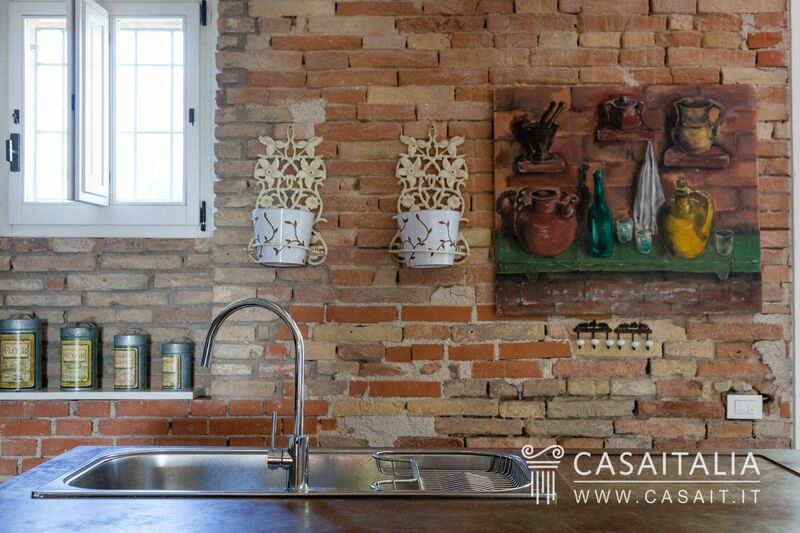 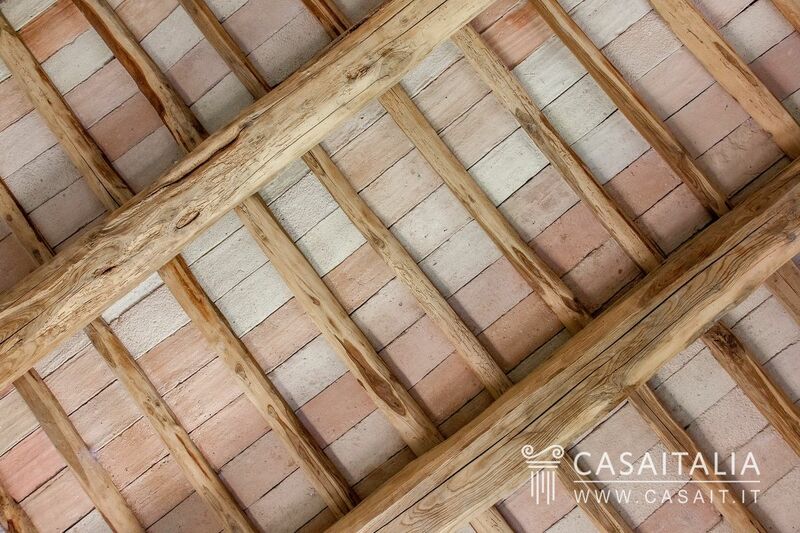 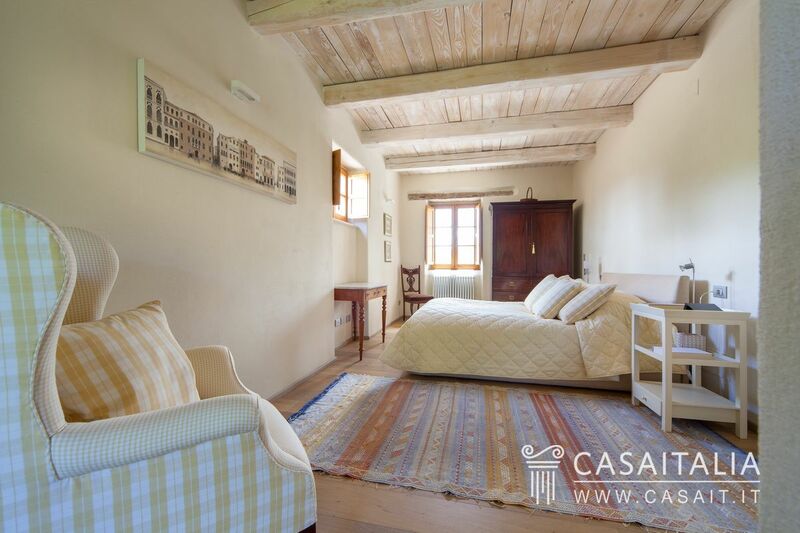 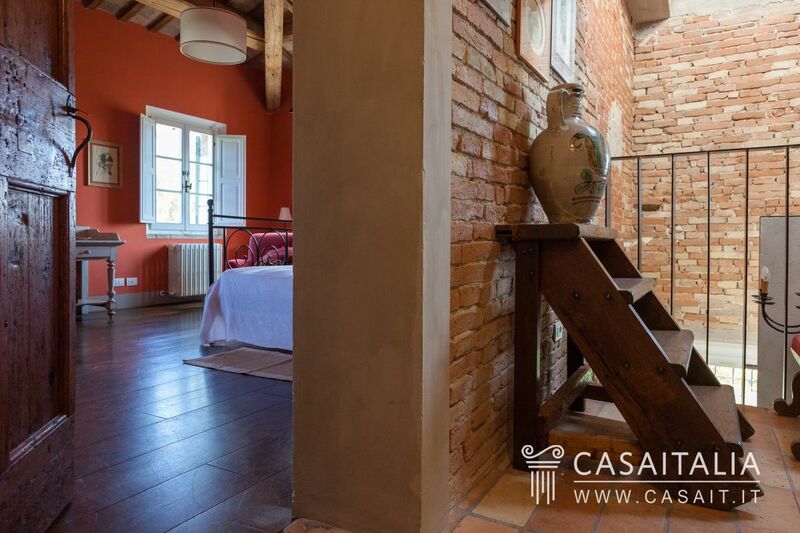 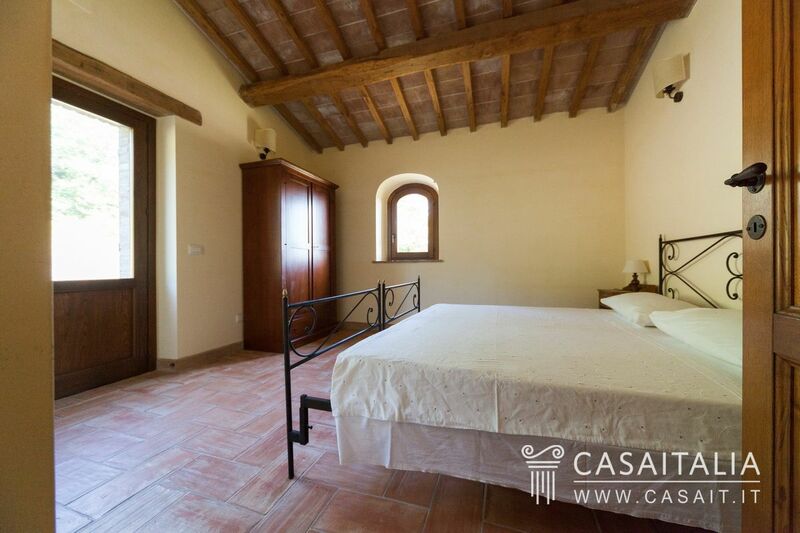 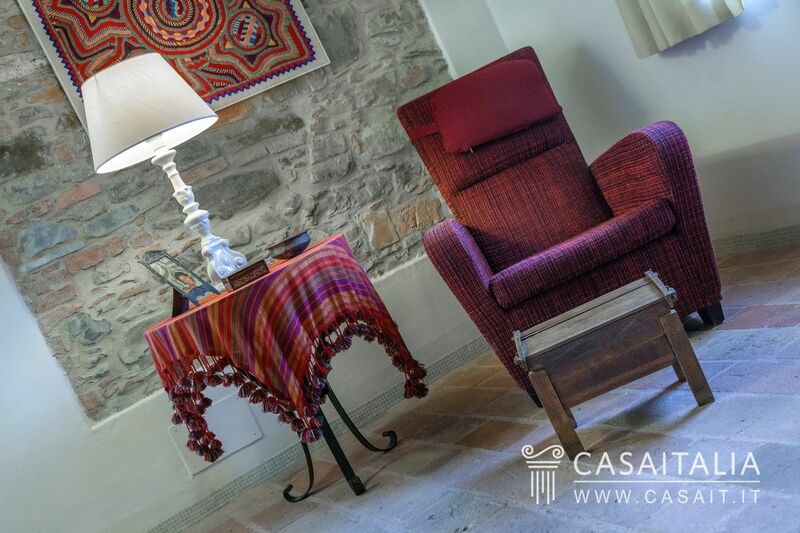 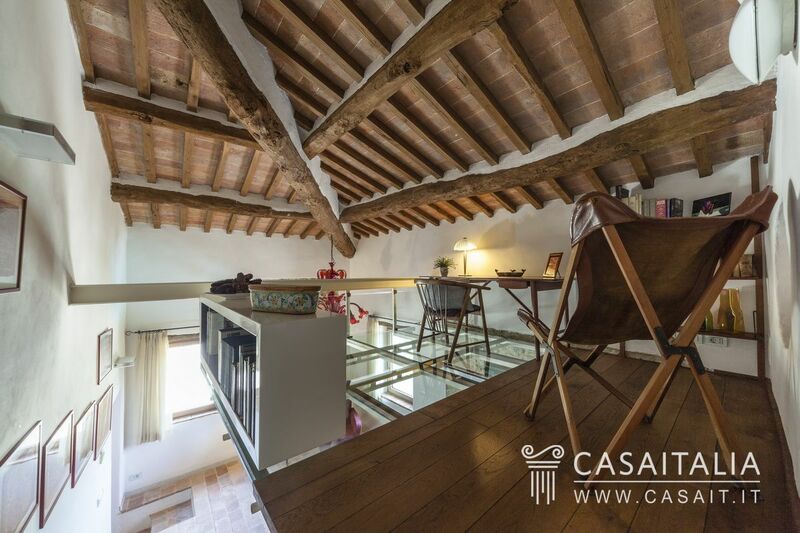 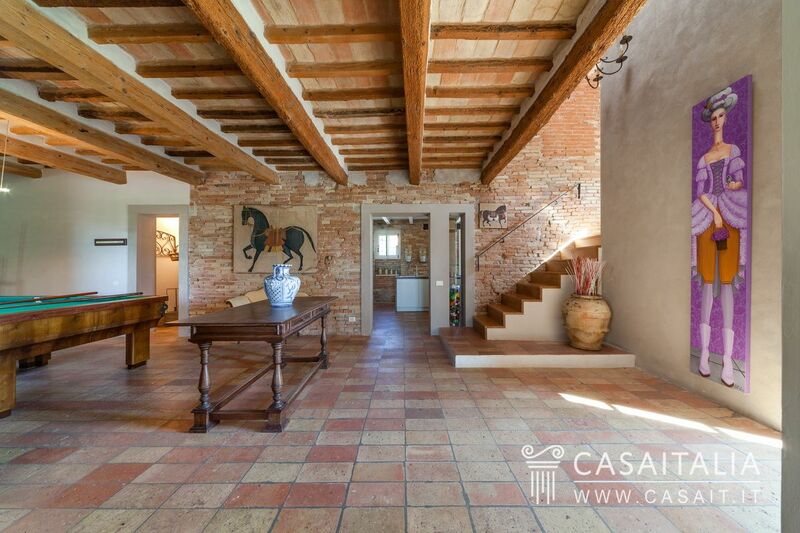 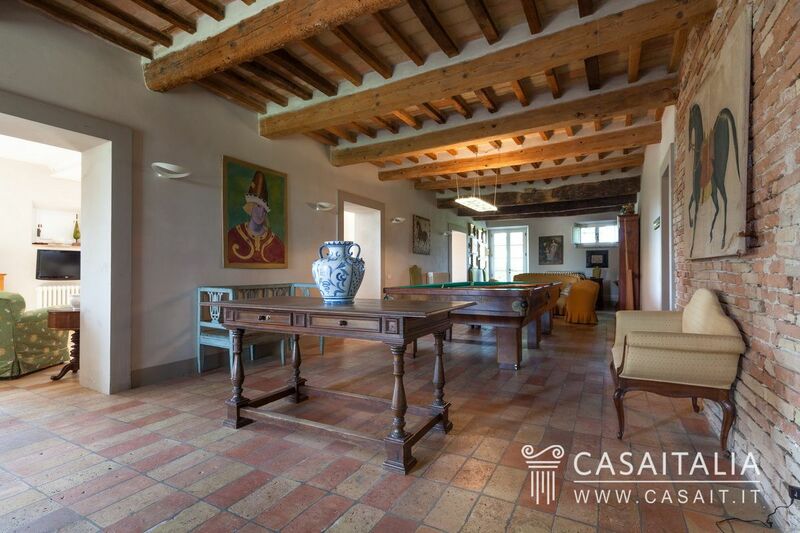 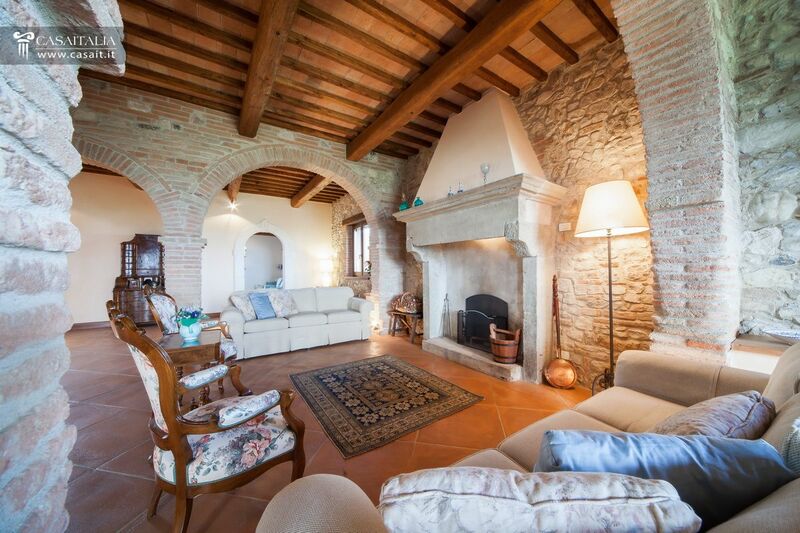 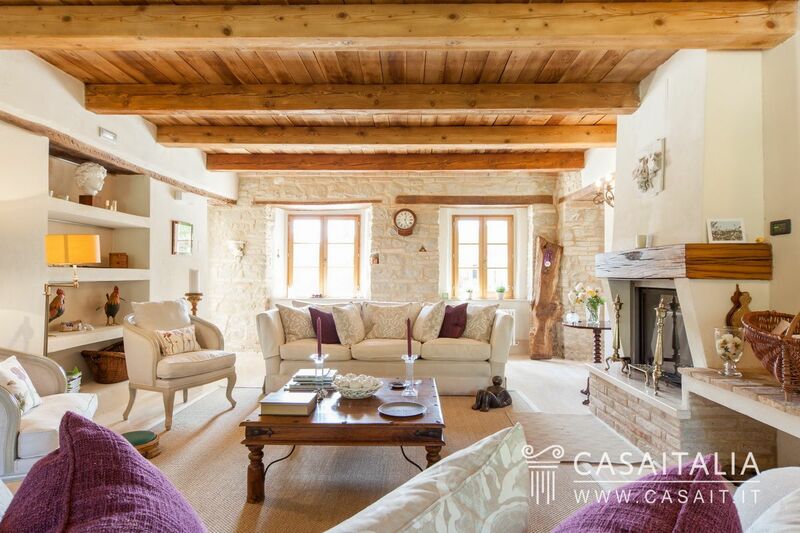 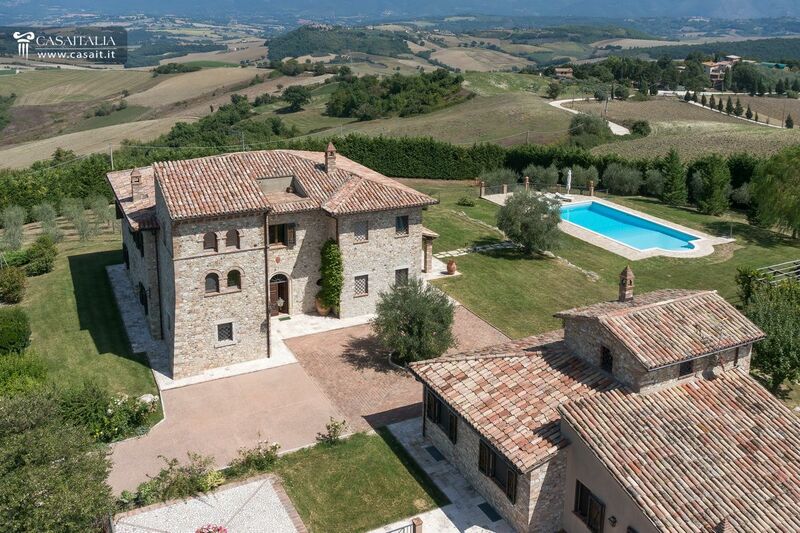 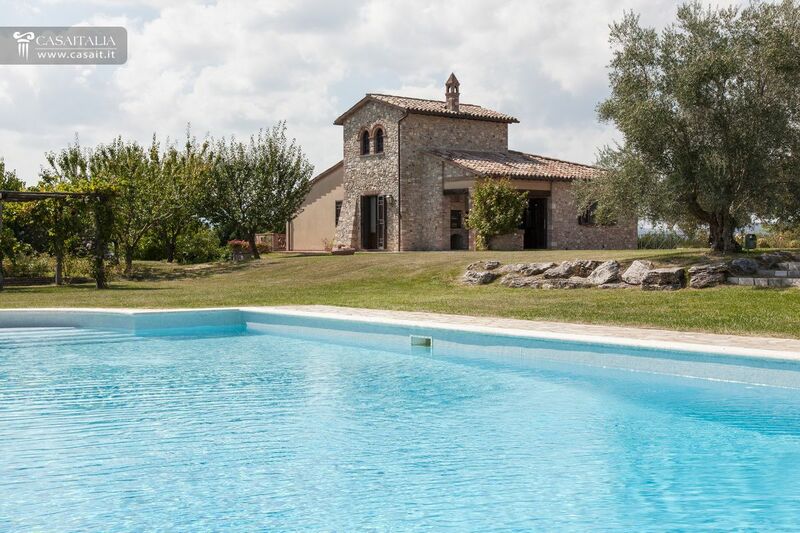 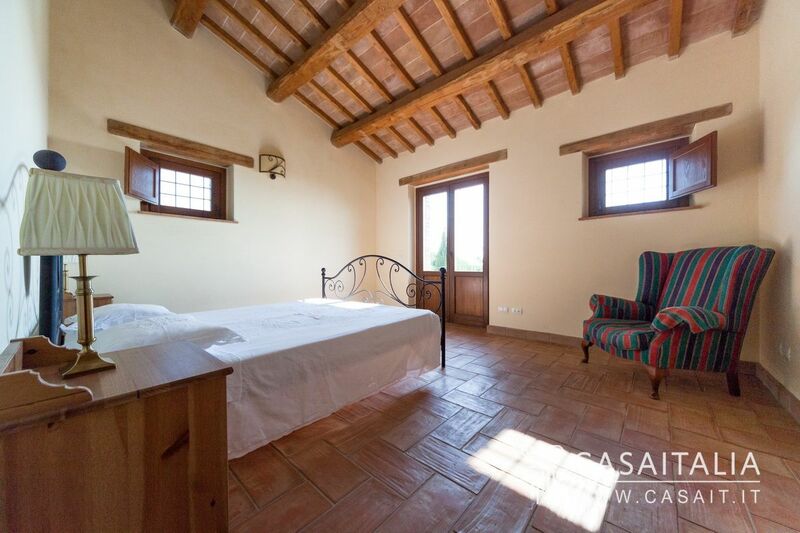 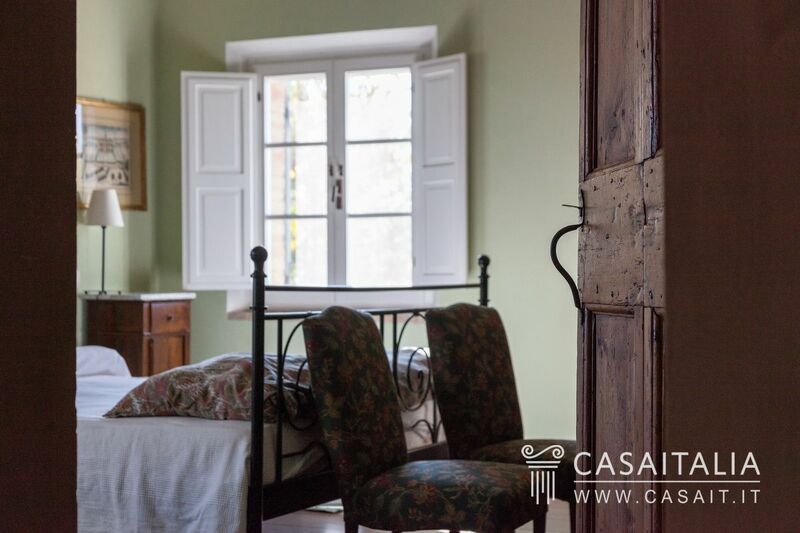 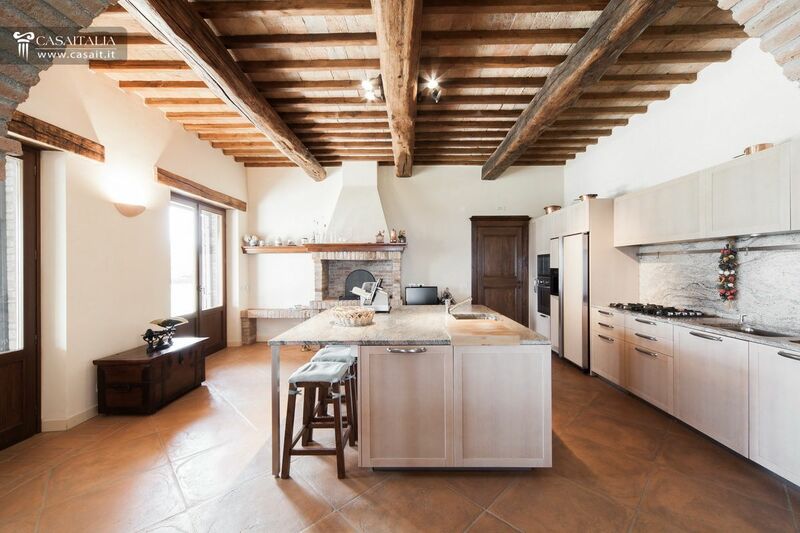 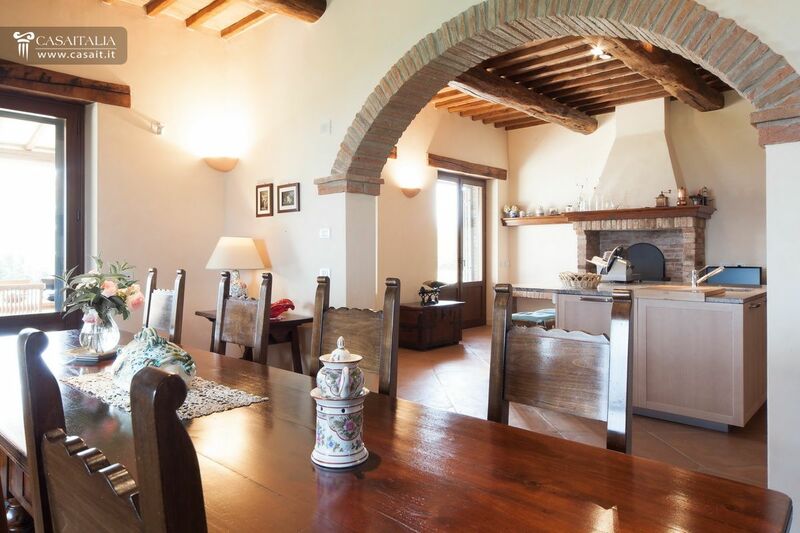 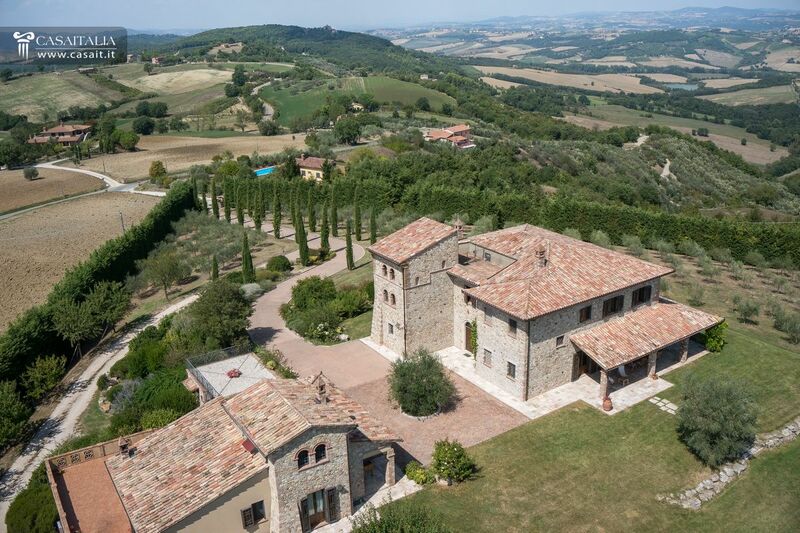 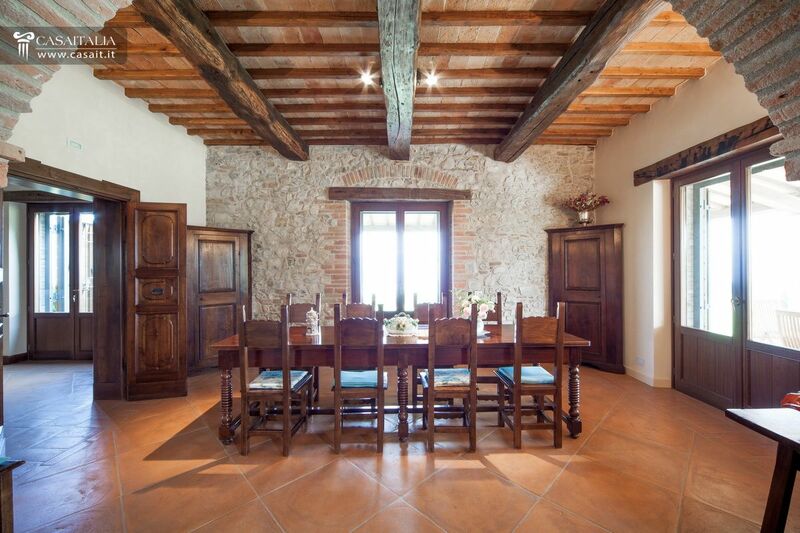 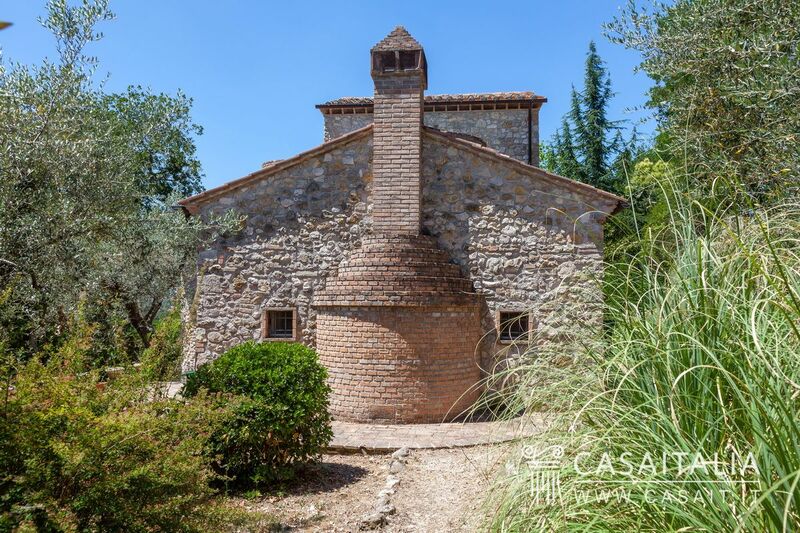 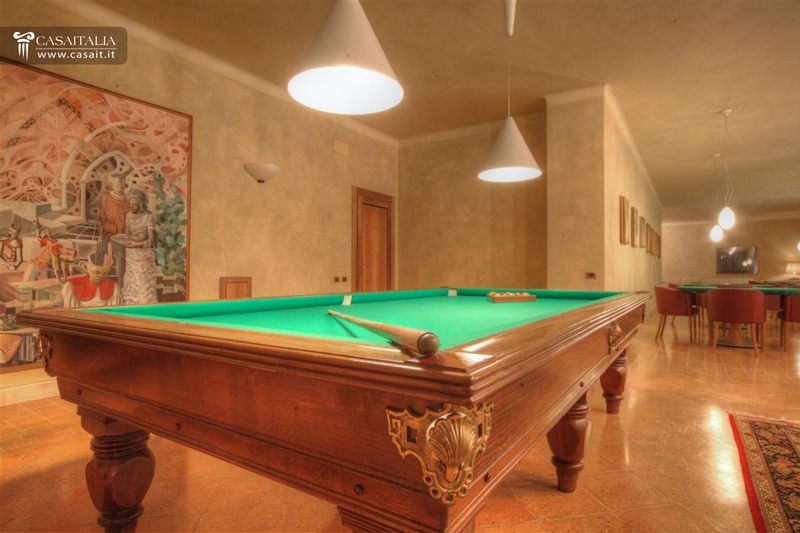 Traditional Umbrian farmhouse, restored, for sale 20 km from Perugia. 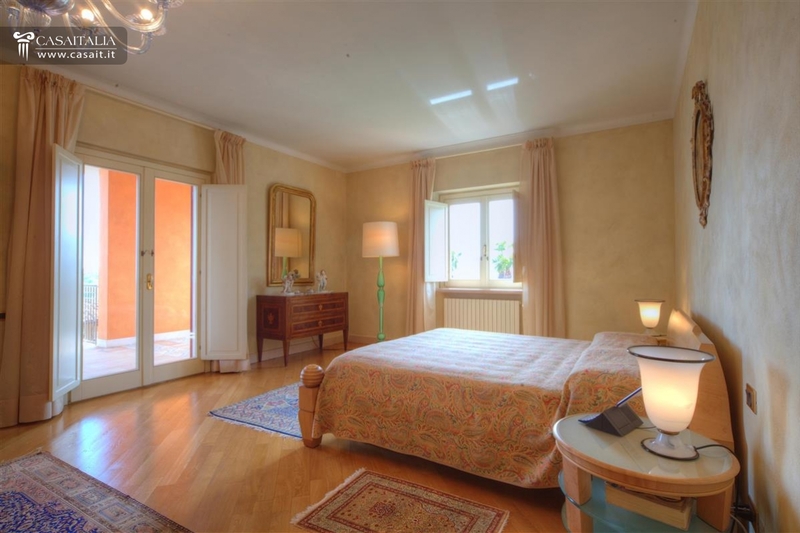 Total surface area of around 449 sq.m on three floors, with living space, 4 bedrooms and 6 bathrooms. 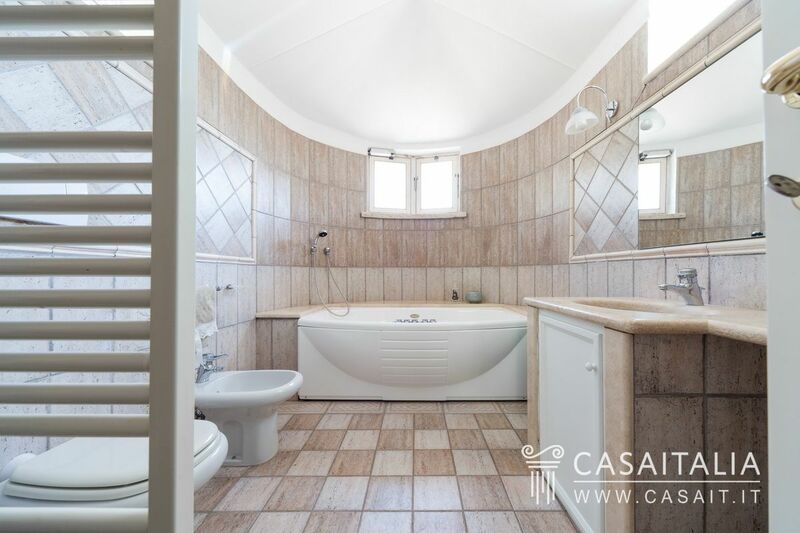 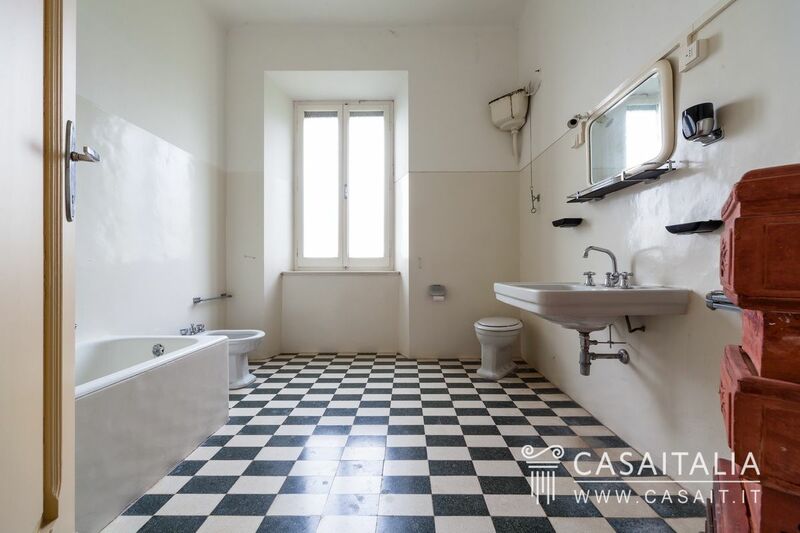 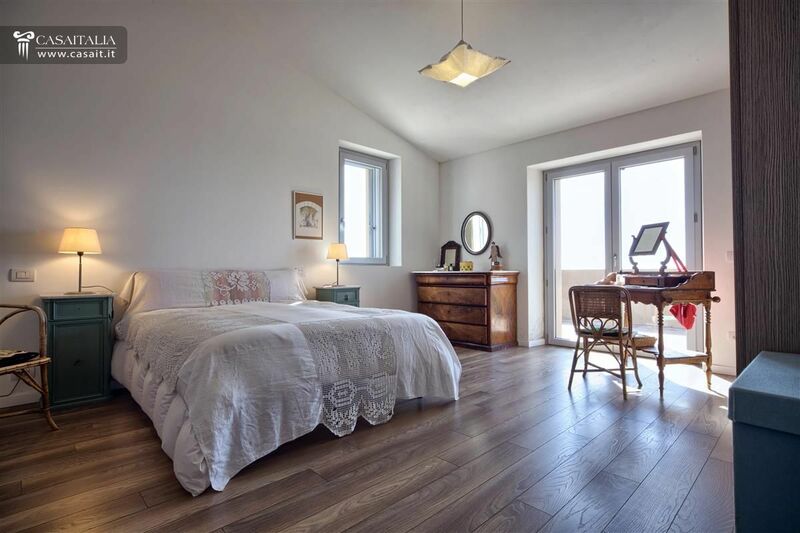 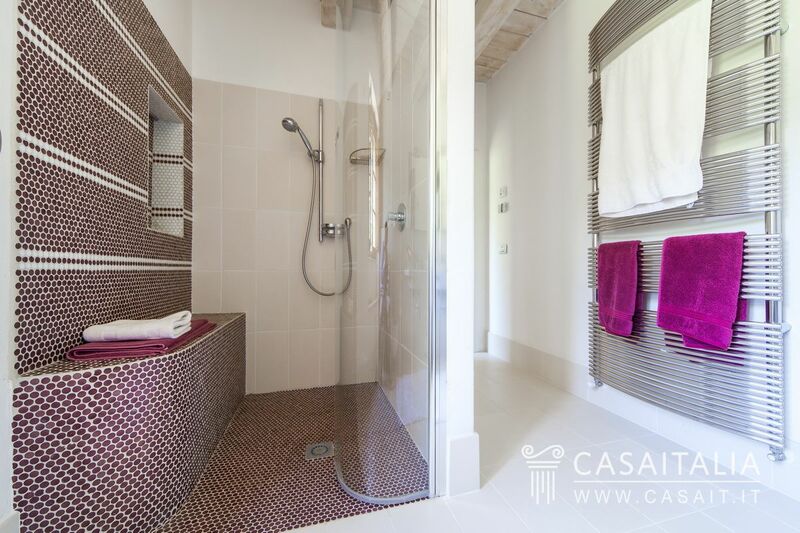 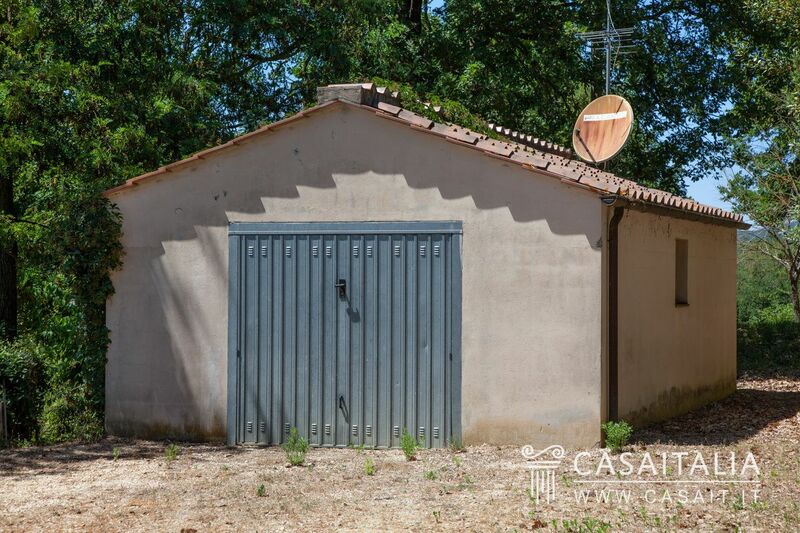 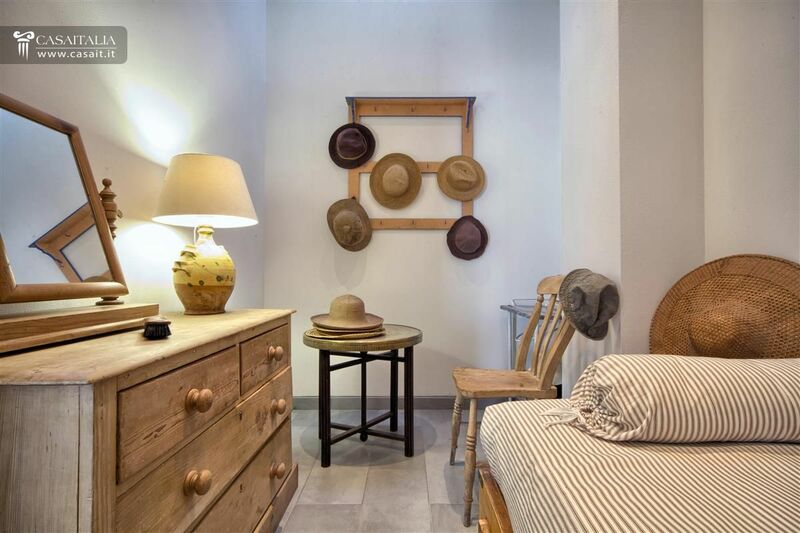 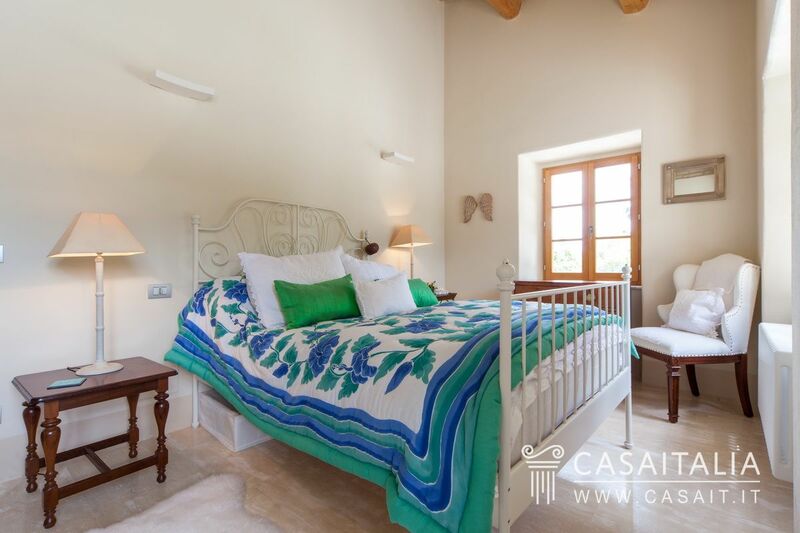 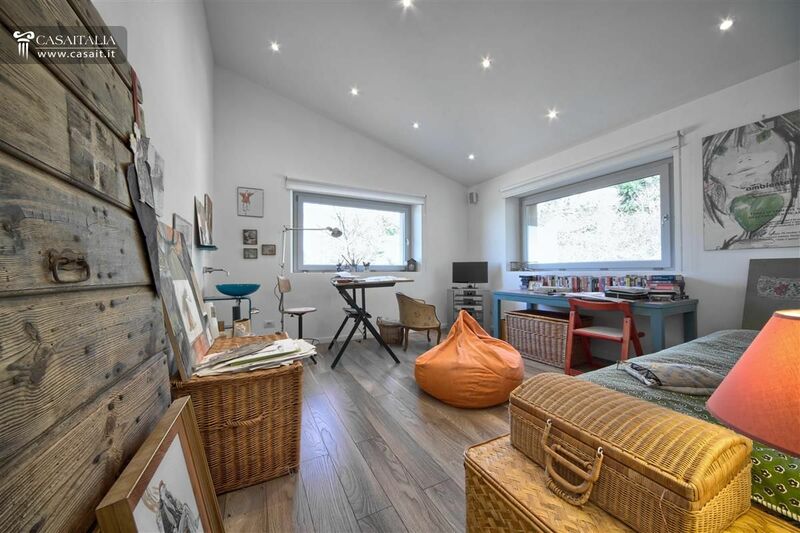 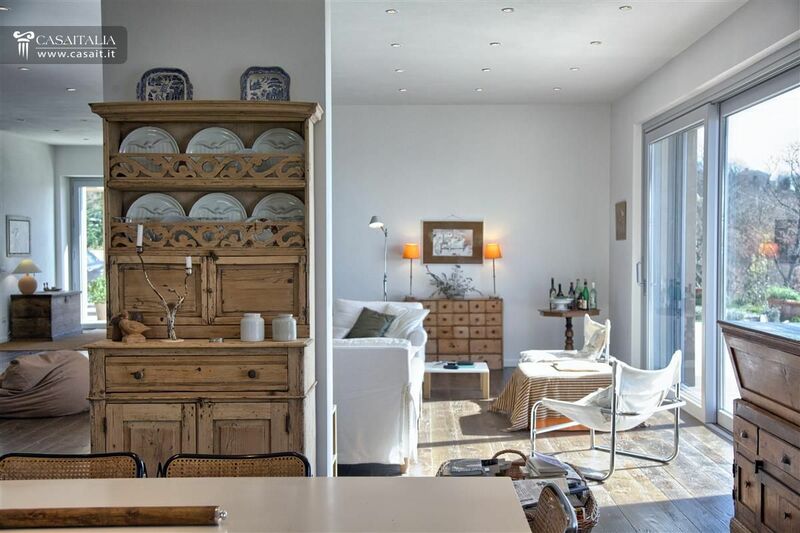 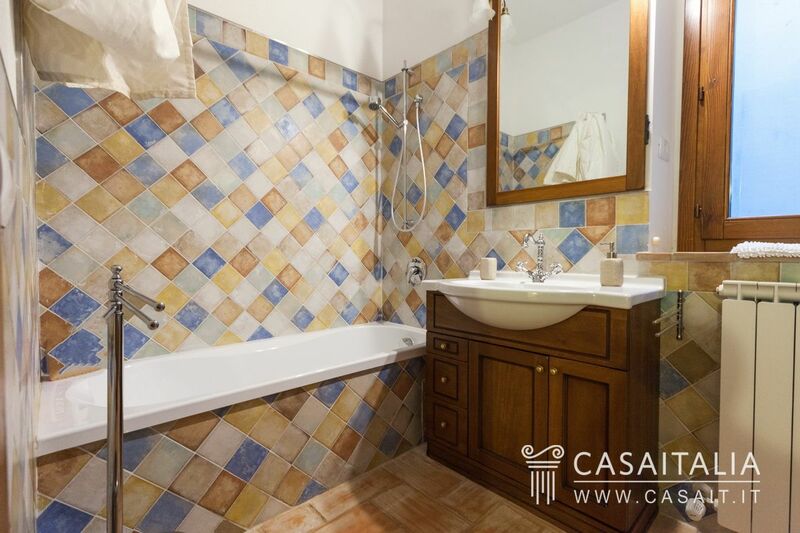 Property also includes 65 sq.m outbuilding split into two apartments, each with kitchen/living room and bathroom, a storeroom, and 1.2 hectares of land with pool. 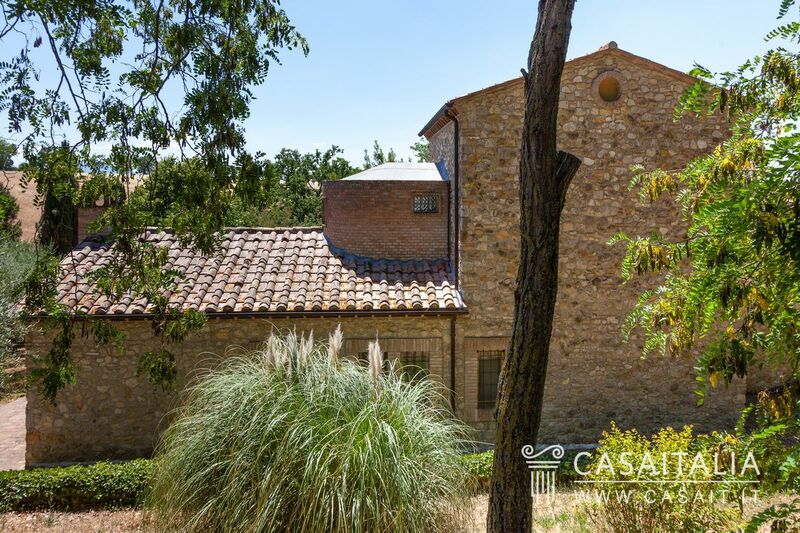 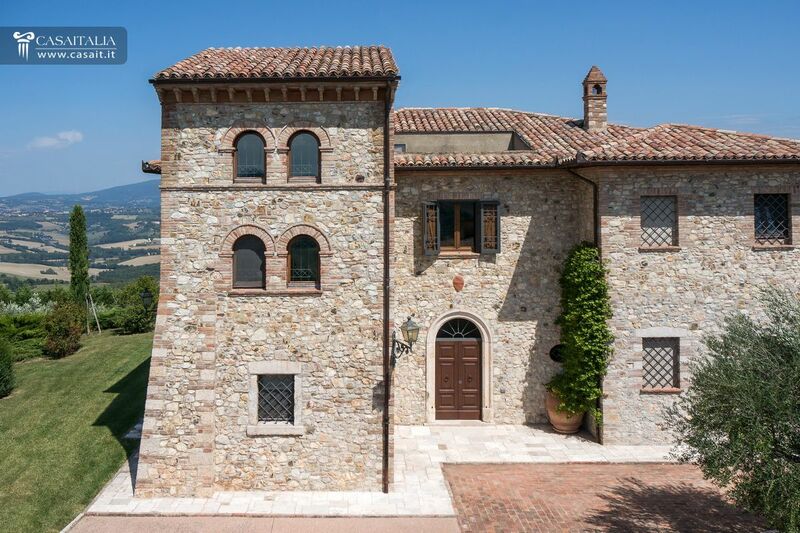 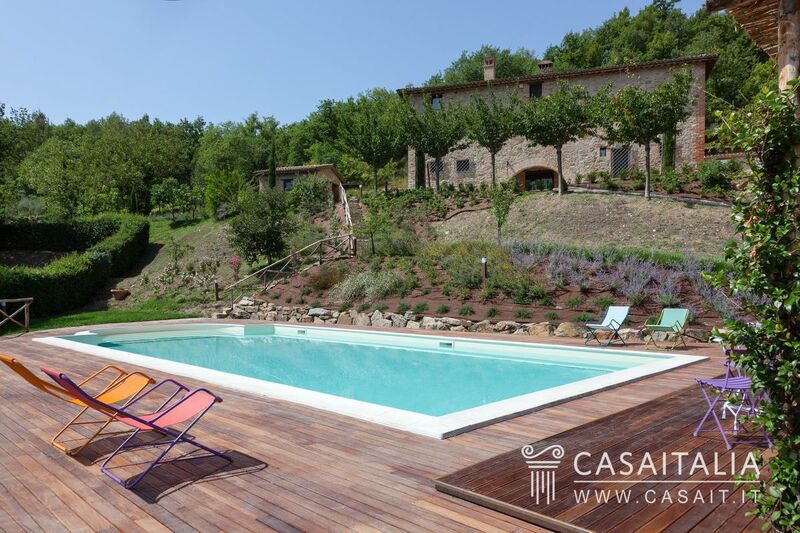 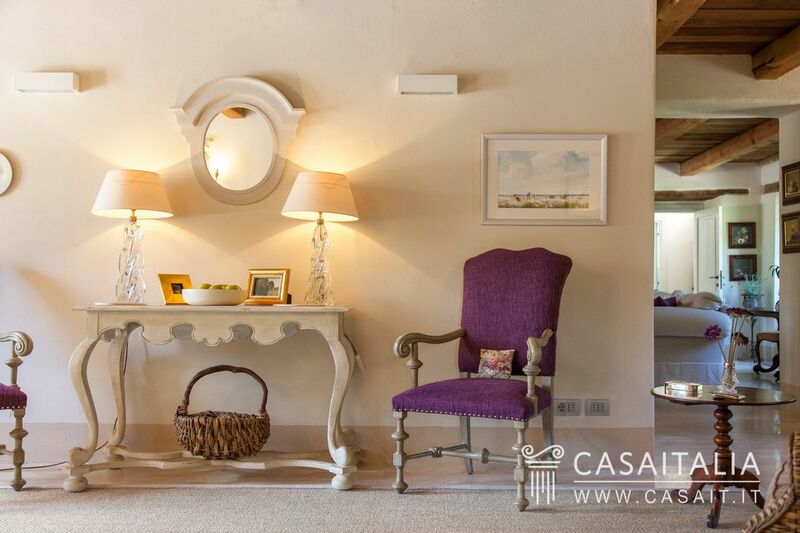 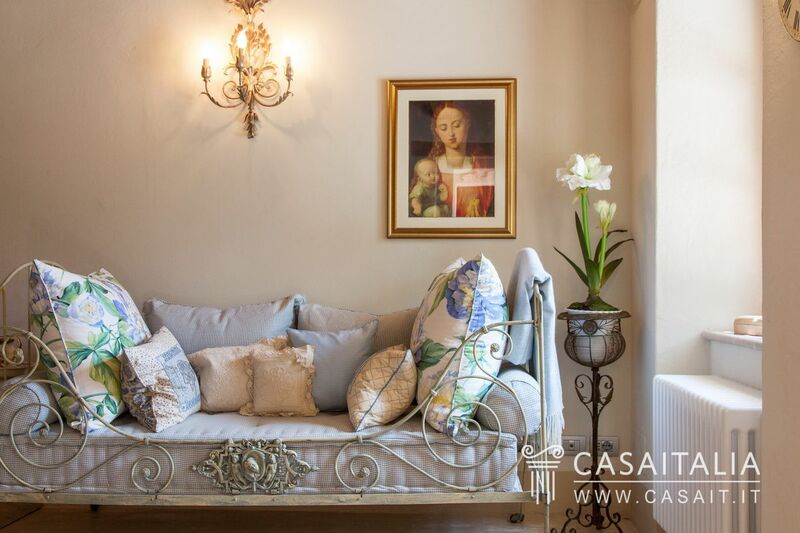 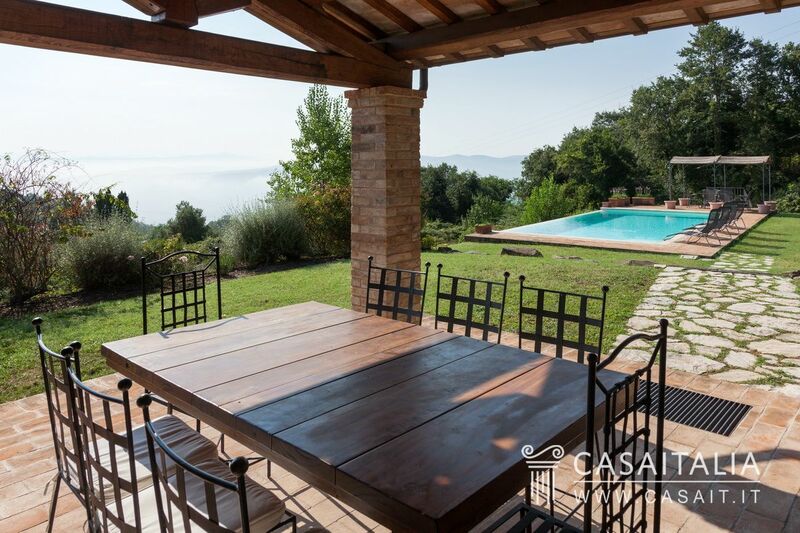 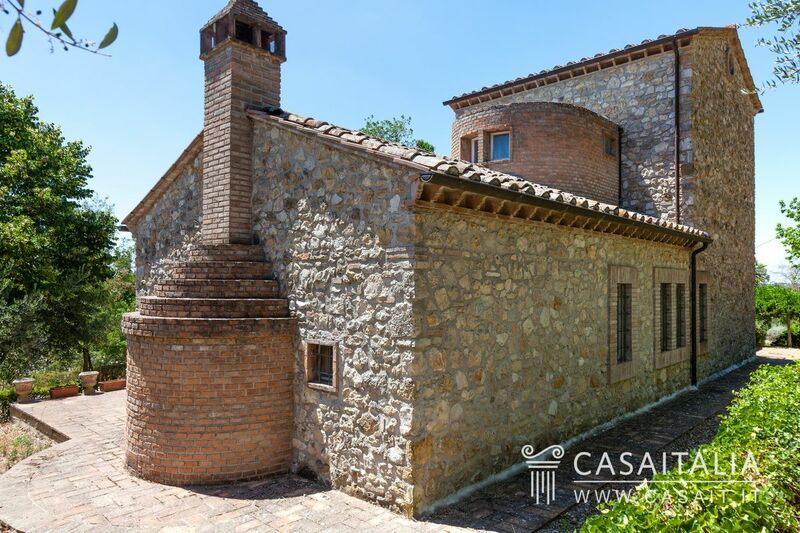 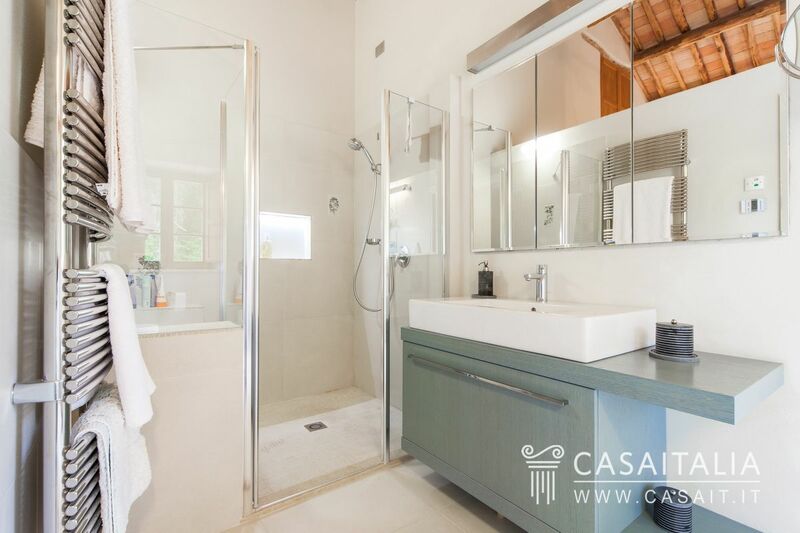 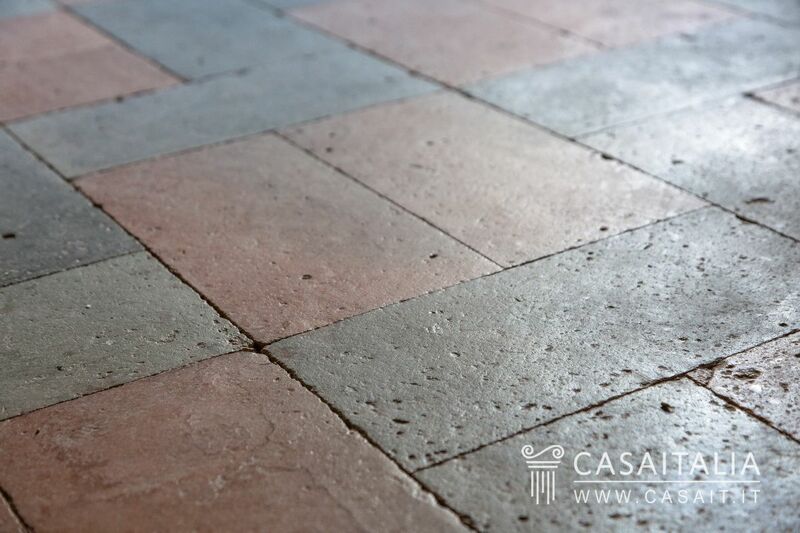 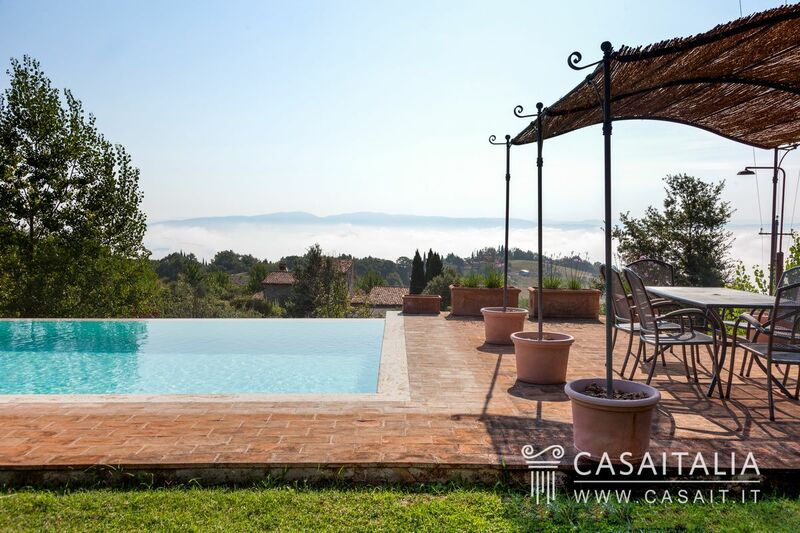 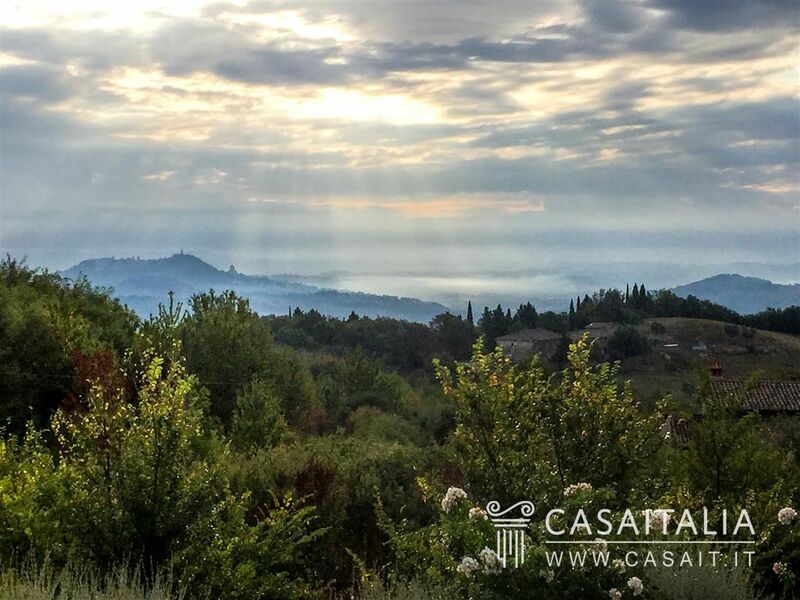 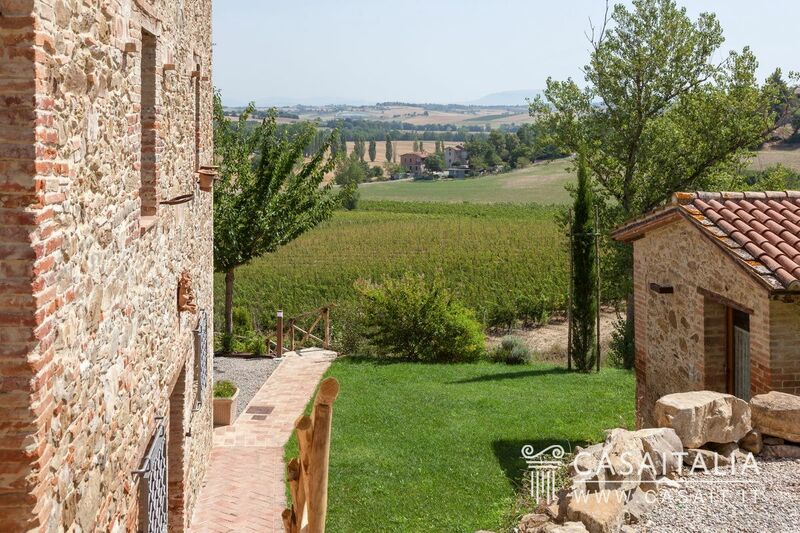 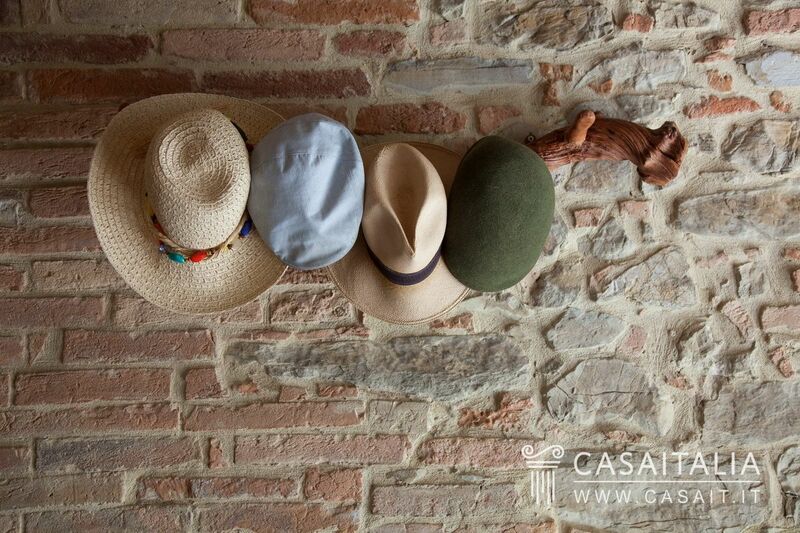 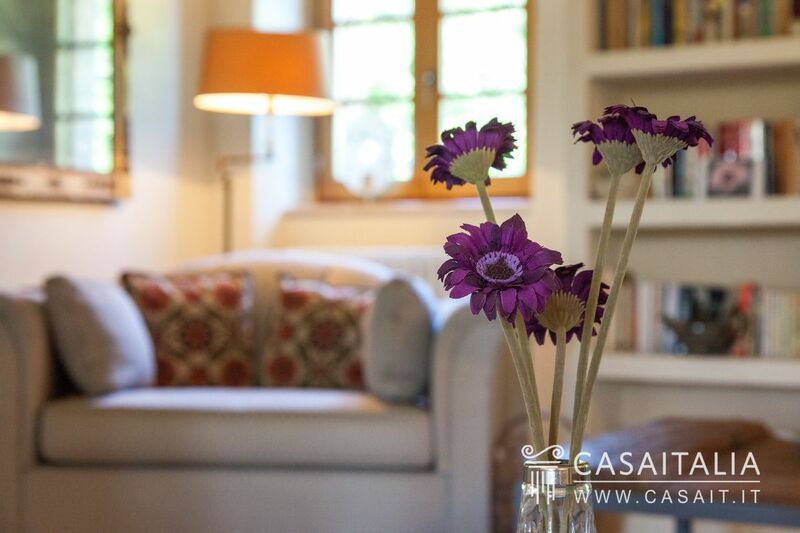 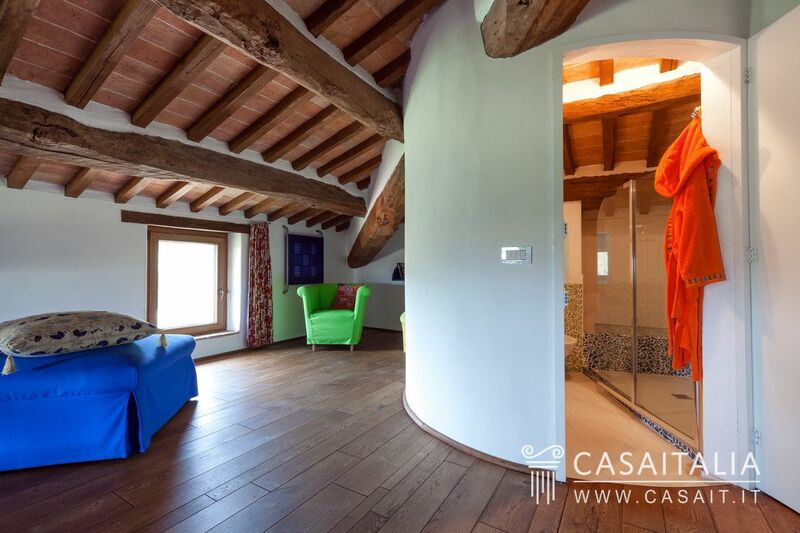 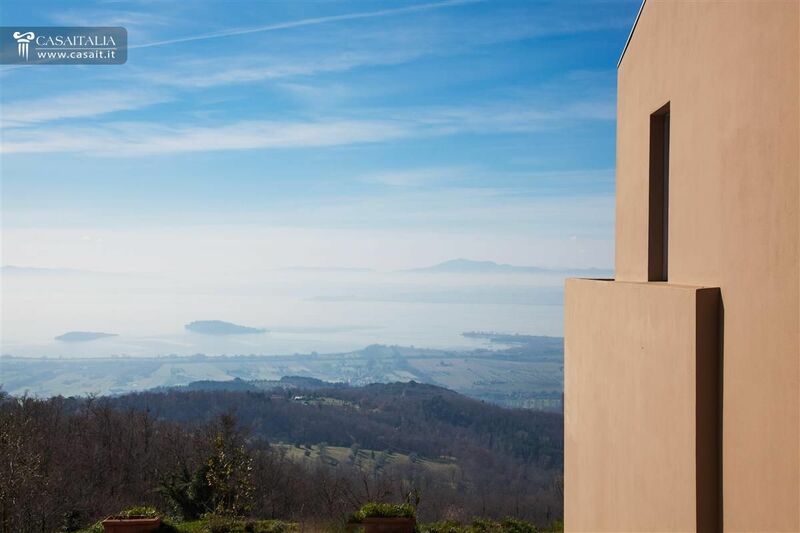 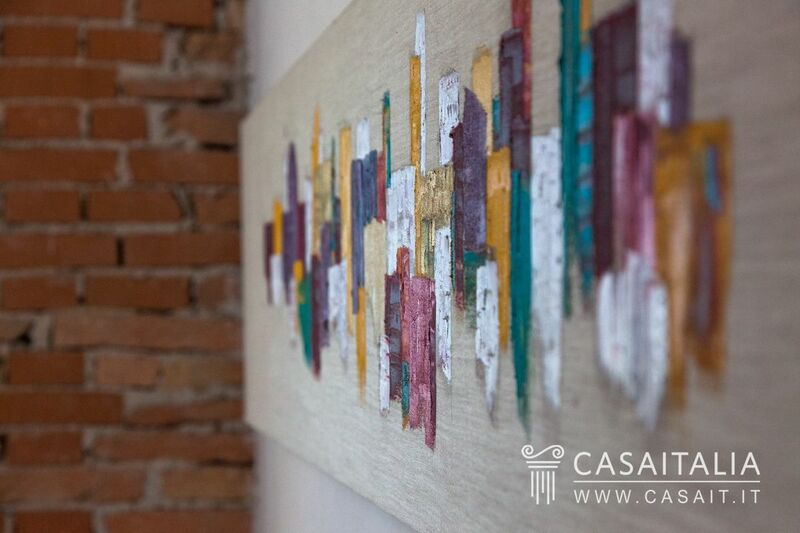 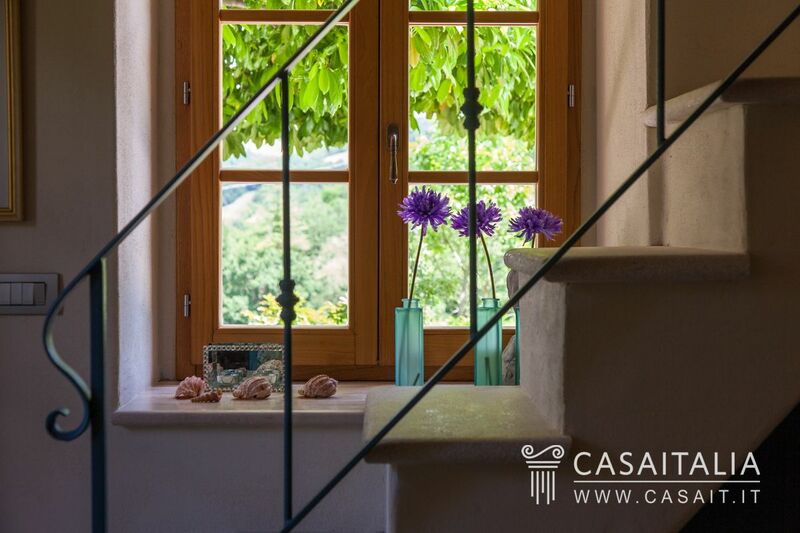 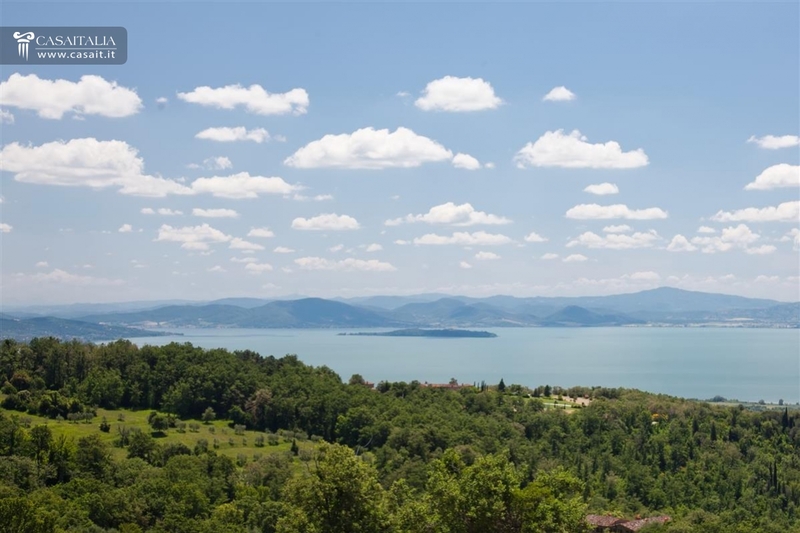 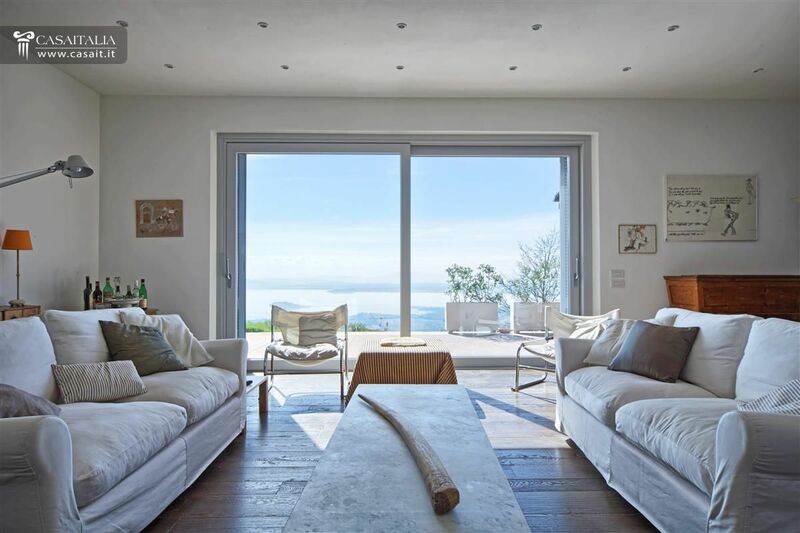 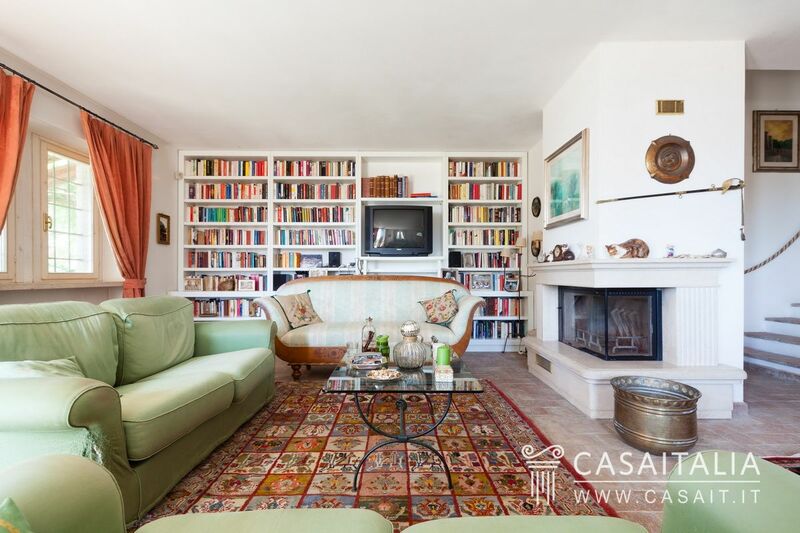 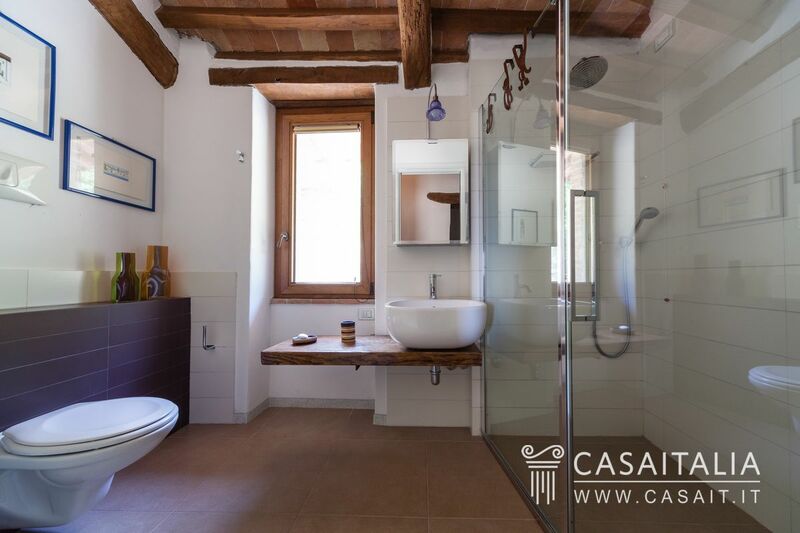 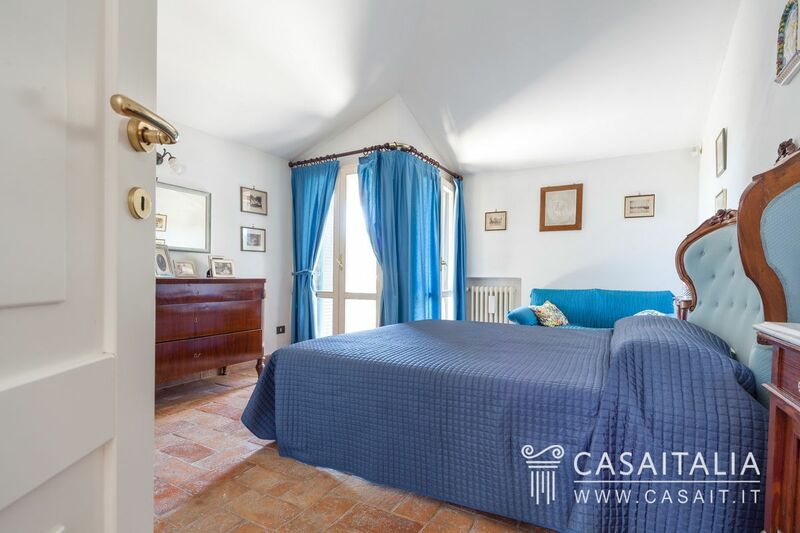 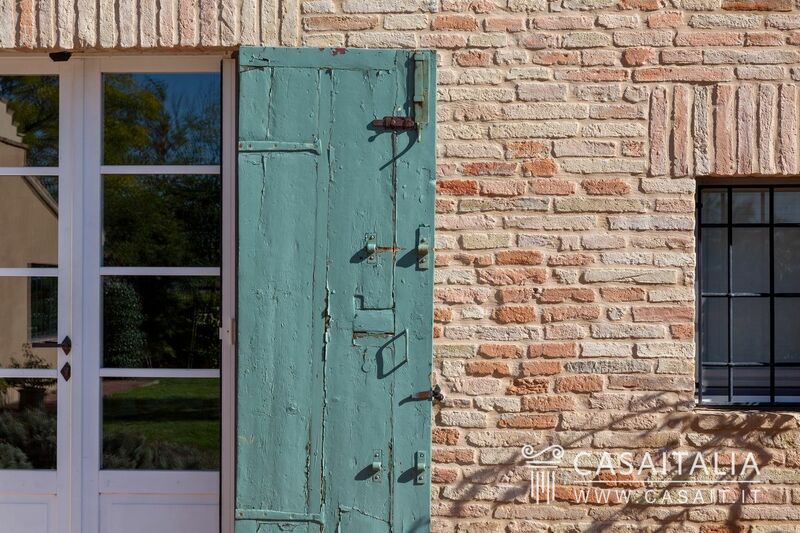 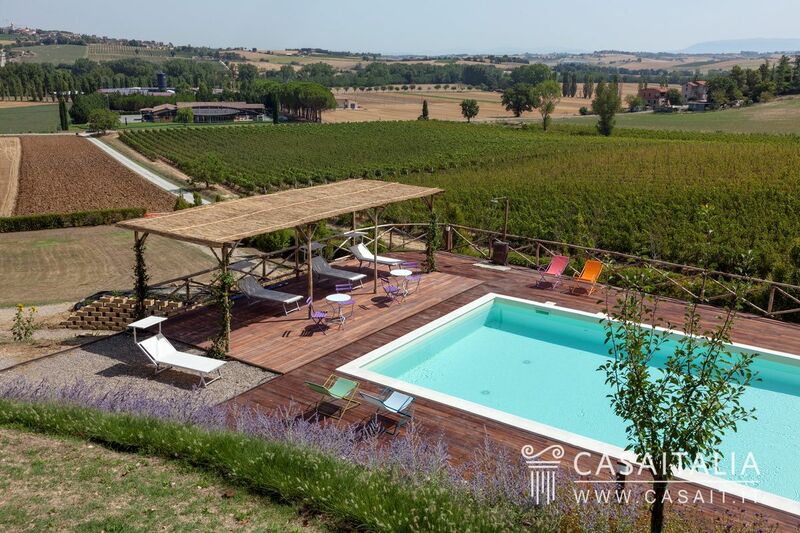 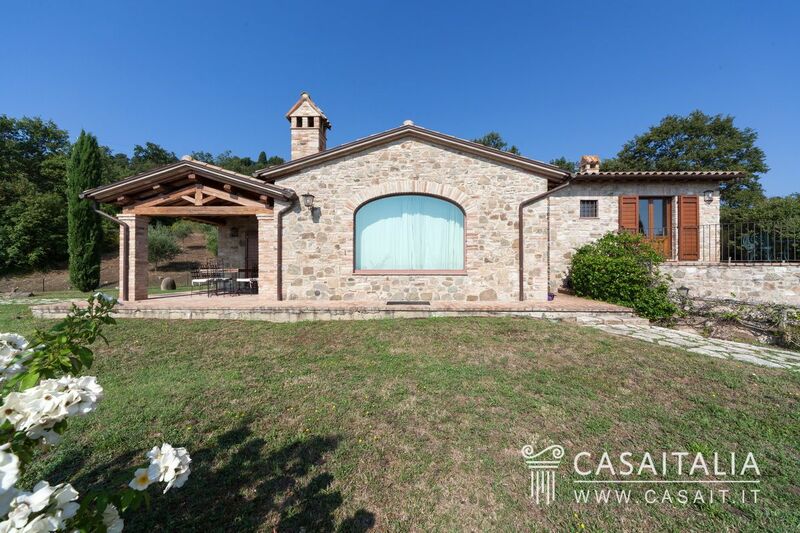 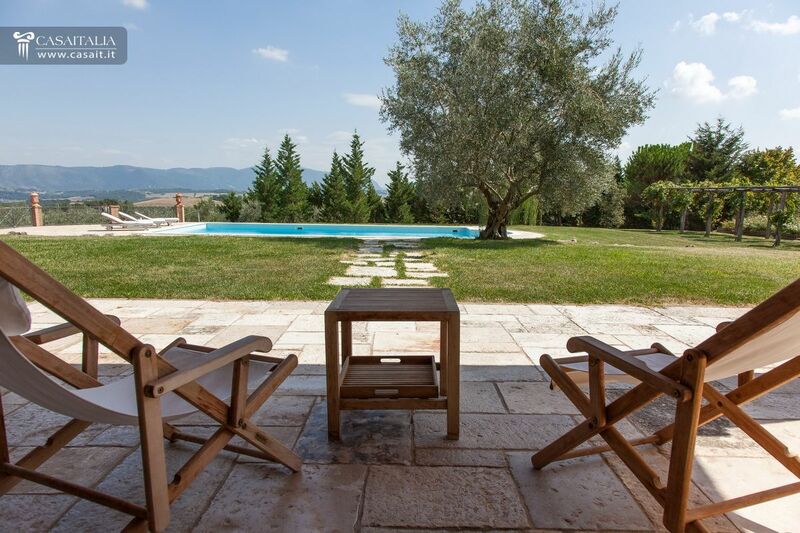 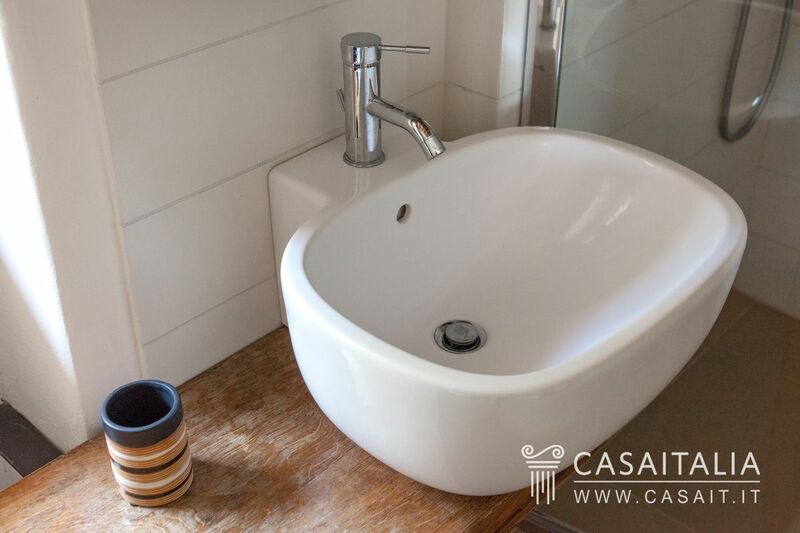 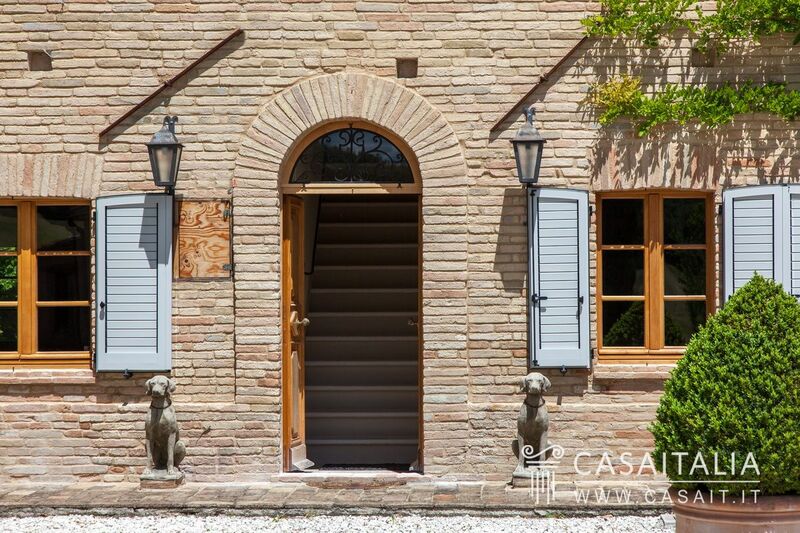 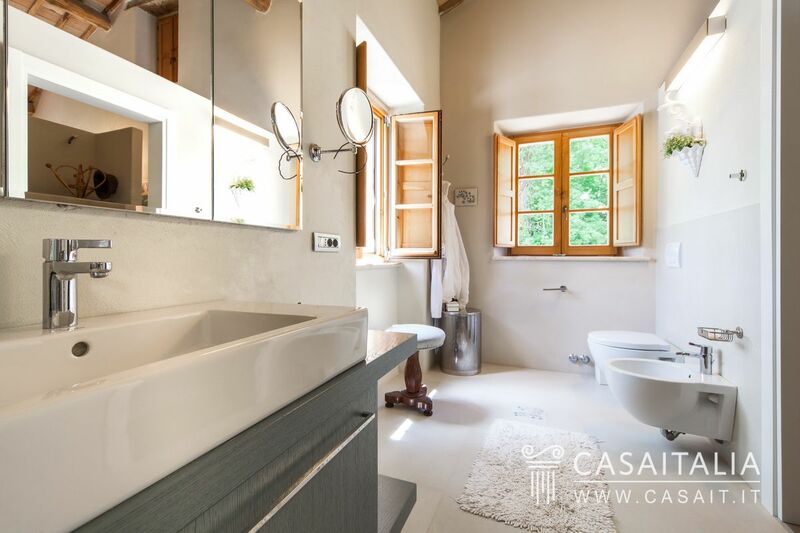 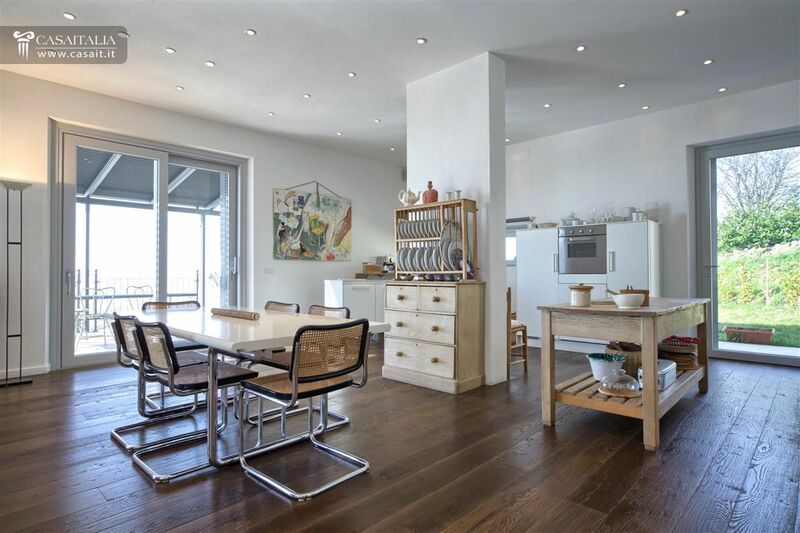 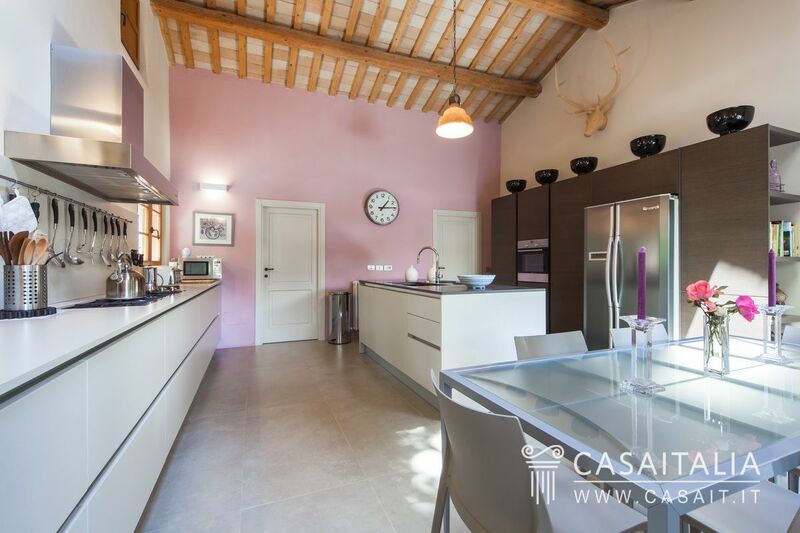 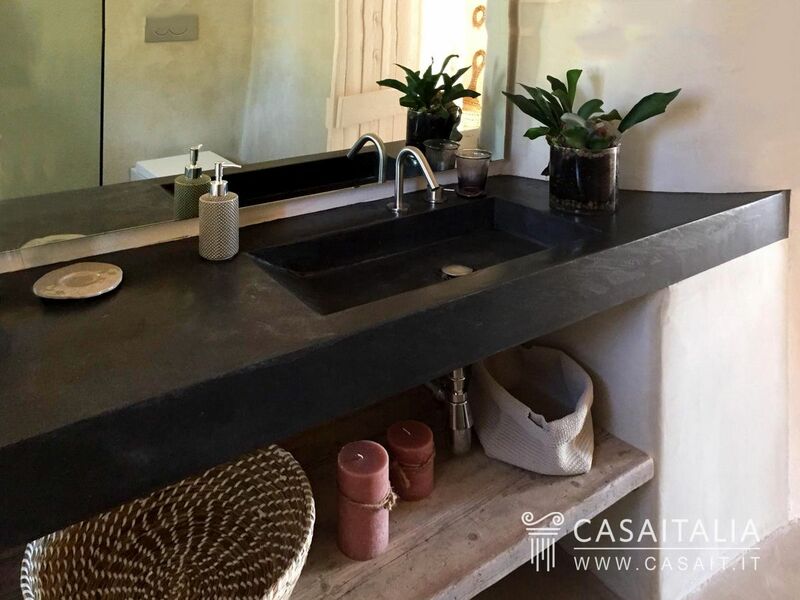 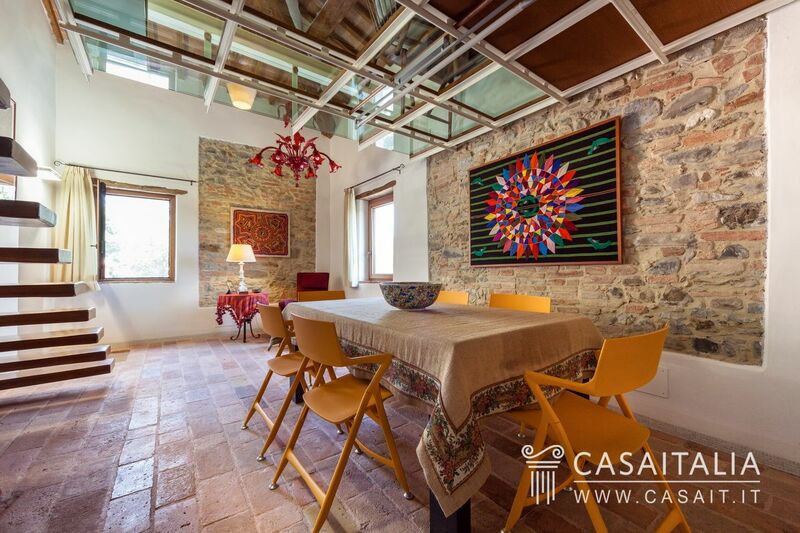 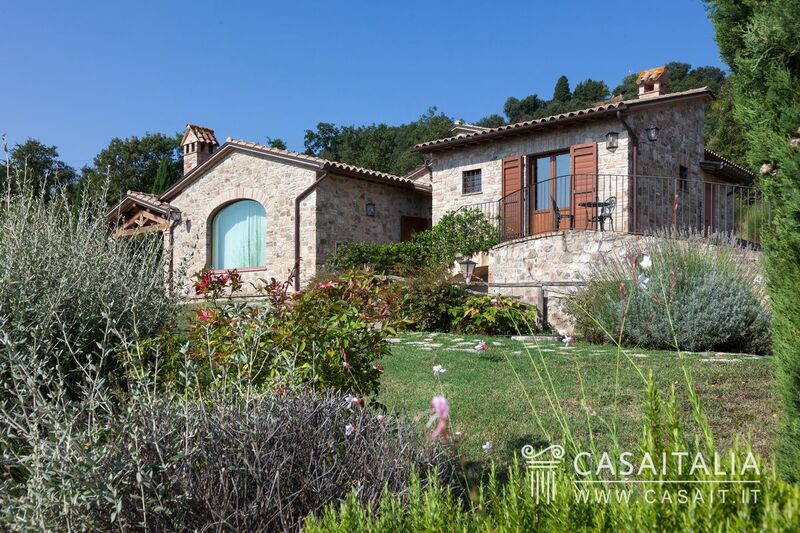 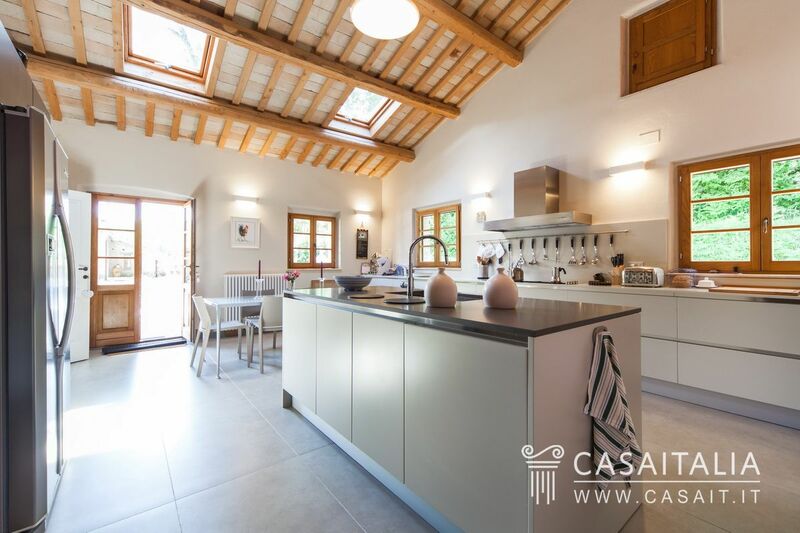 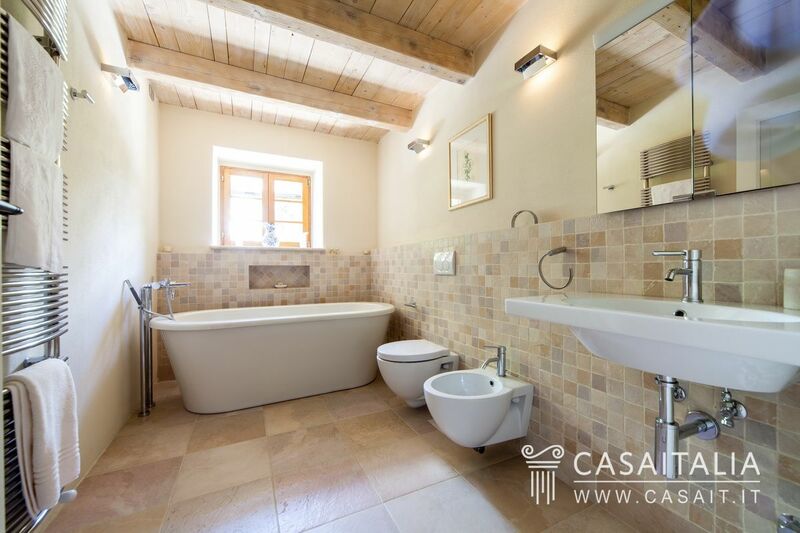 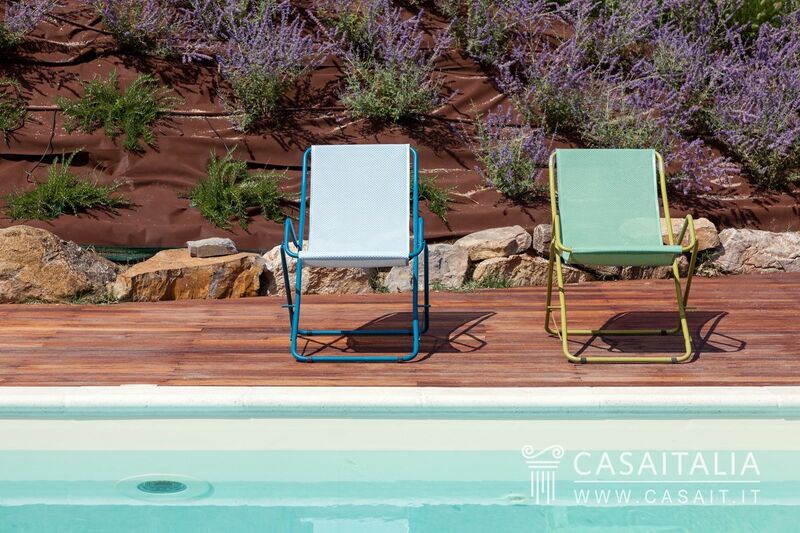 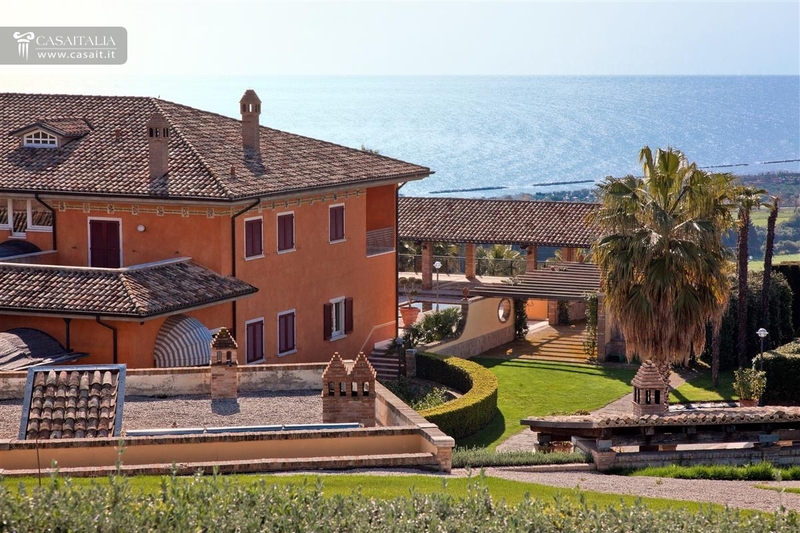 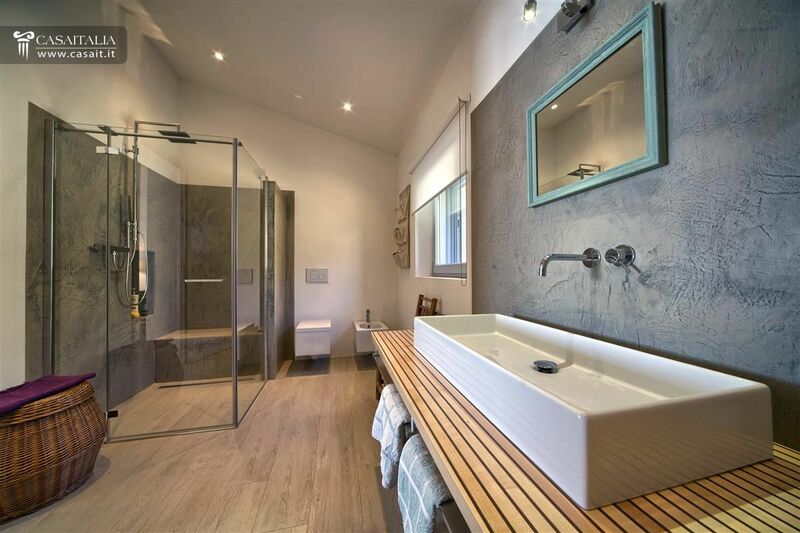 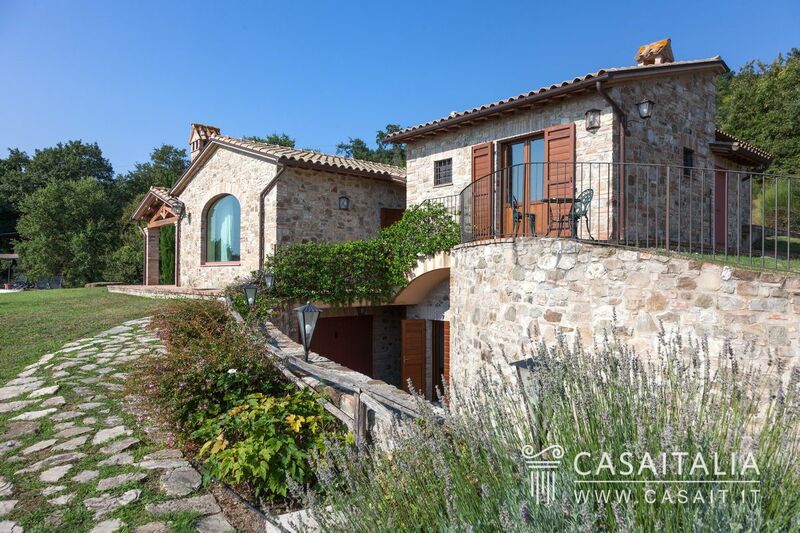 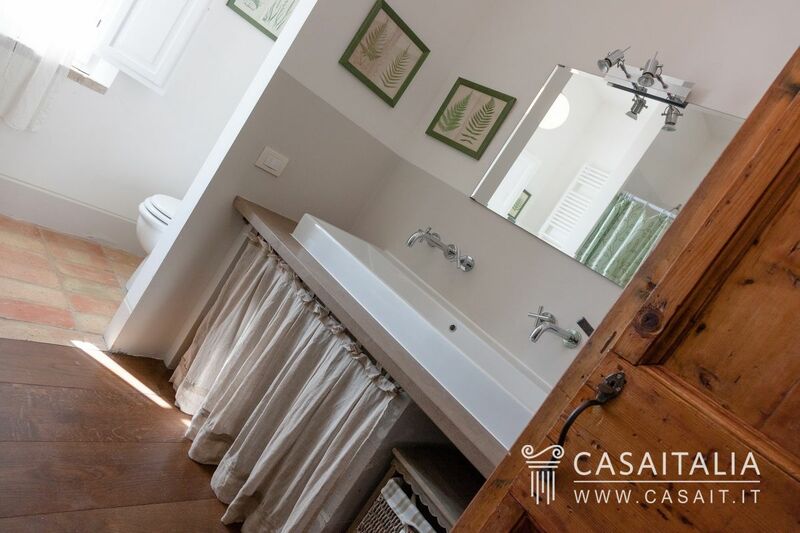 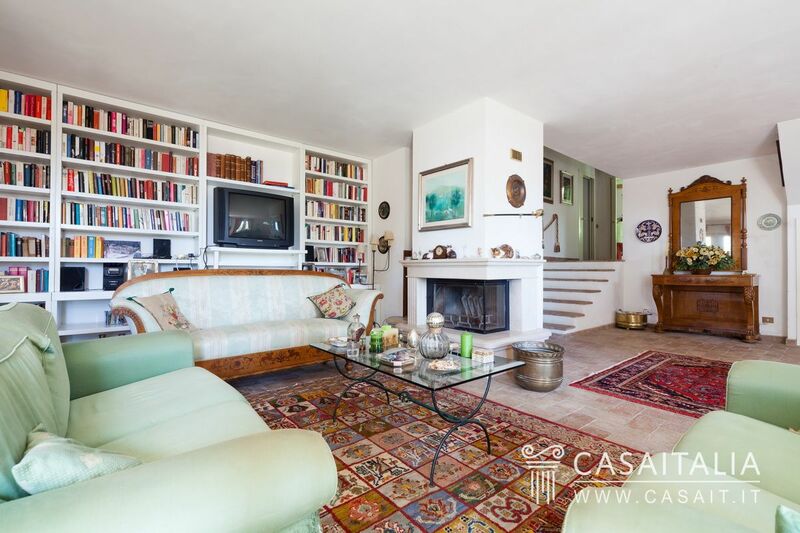 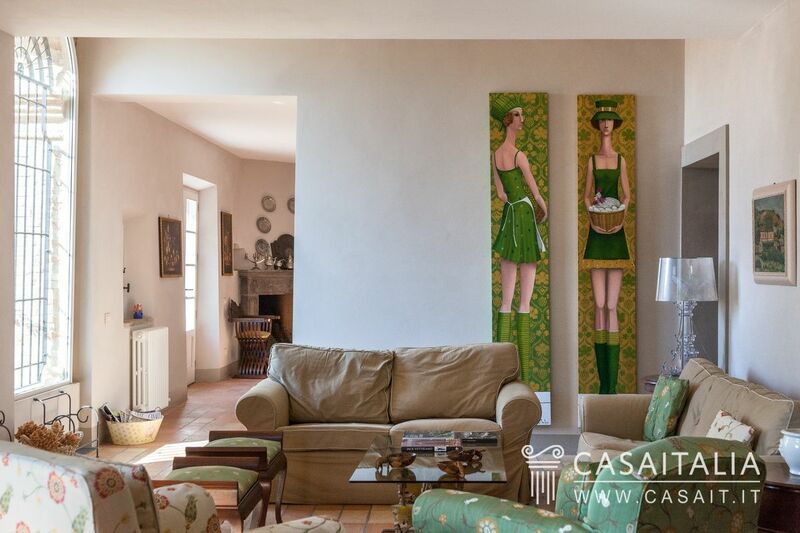 A border between Umbria and Tuscany, located on a hillside with panoramic view of Lake Trasimeno, the villa is characterized by a modern style, excellent finishes and bright environments with large windows. 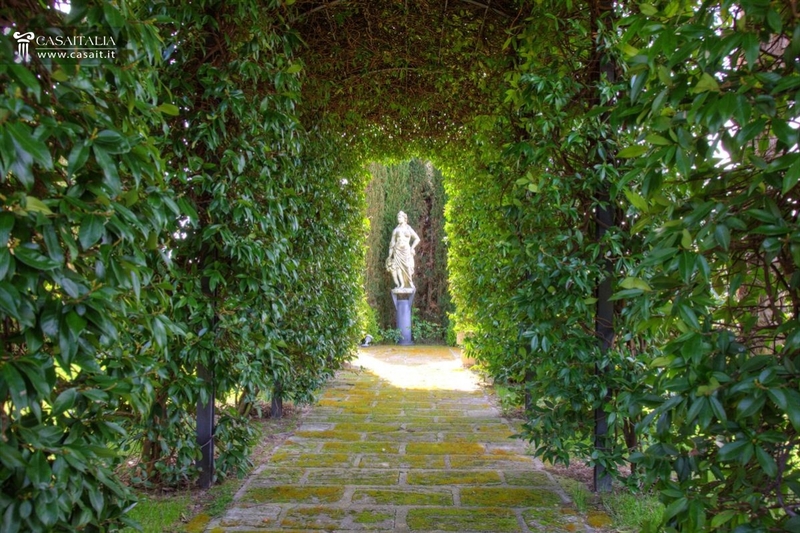 Garden of 3,000 sq.m. 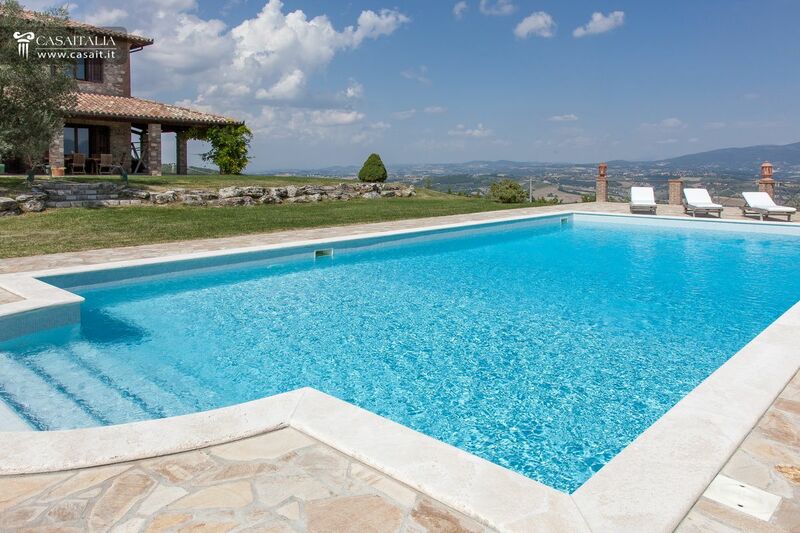 with swimming pool. 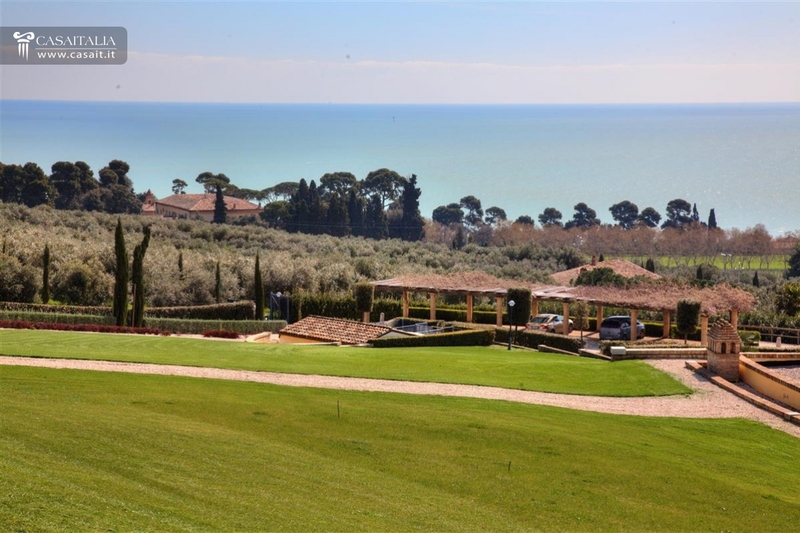 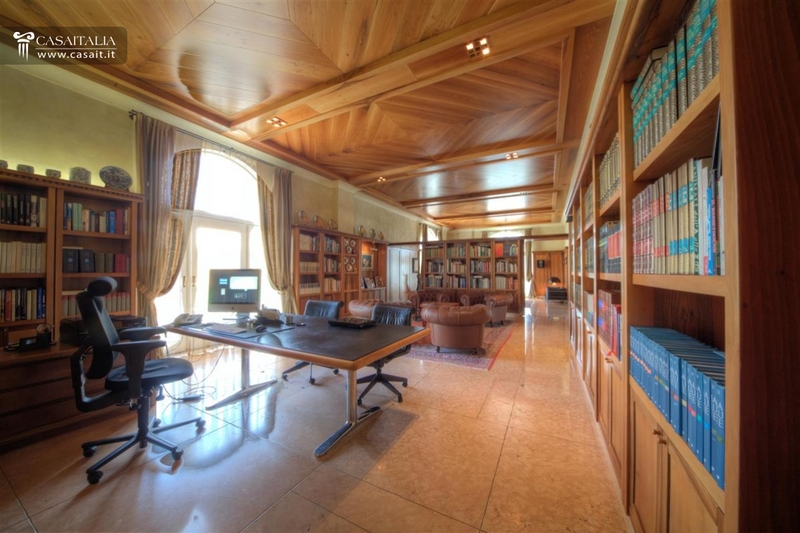 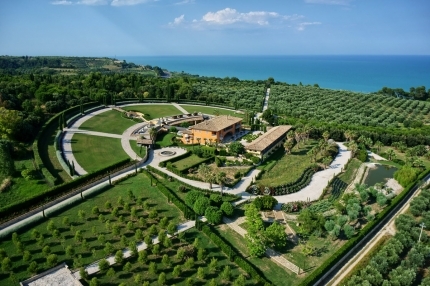 Large luxury villa overlooking the sea at 11 km. 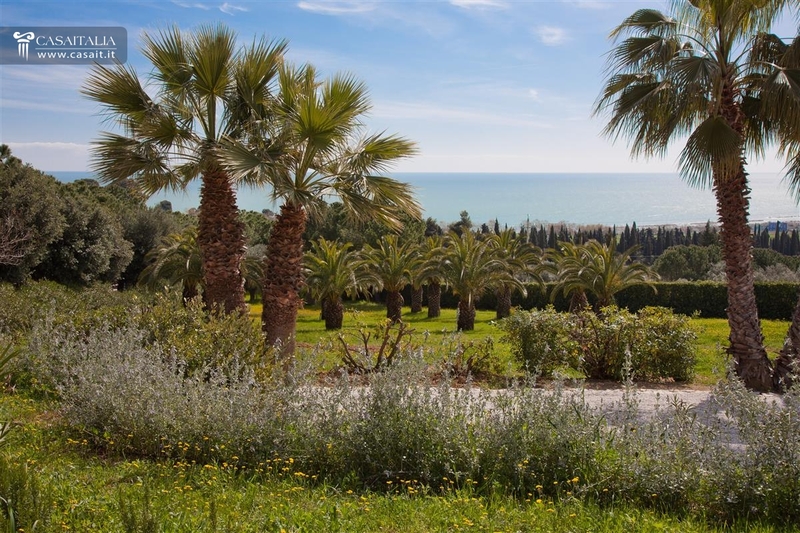 from San Benedetto of Tronto. 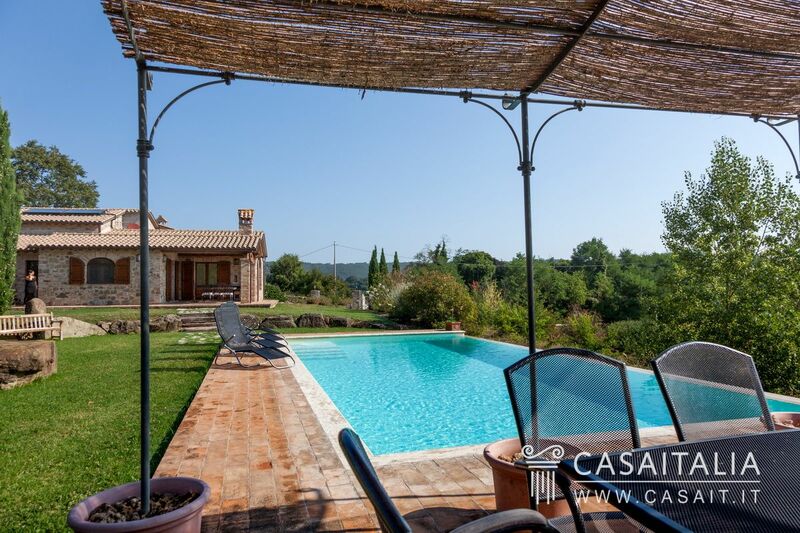 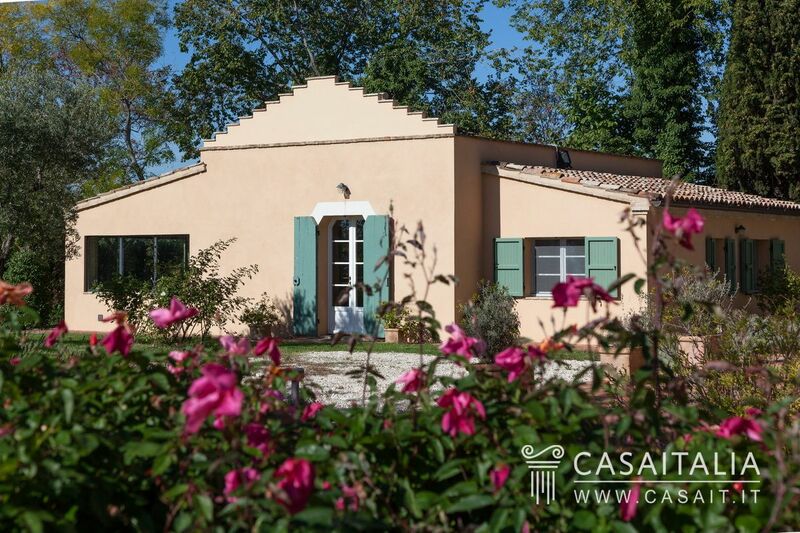 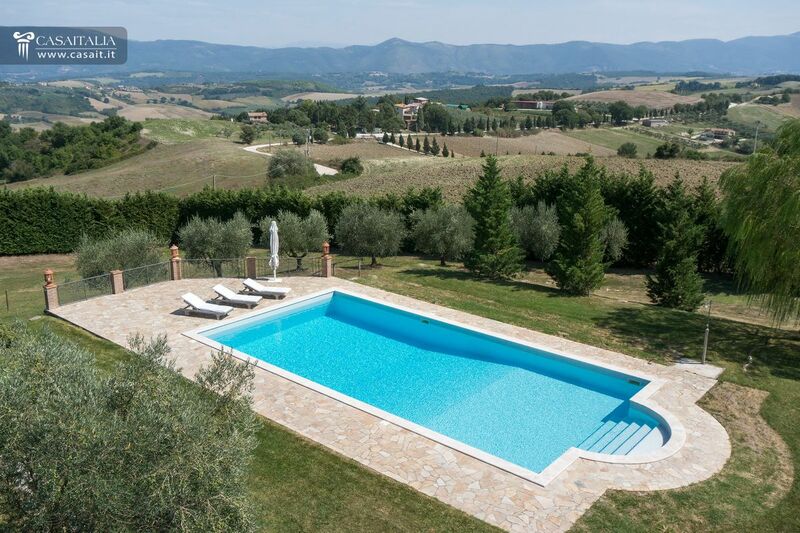 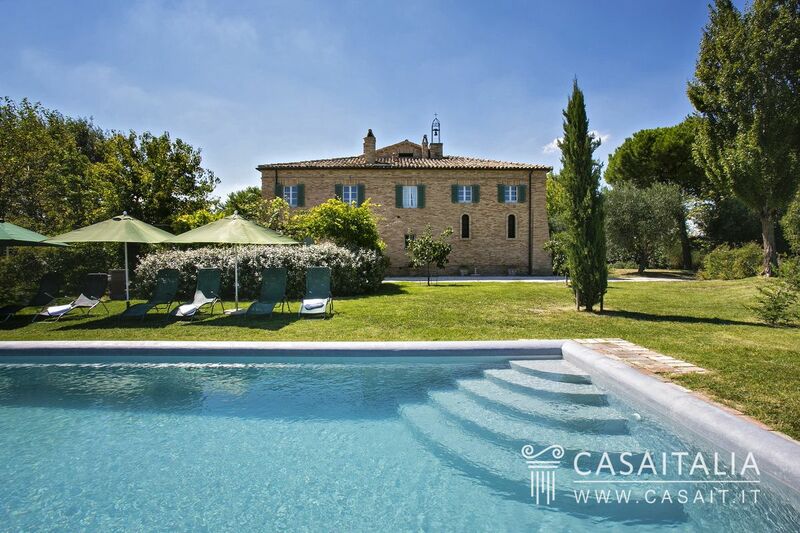 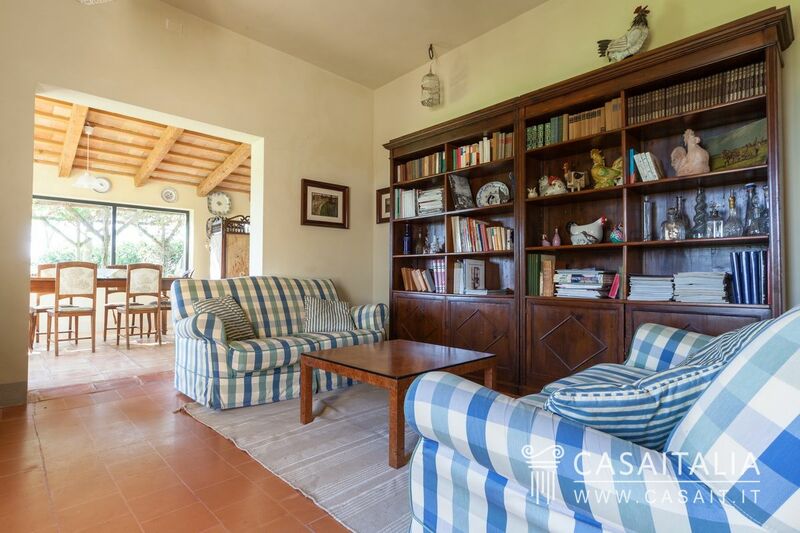 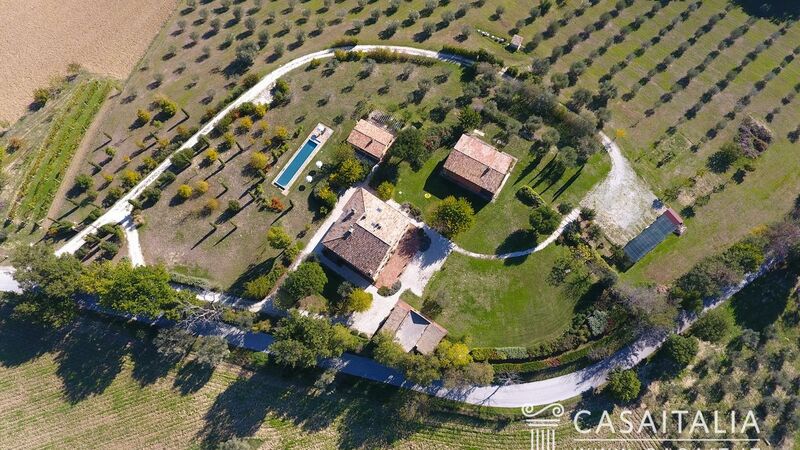 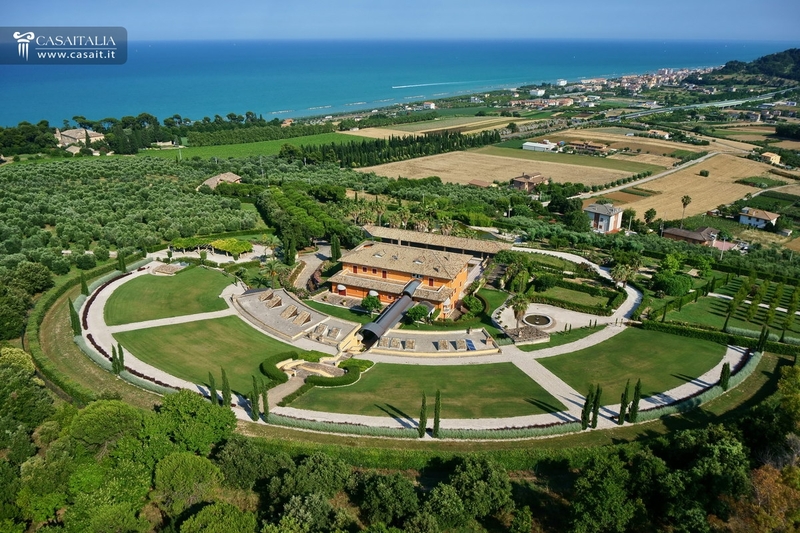 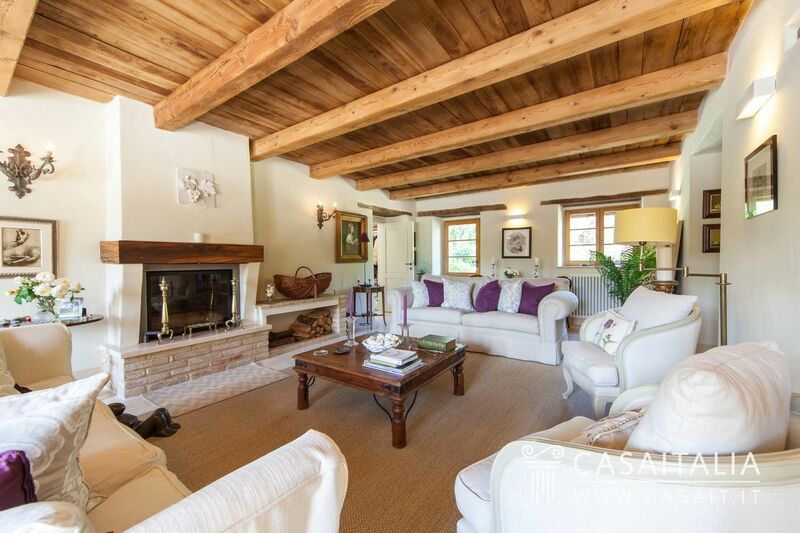 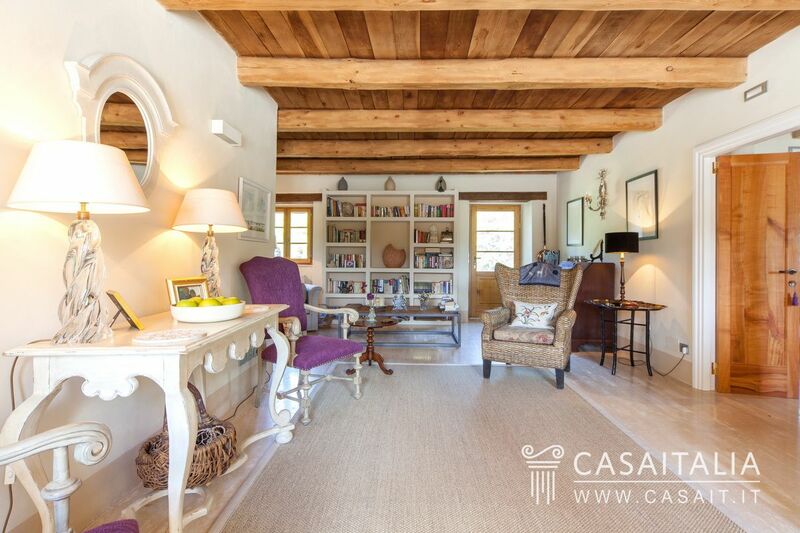 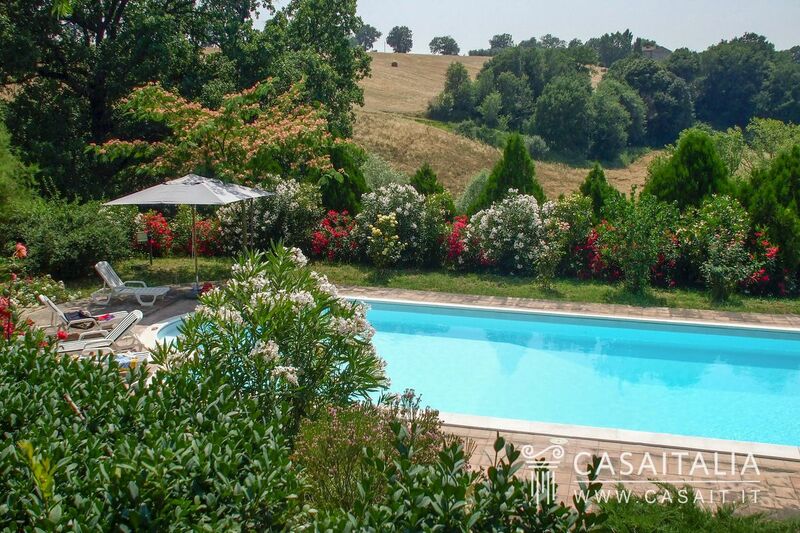 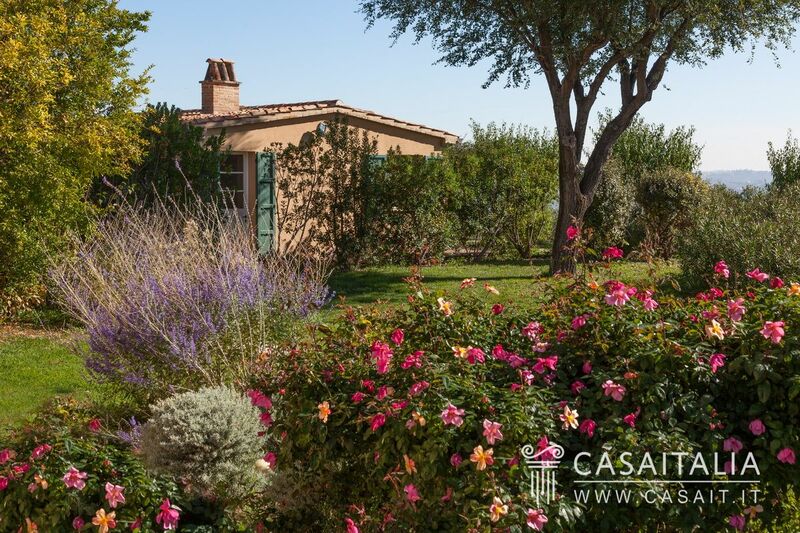 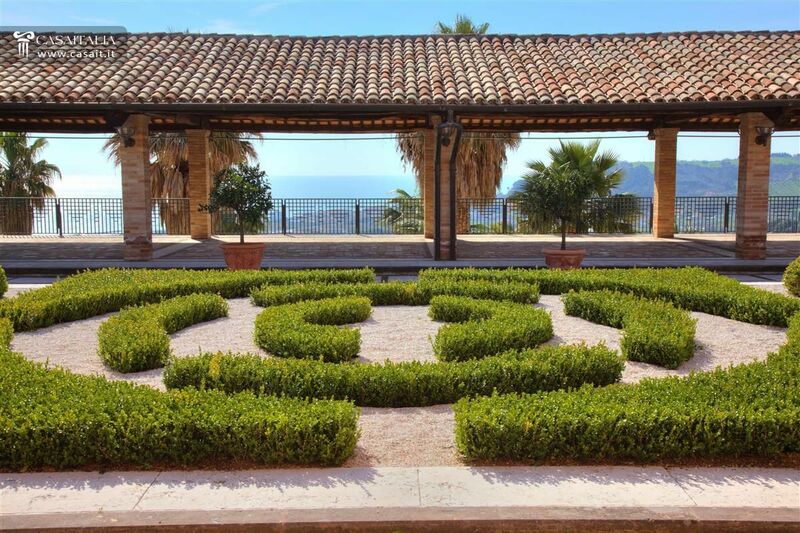 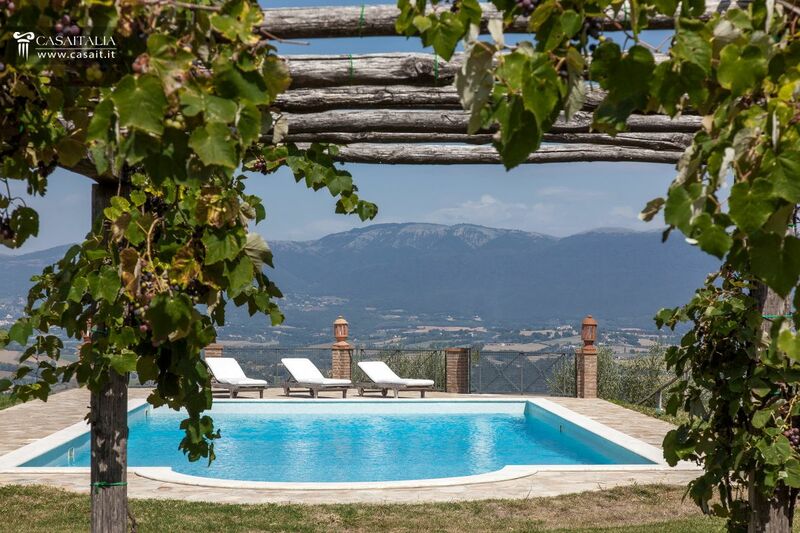 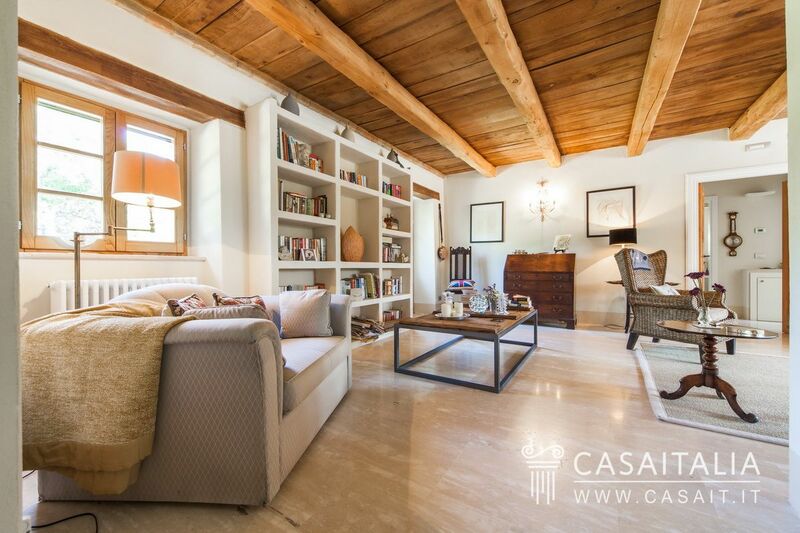 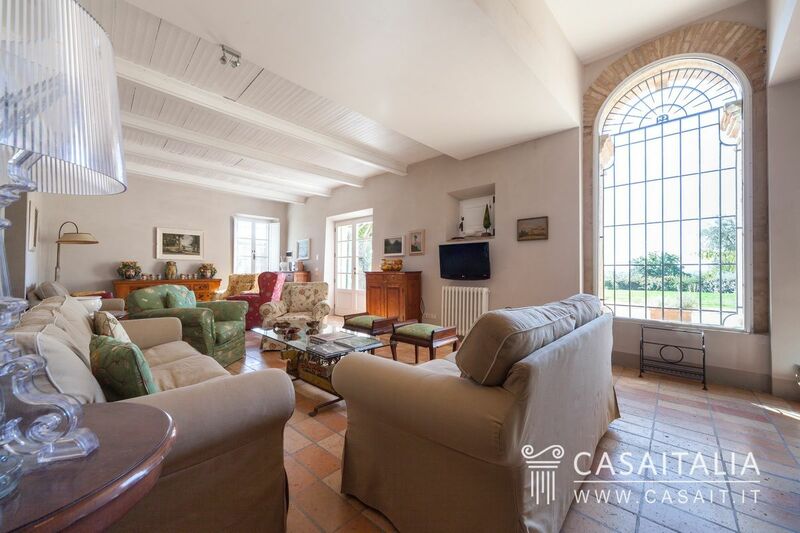 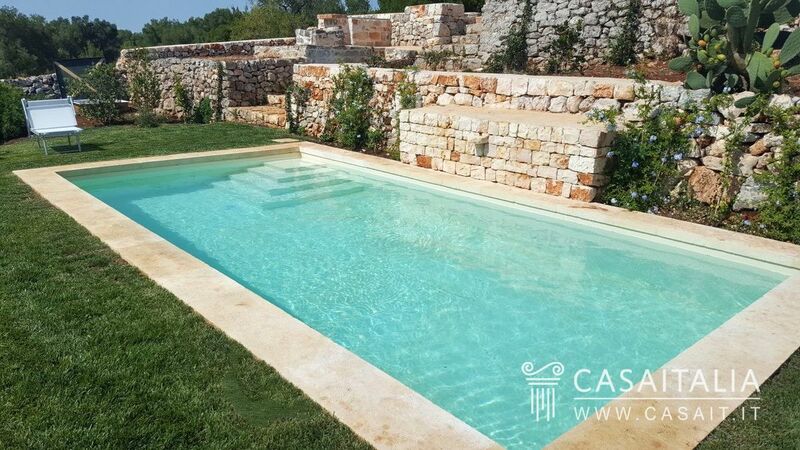 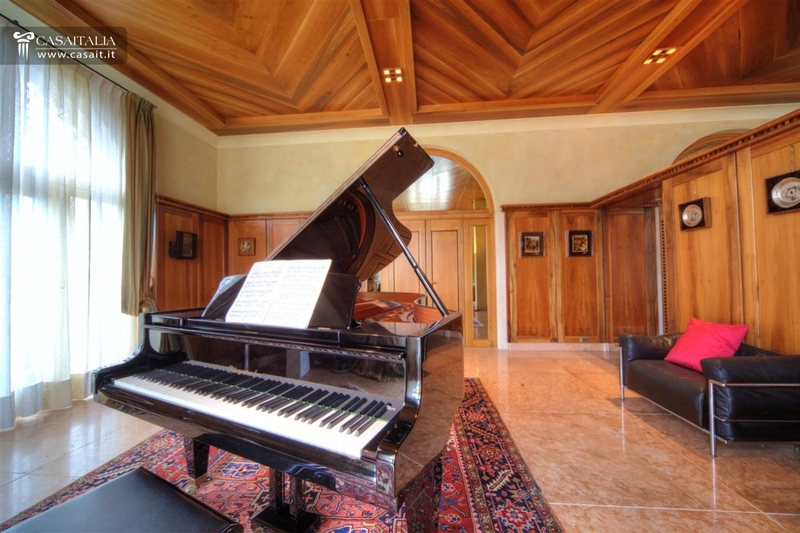 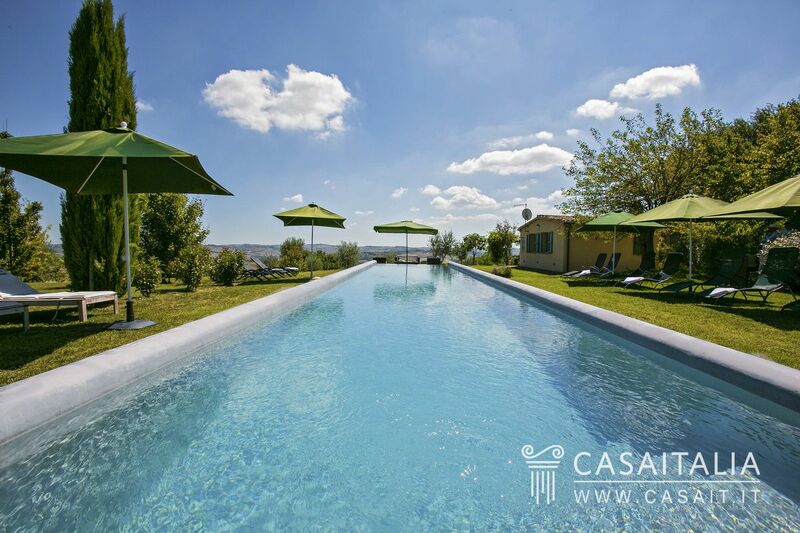 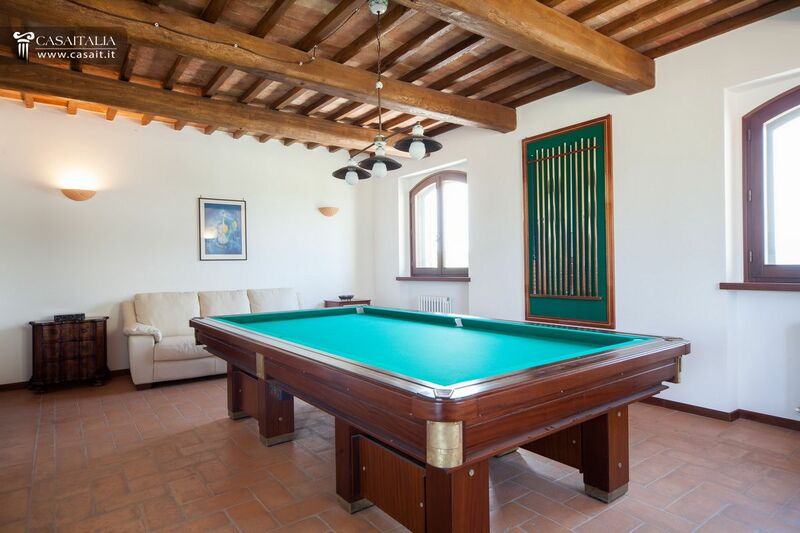 Indoor pool and 12 hectares of land with olive trees and lawned park. 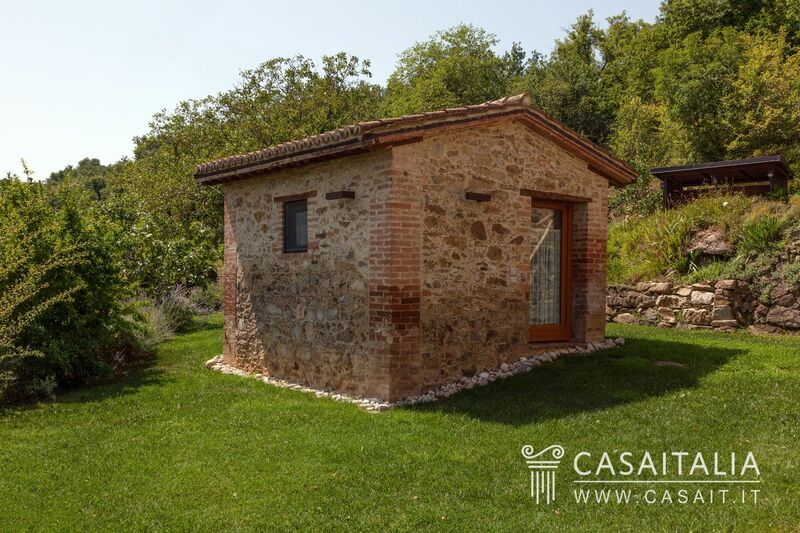 Guest annexe and caretaker's house. 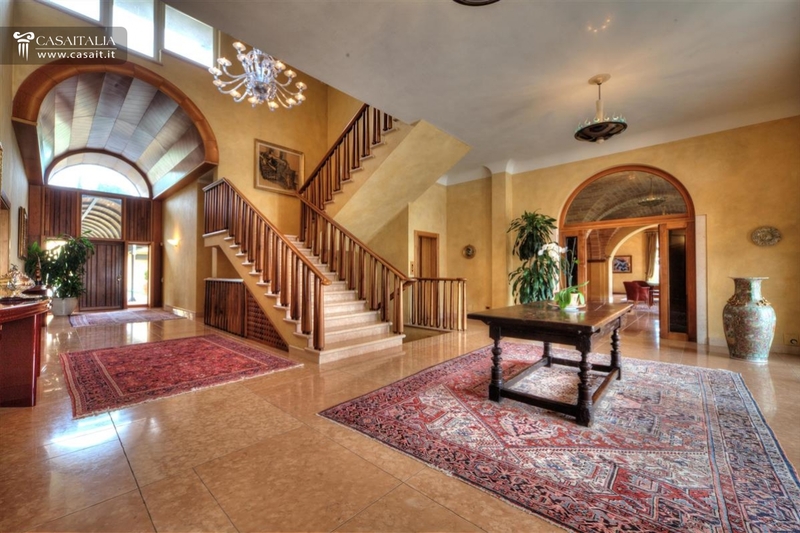 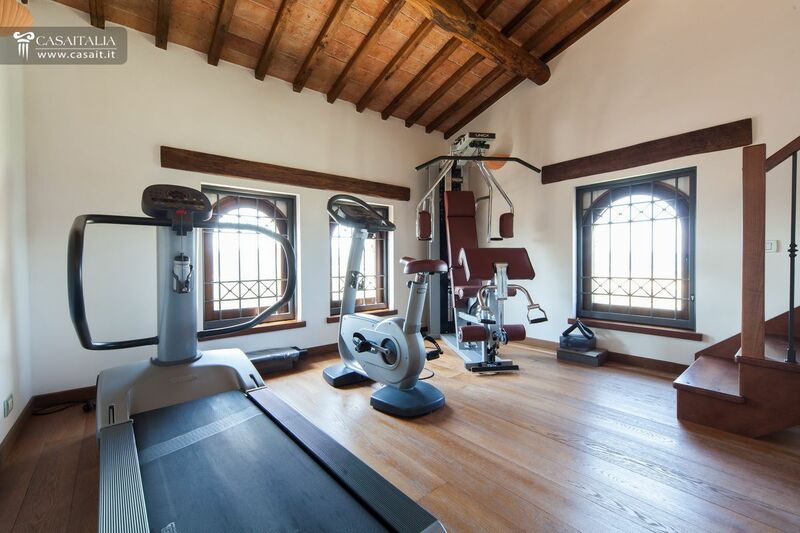 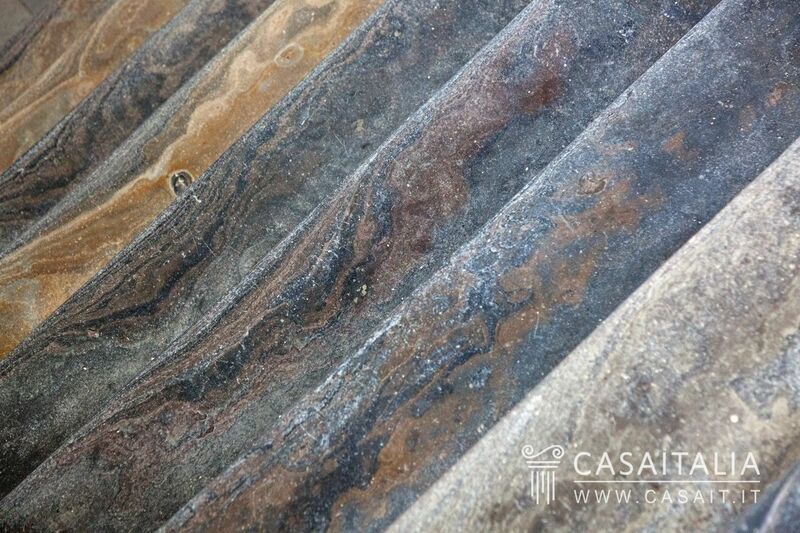 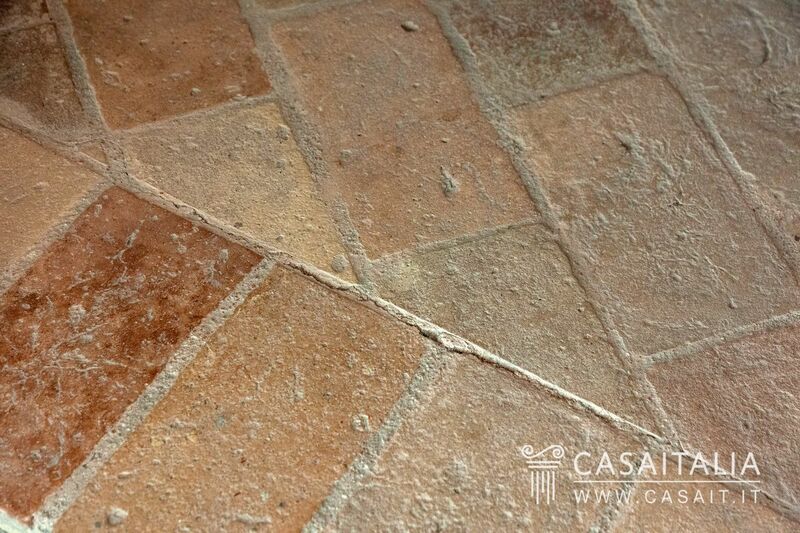 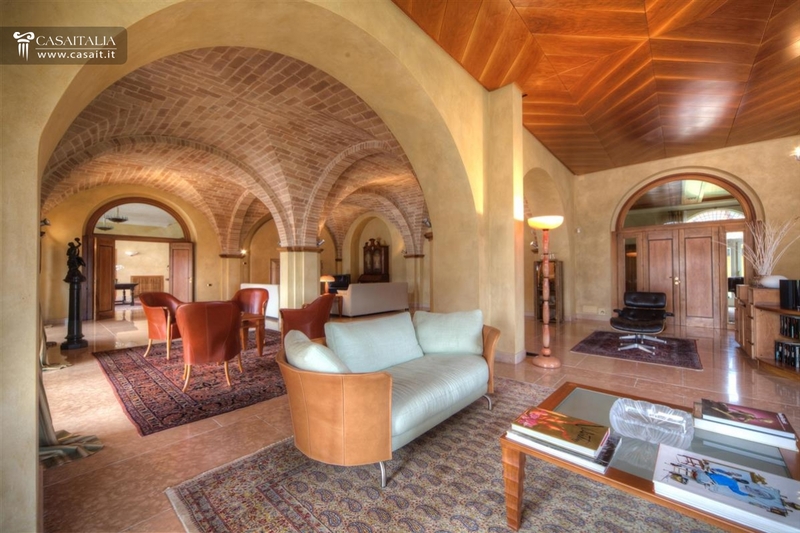 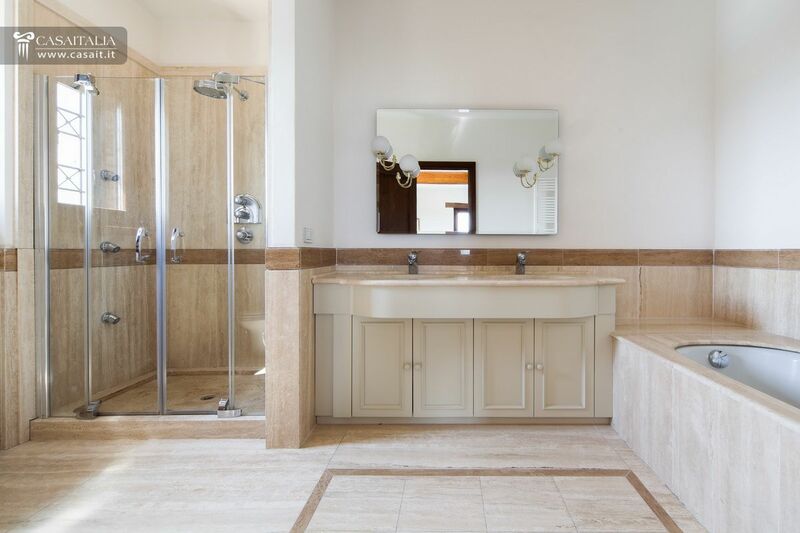 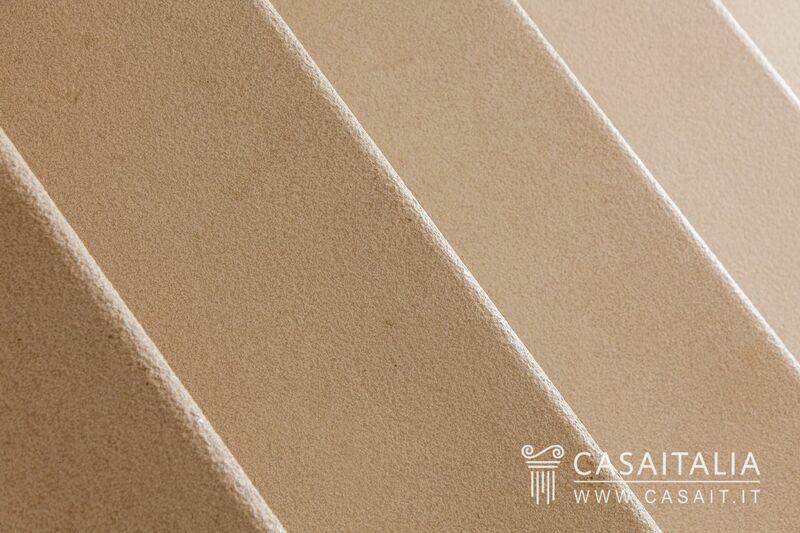 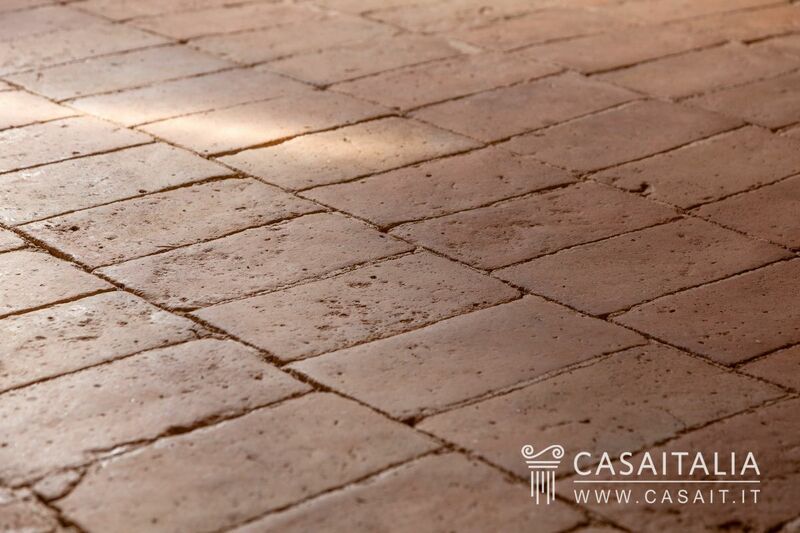 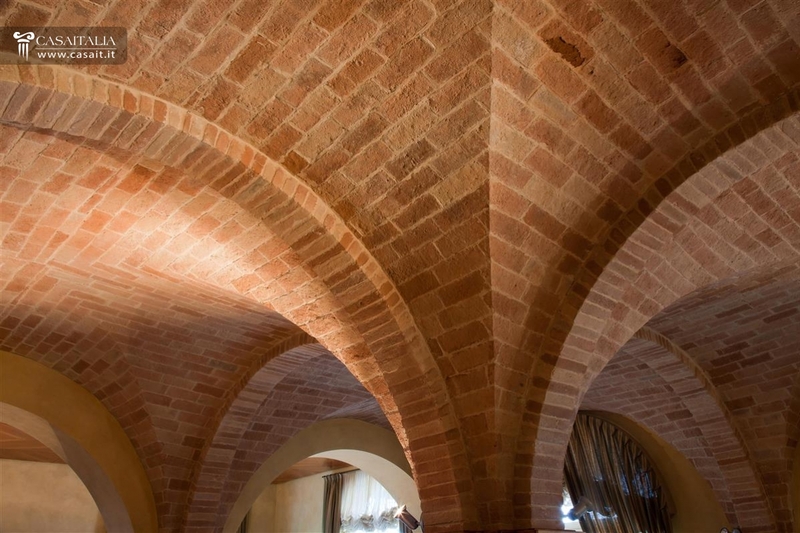 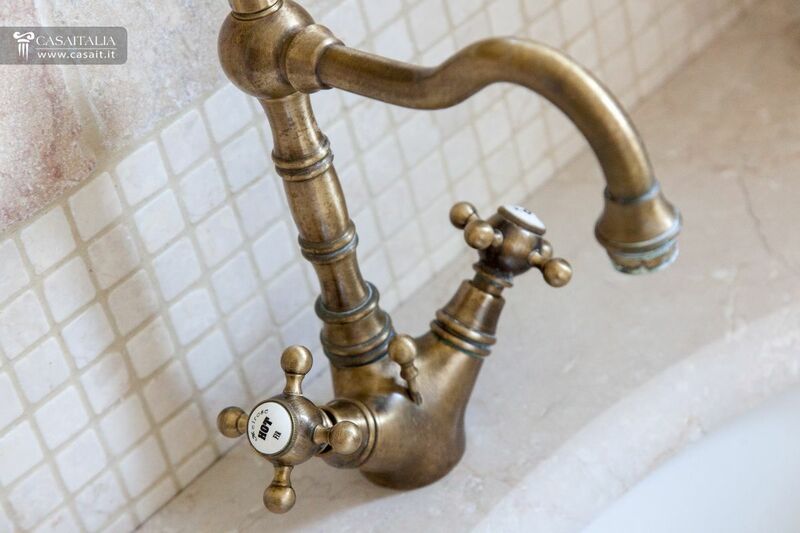 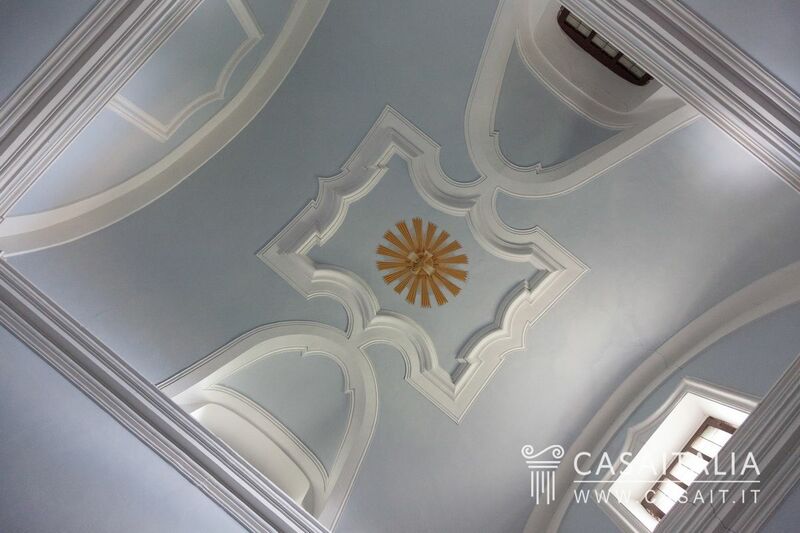 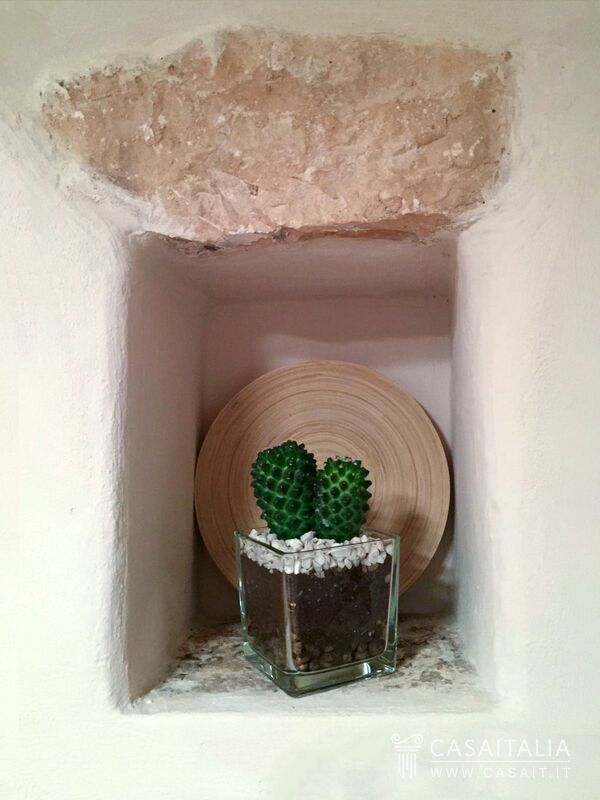 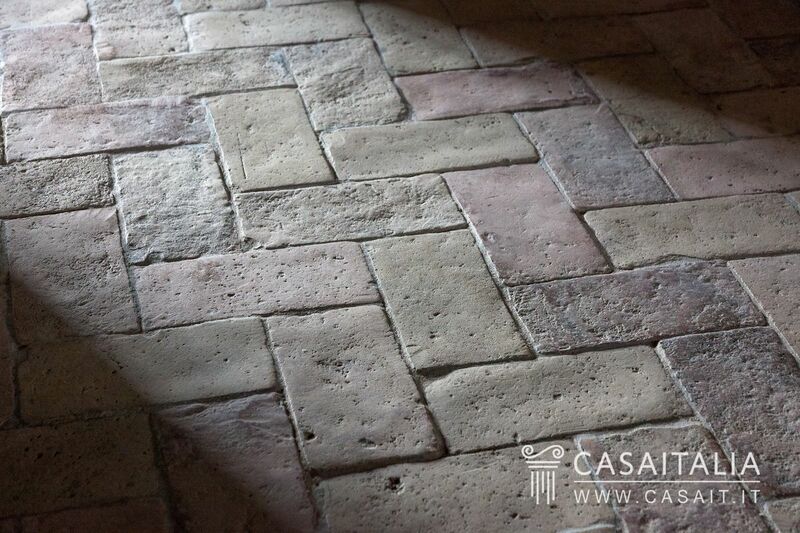 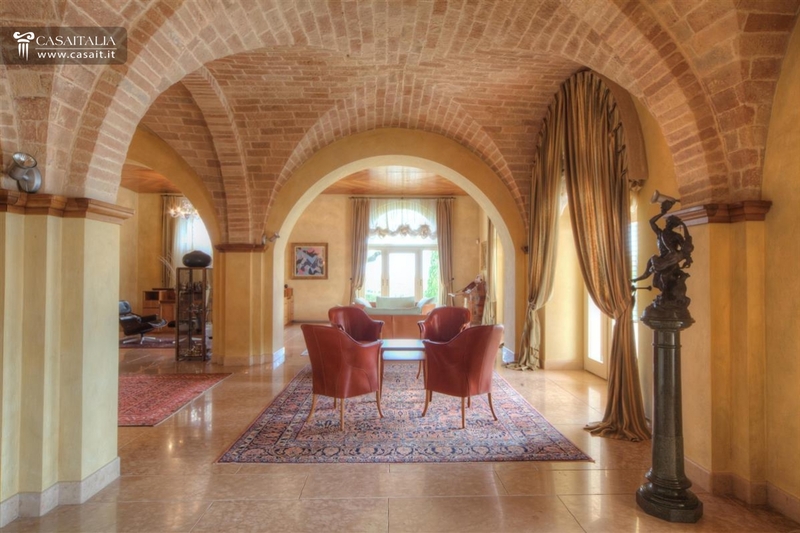 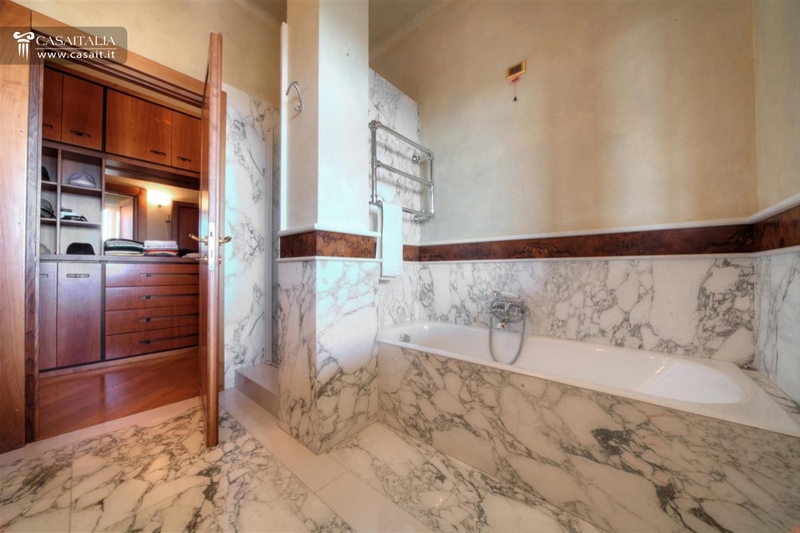 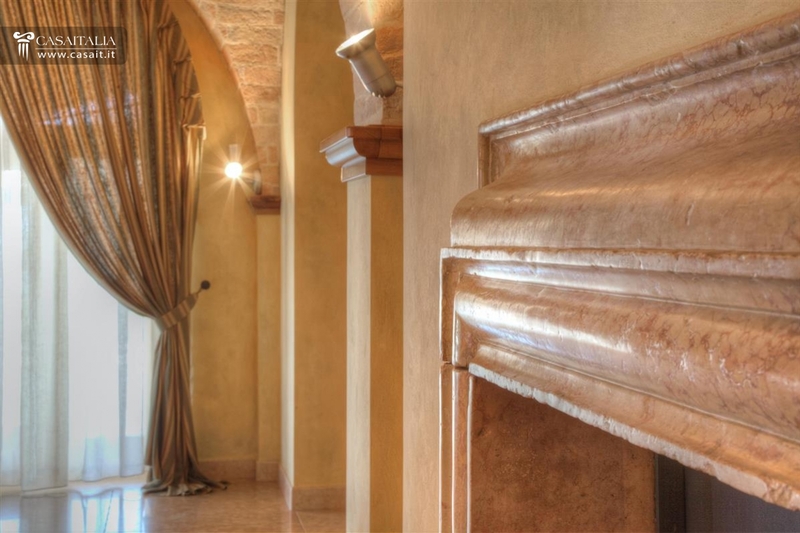 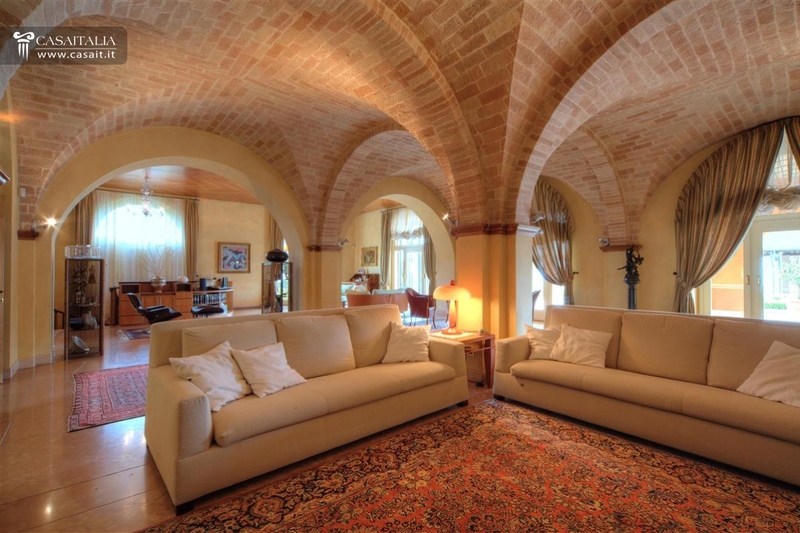 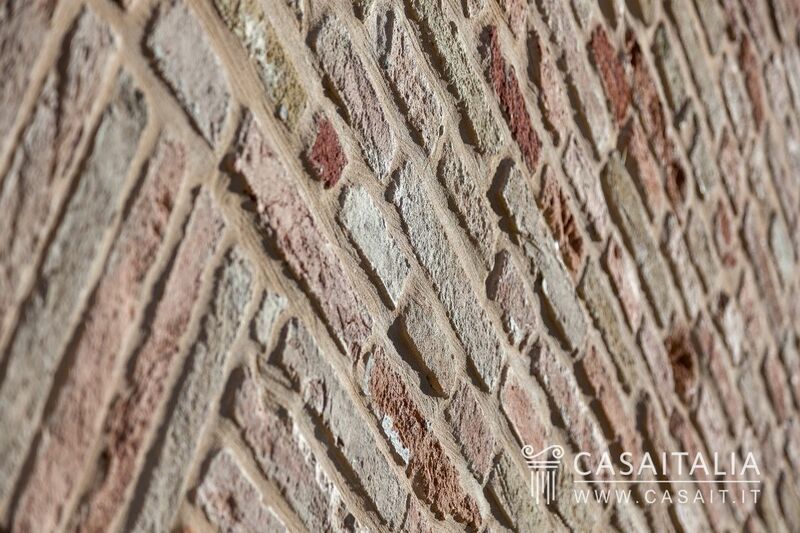 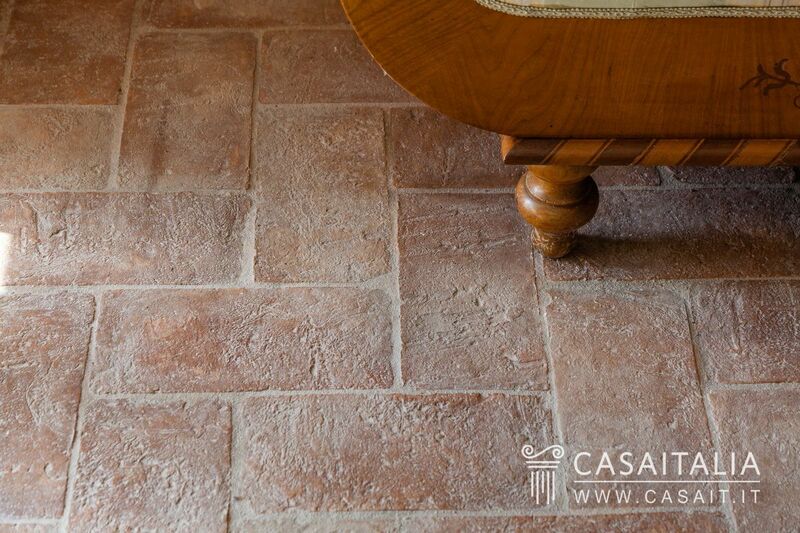 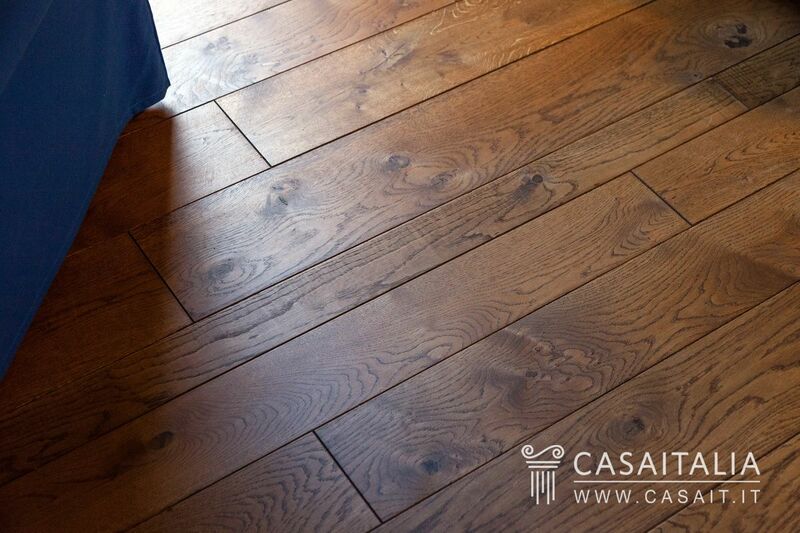 Luxury finishes, marble floors, ancient brick vaults, wainscoting. 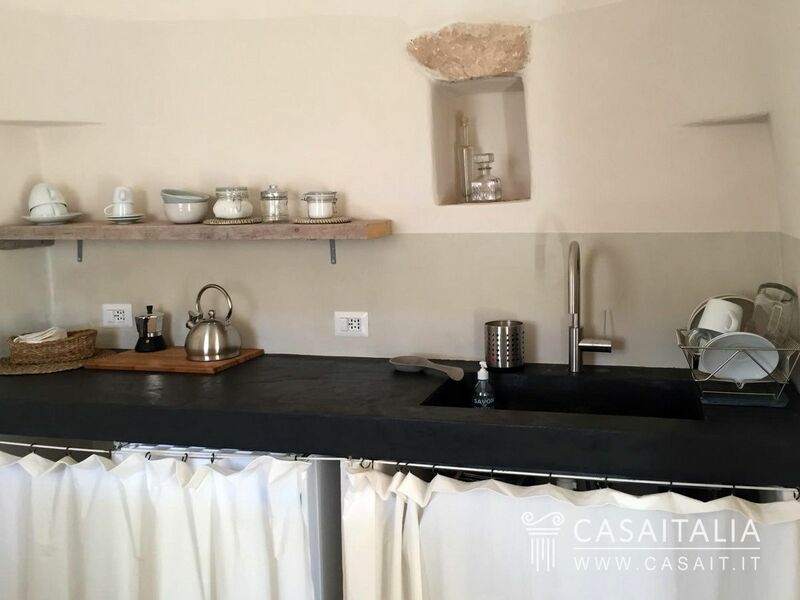 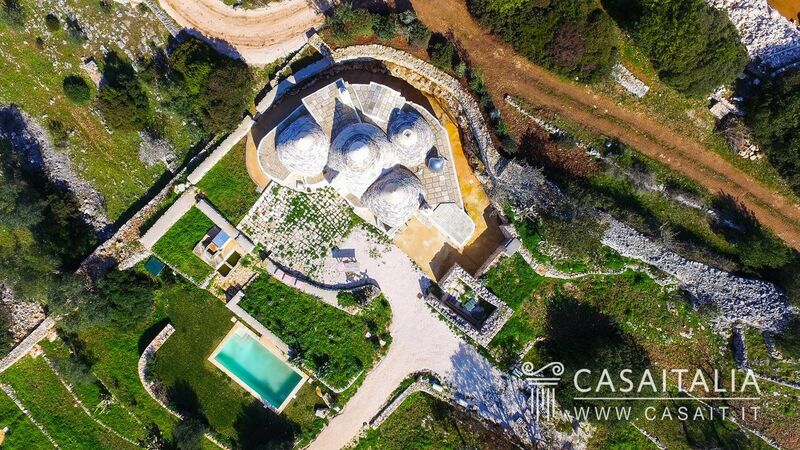 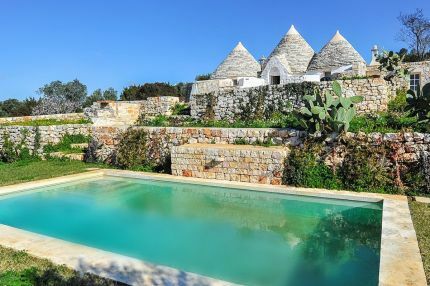 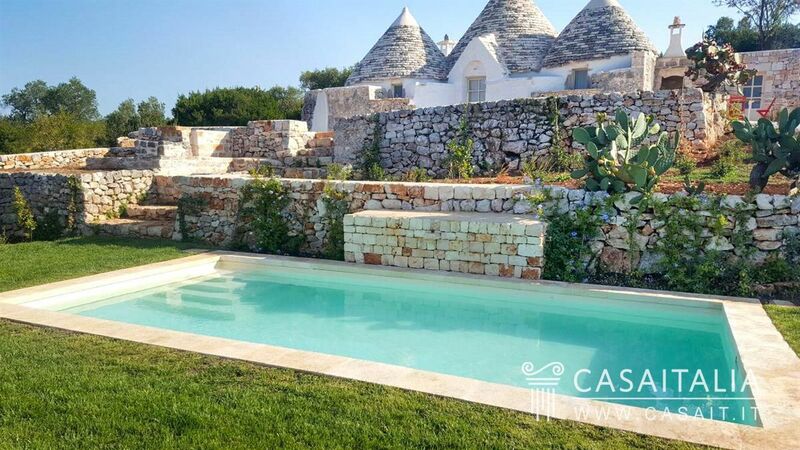 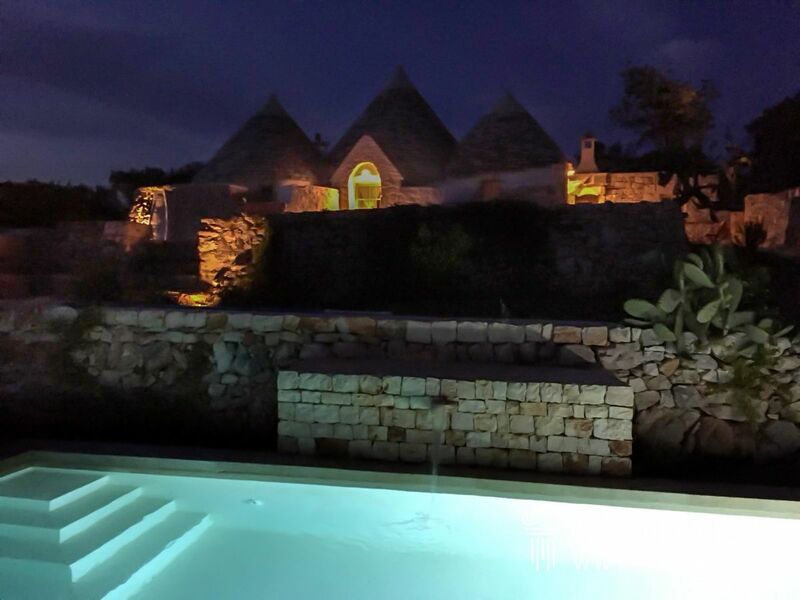 Trullo with pool in panoramic location between Ostuni and Martina Franca. 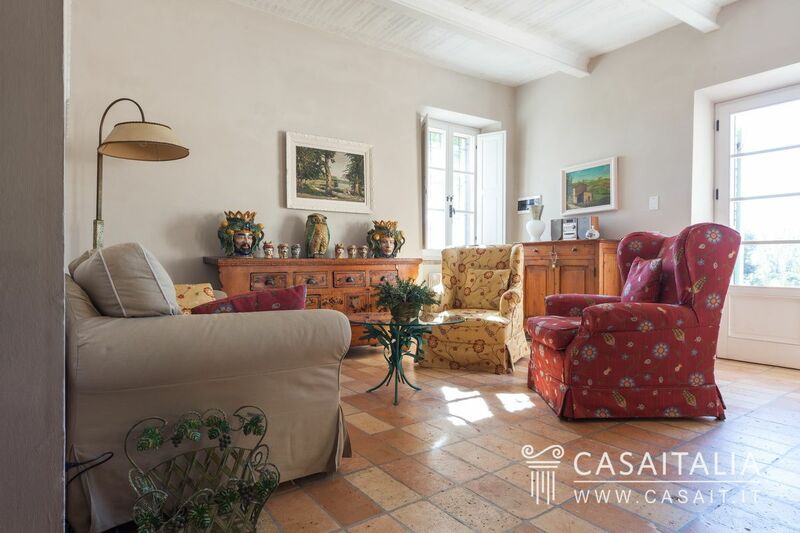 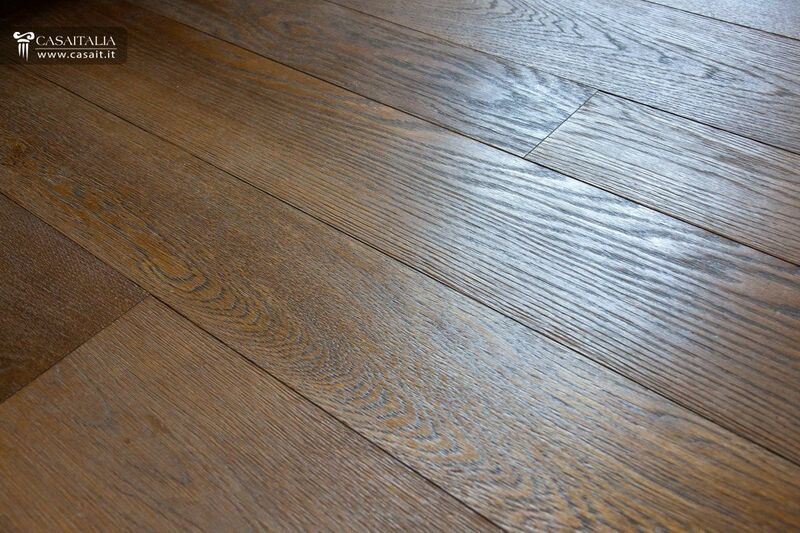 Carefully restored with living room, kitchen, sitting room with fireplace, two bedrooms and two bathrooms. 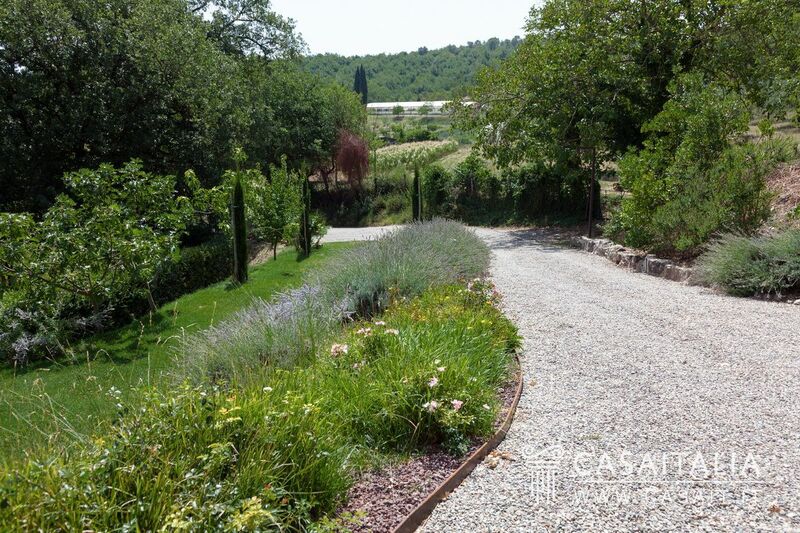 Garden and 3900 sq.m of private land.